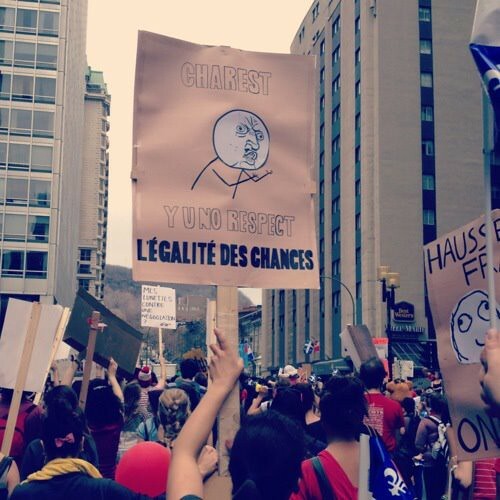 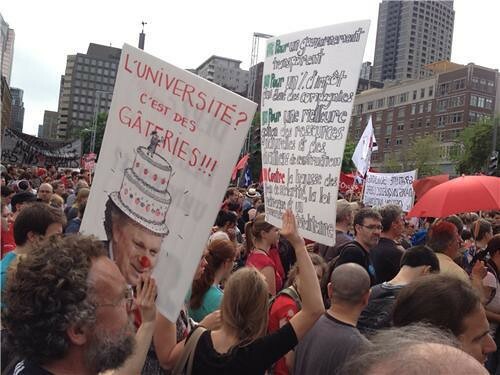 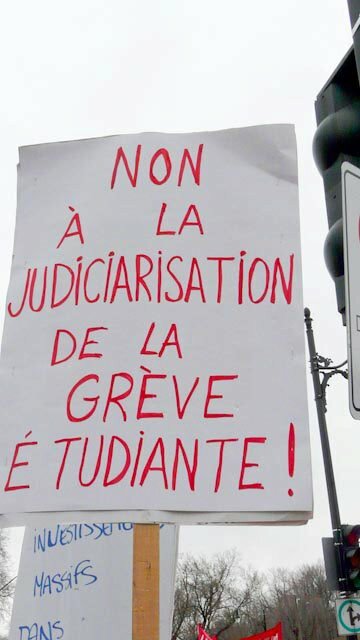 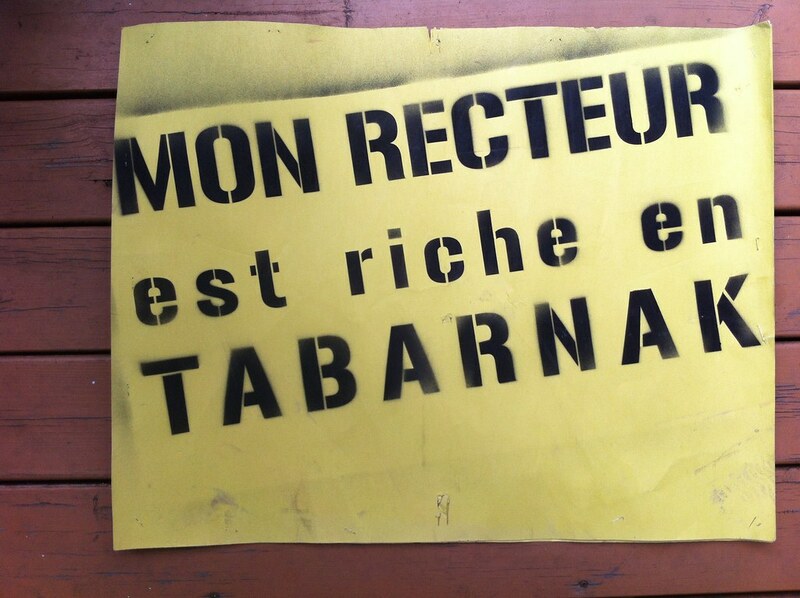 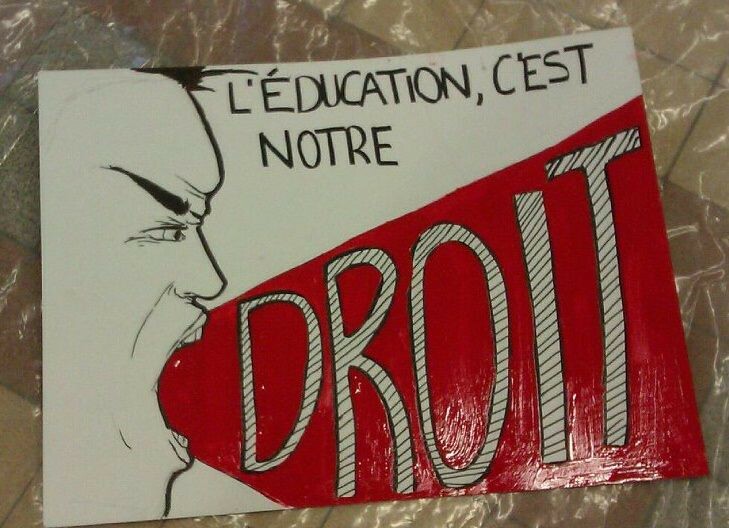 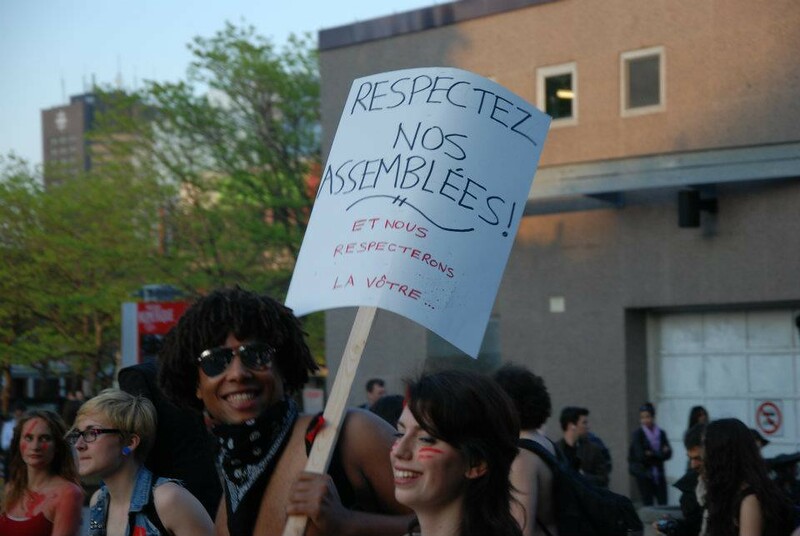 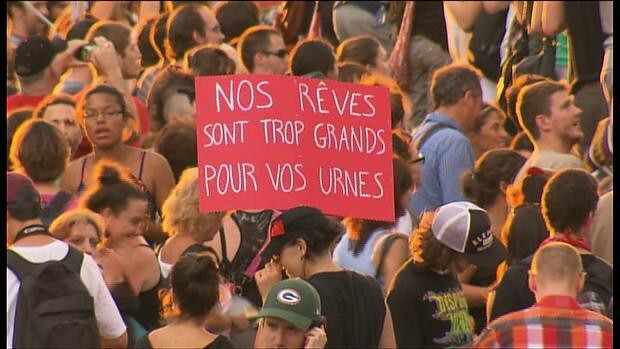 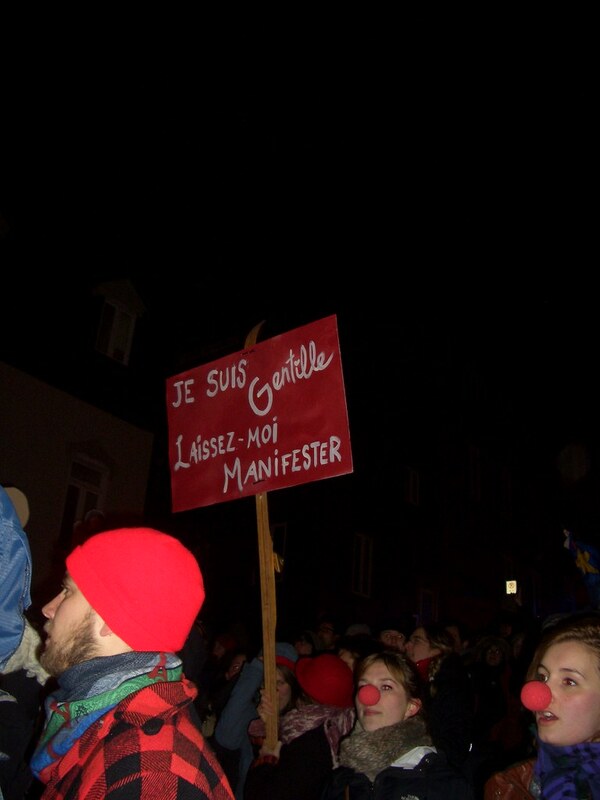 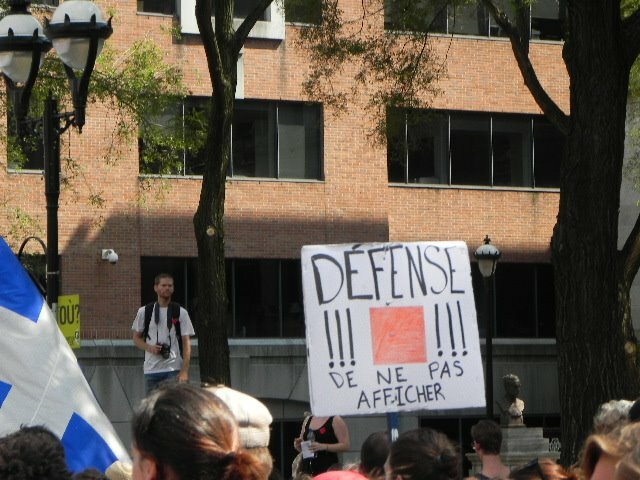 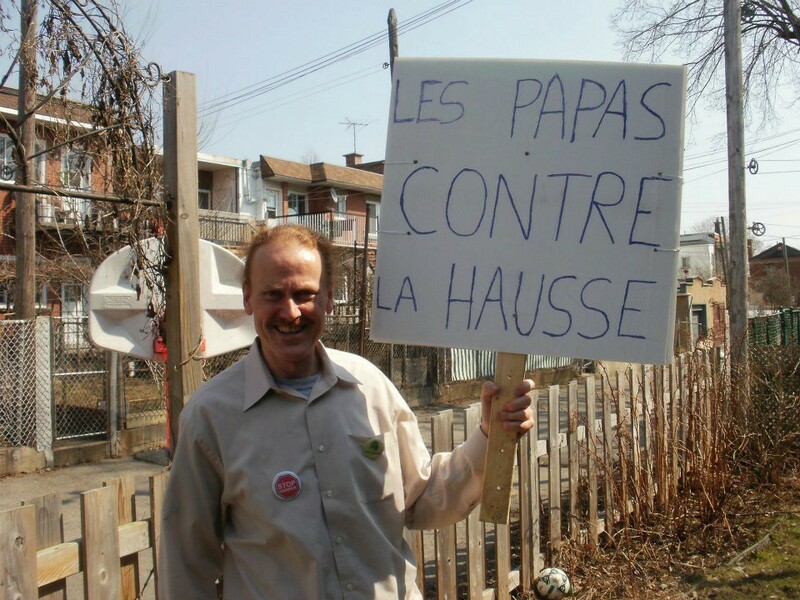 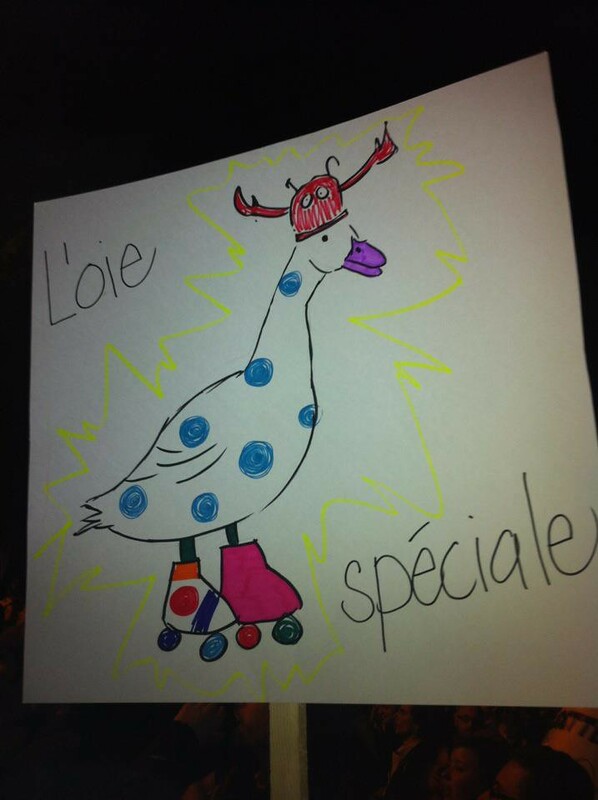 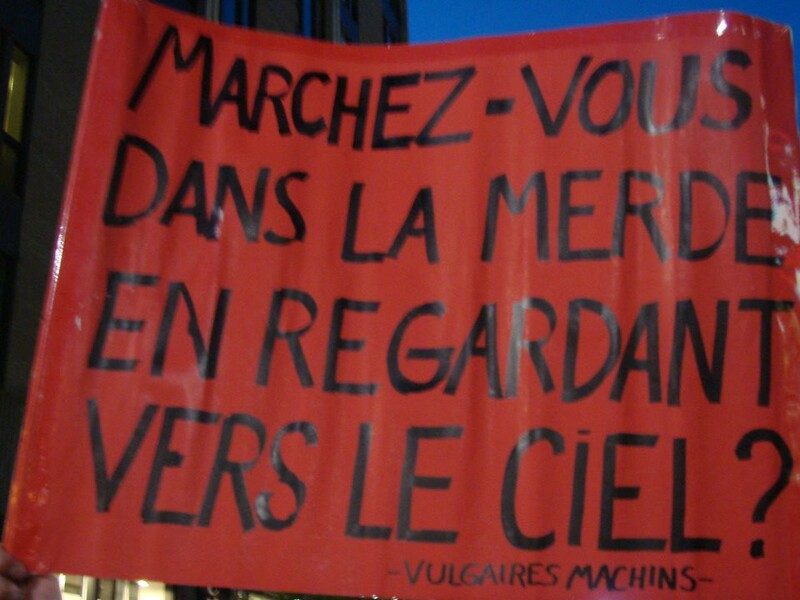 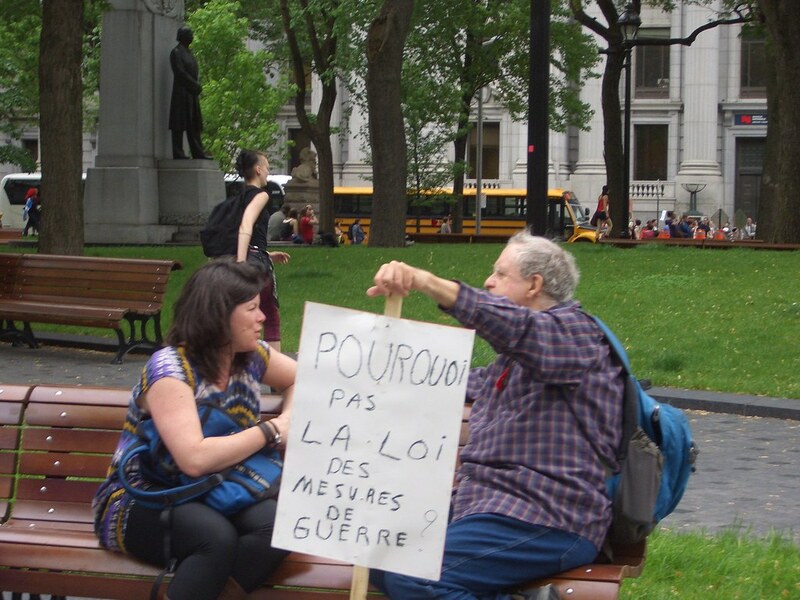 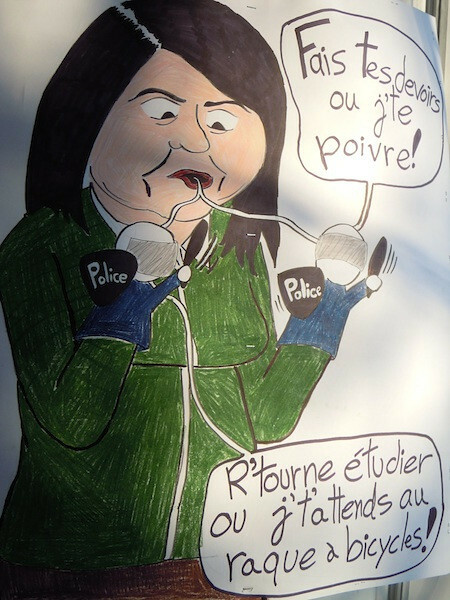 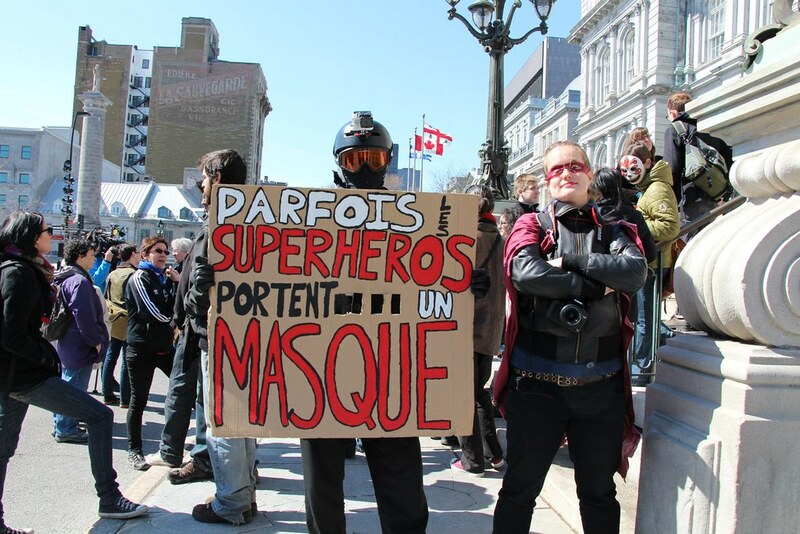 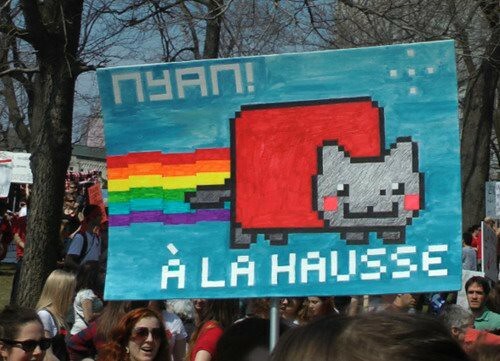 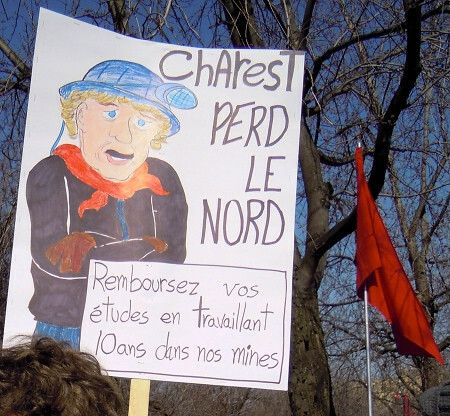 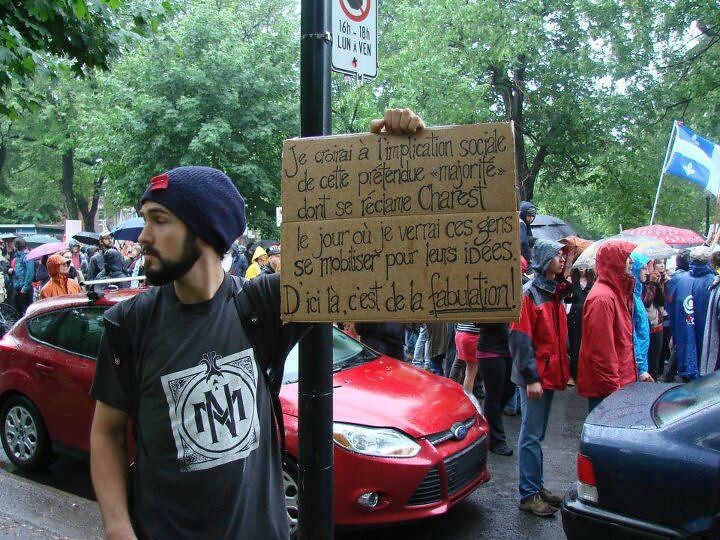 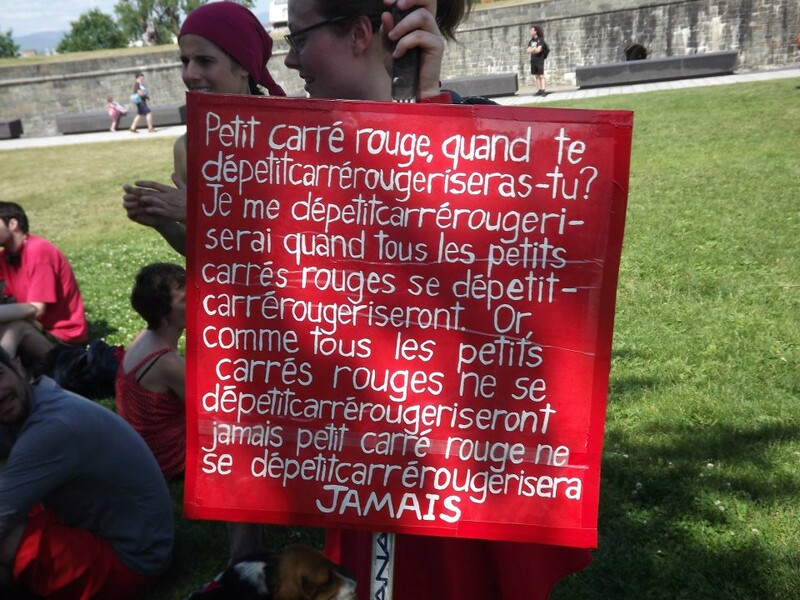 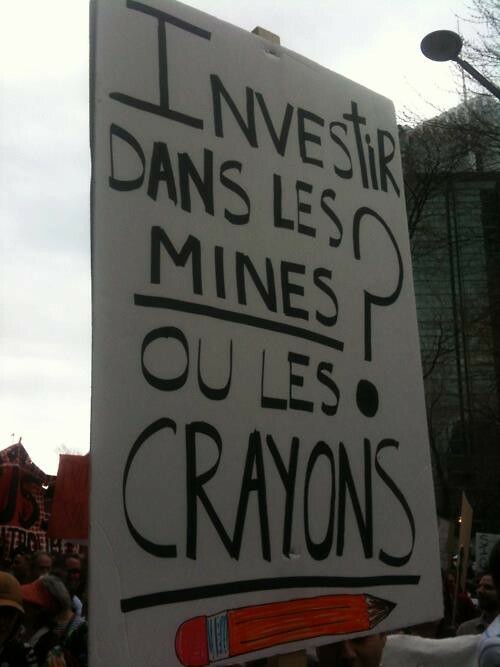 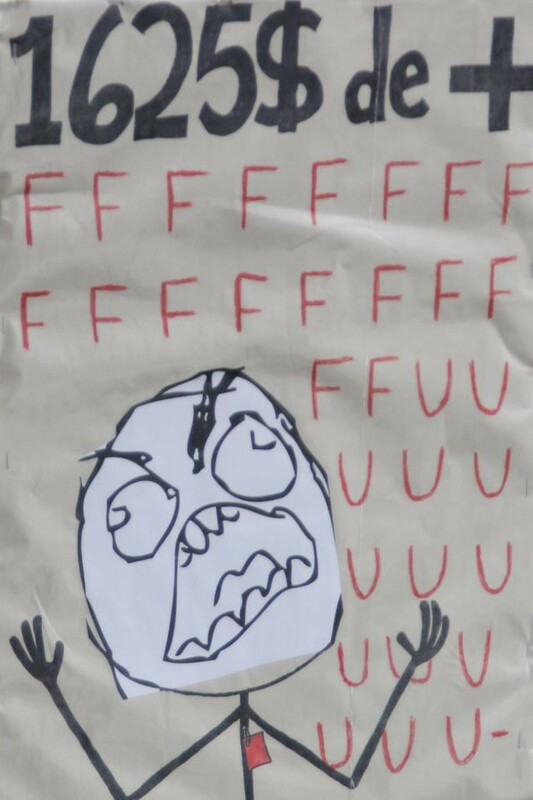 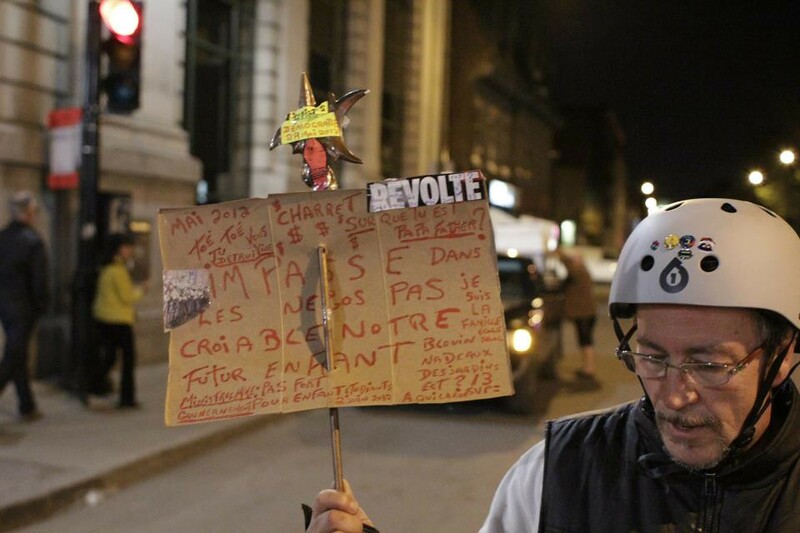 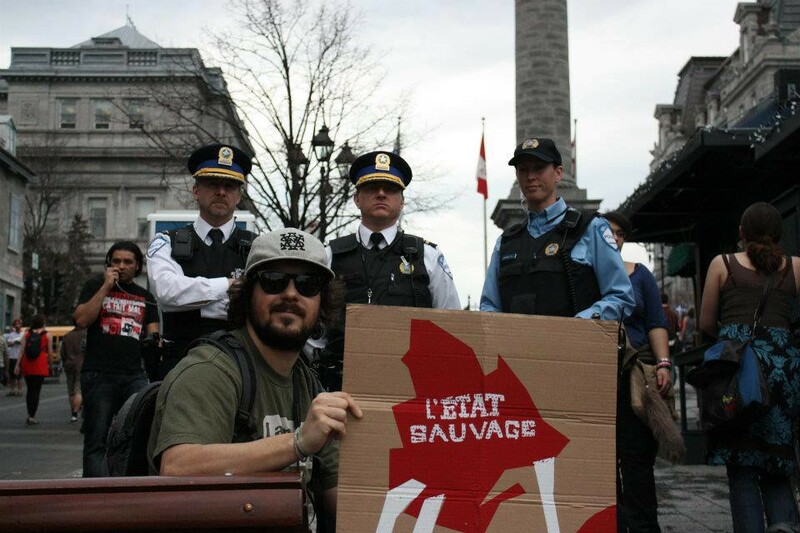 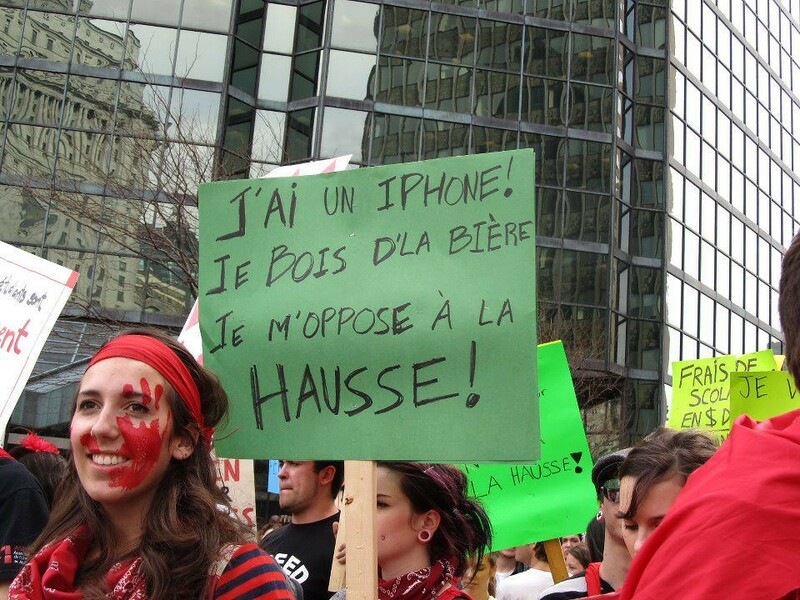 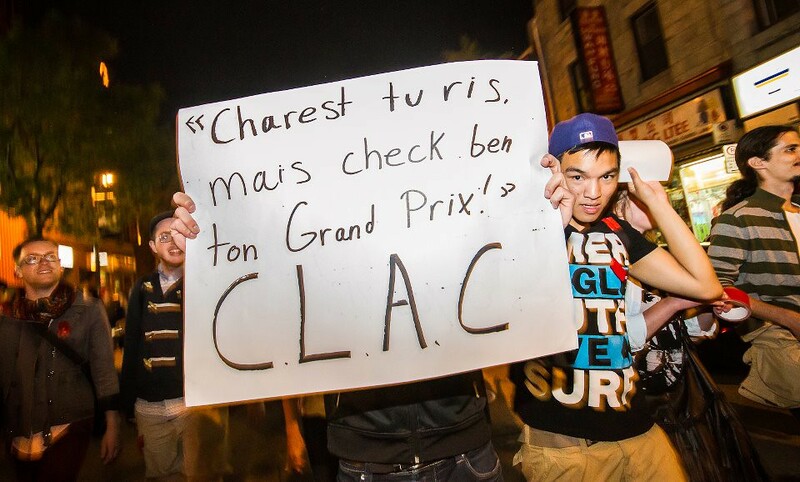 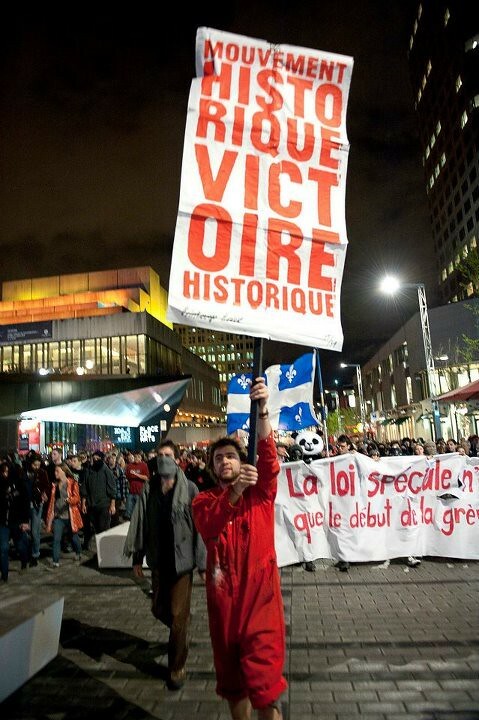 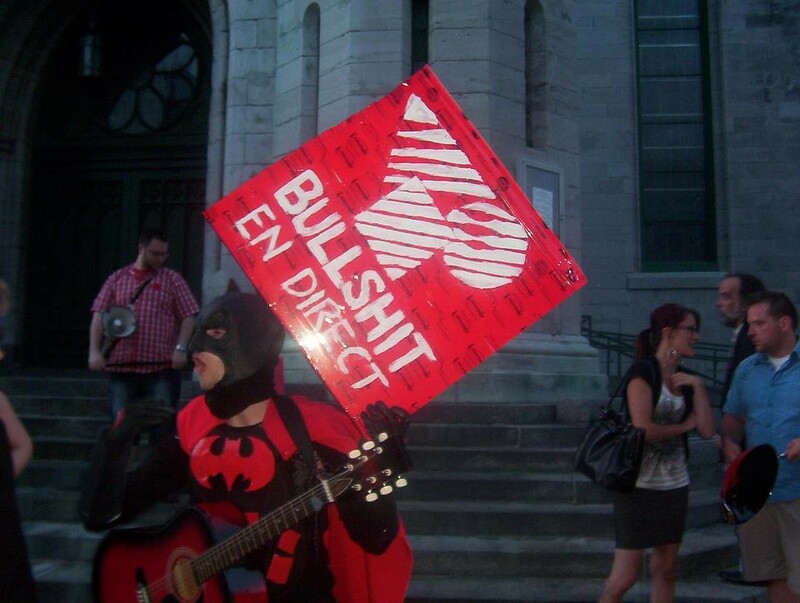 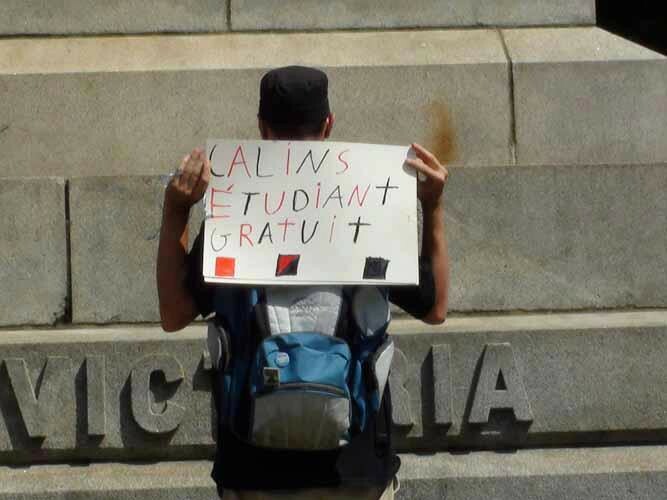 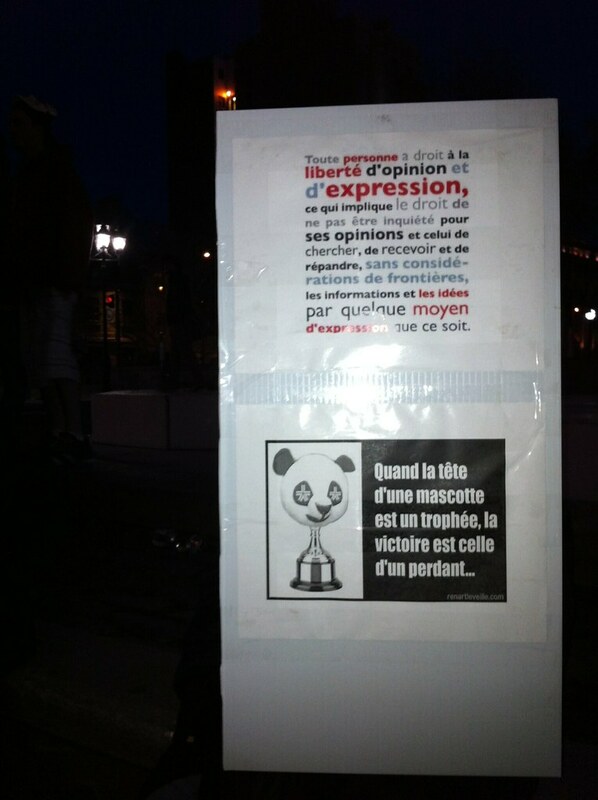 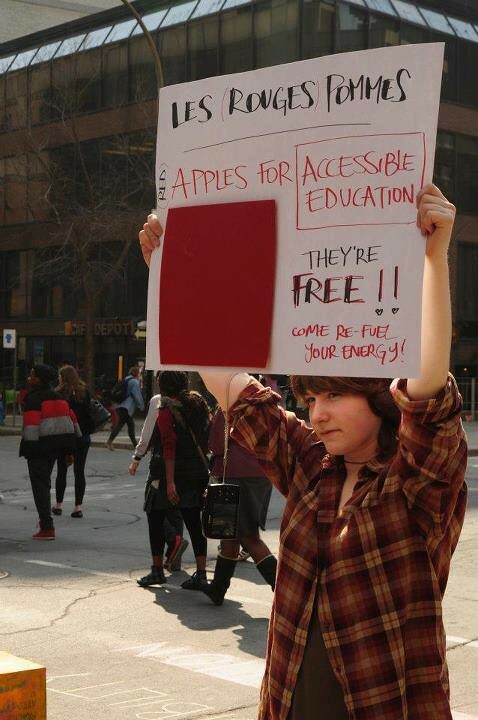 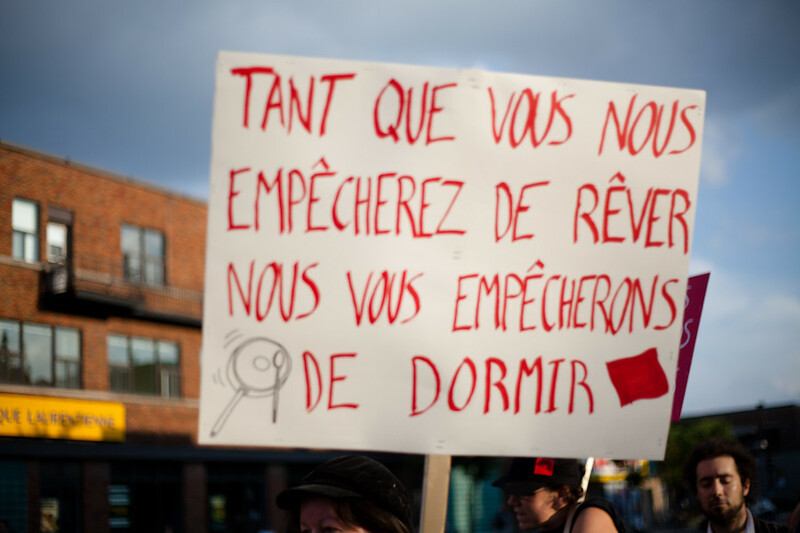 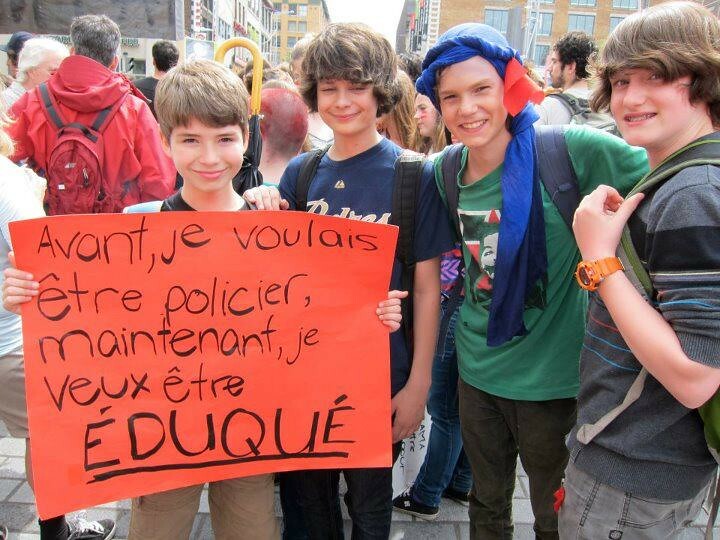 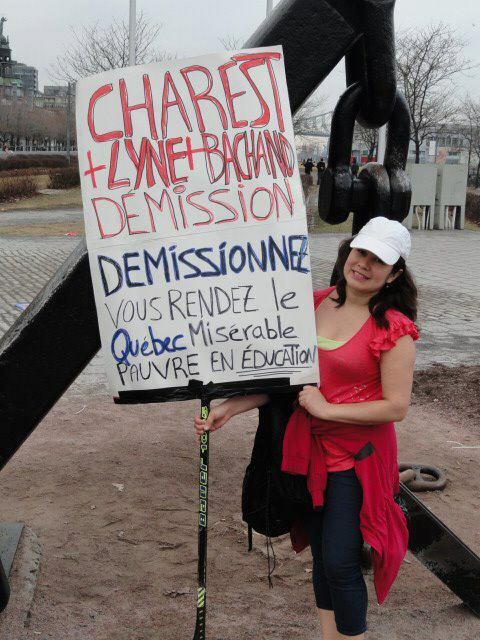 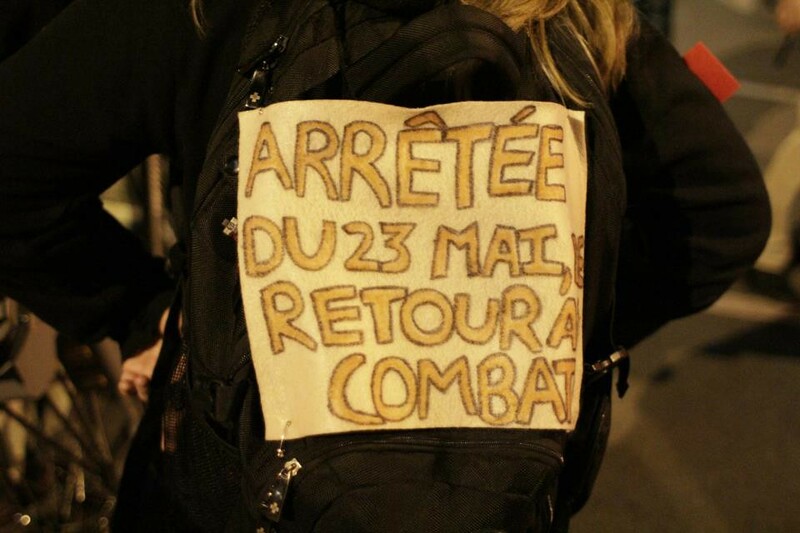 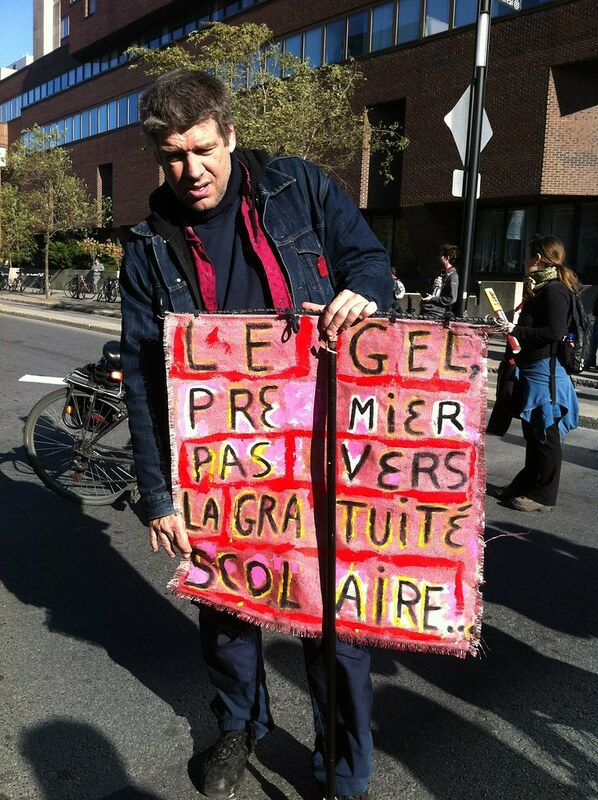 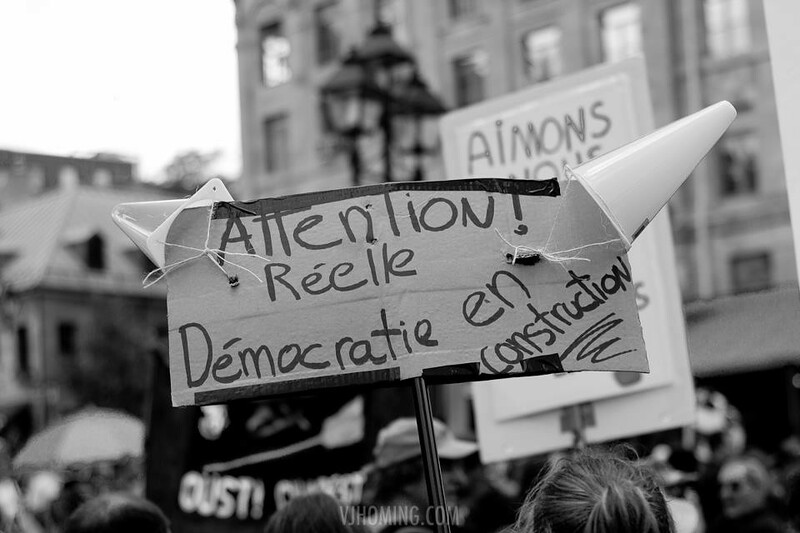 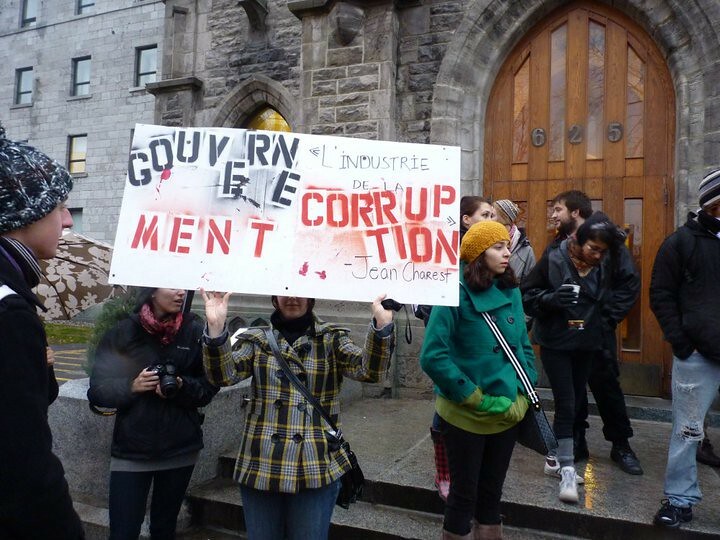 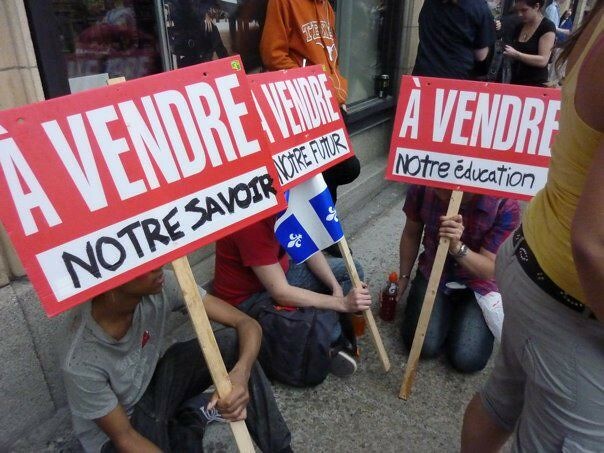 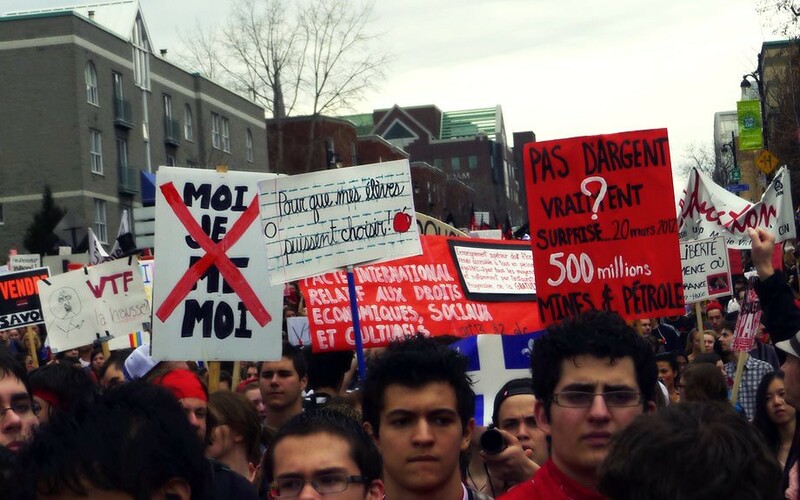 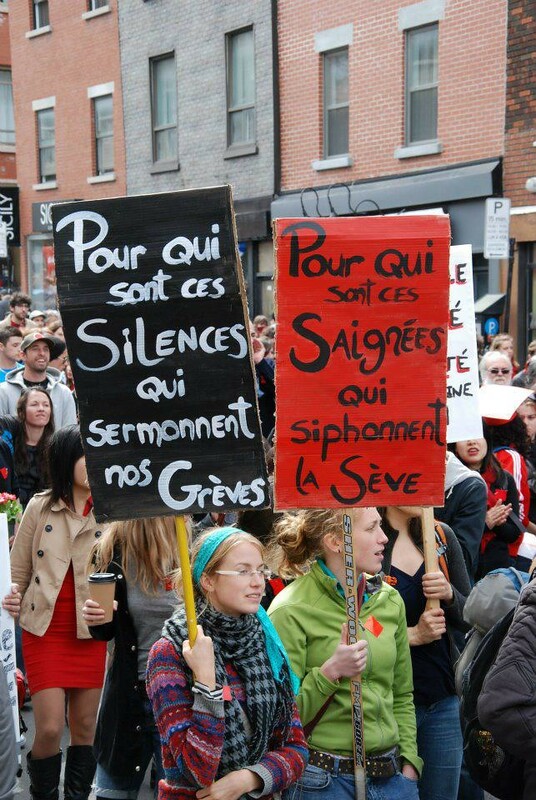 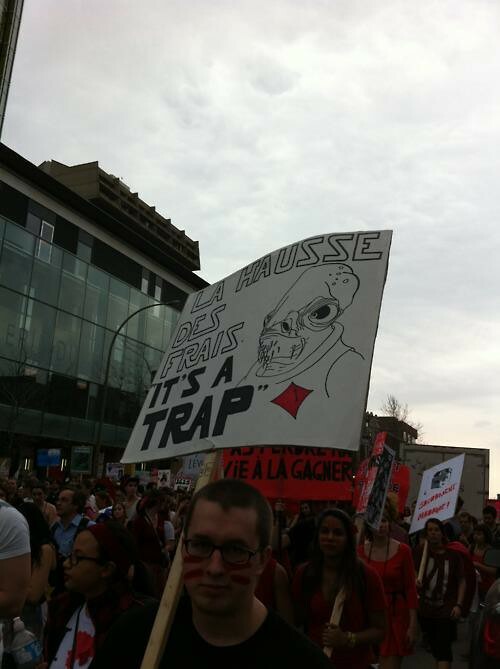 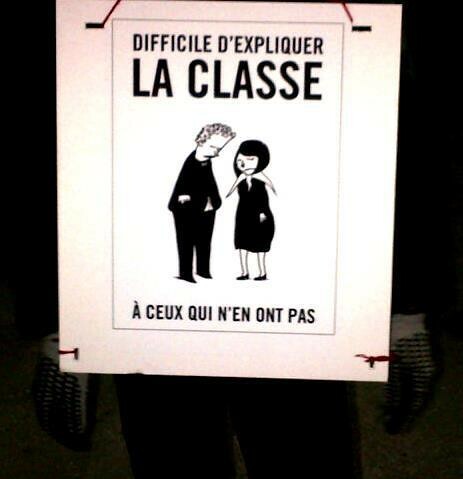 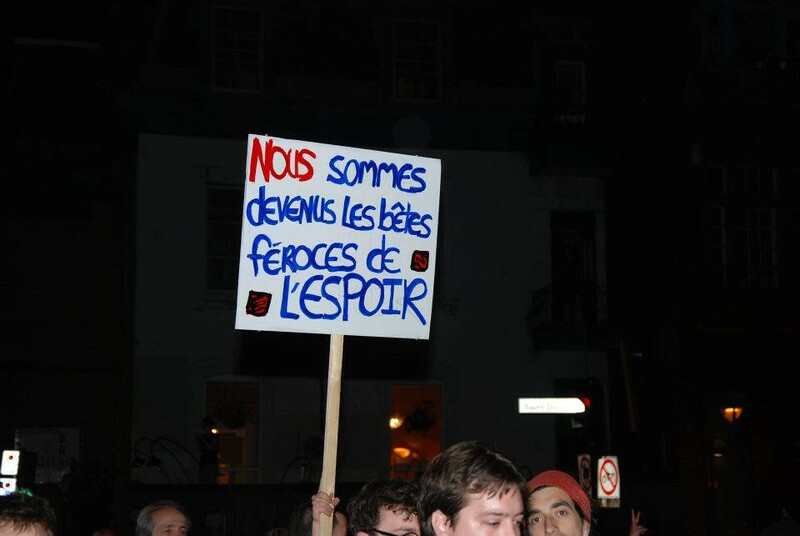 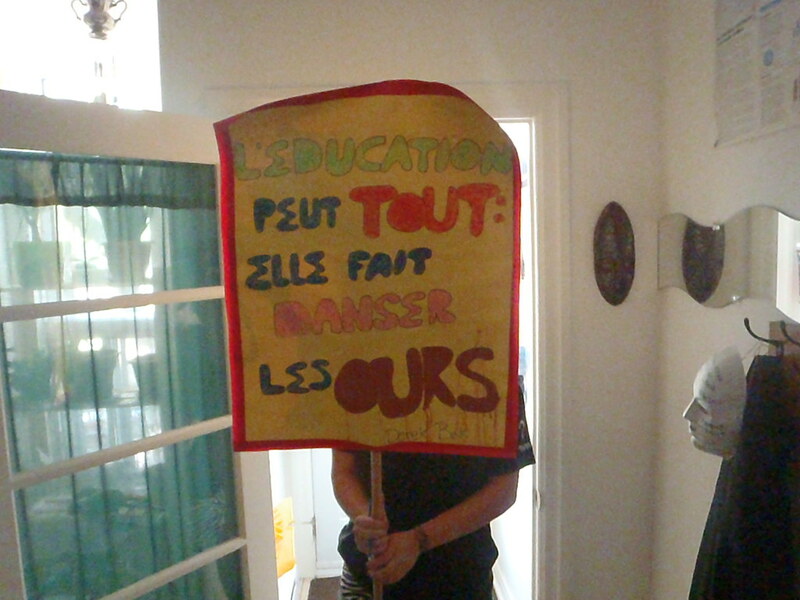 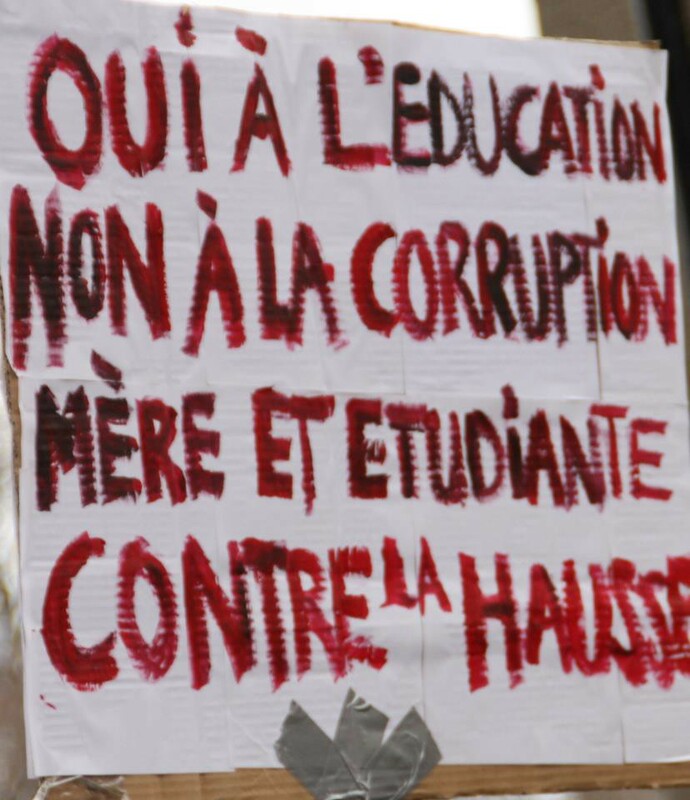 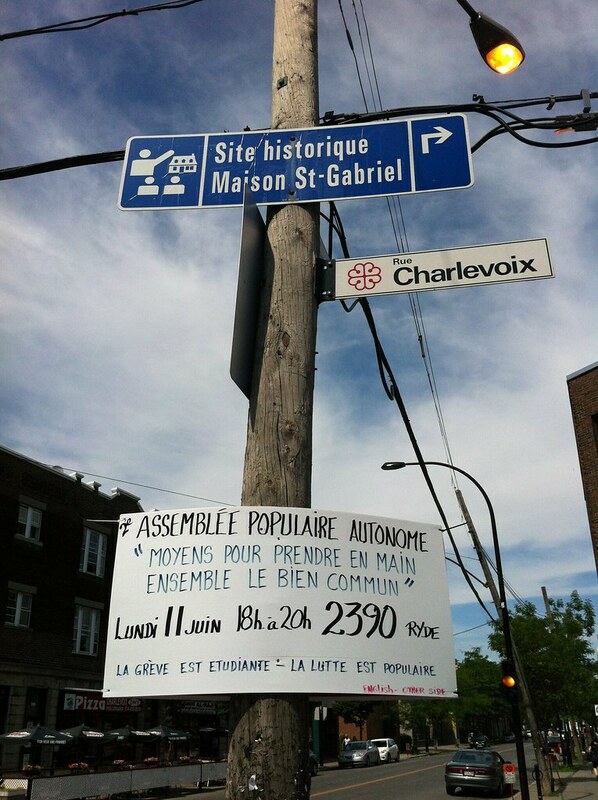 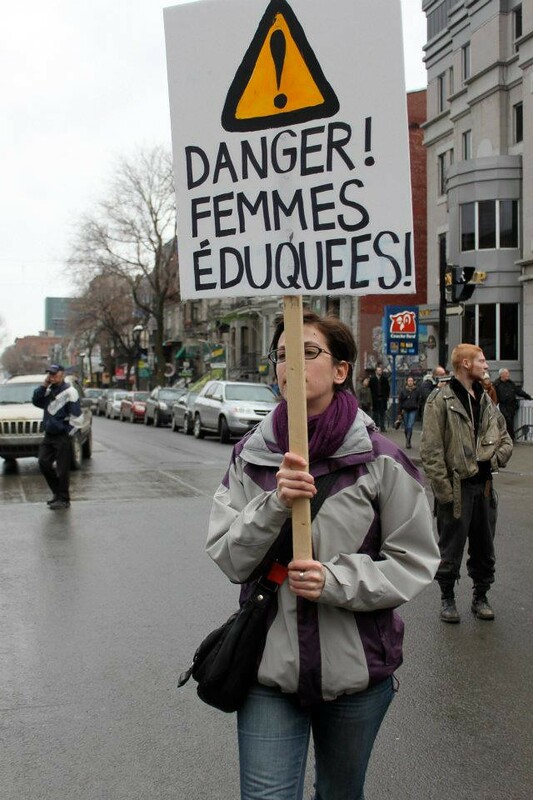 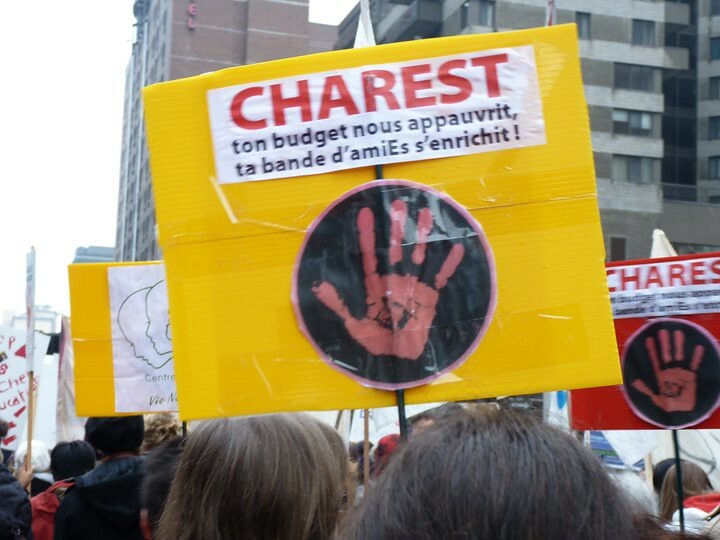 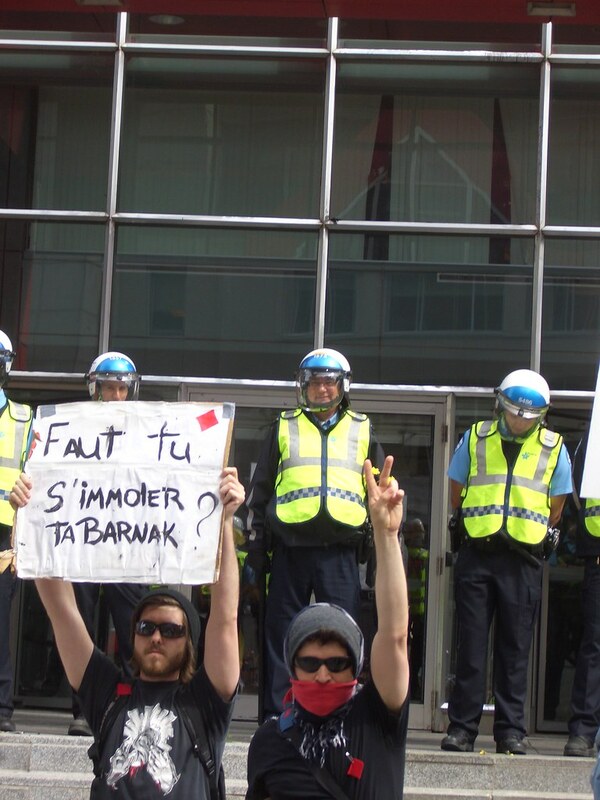 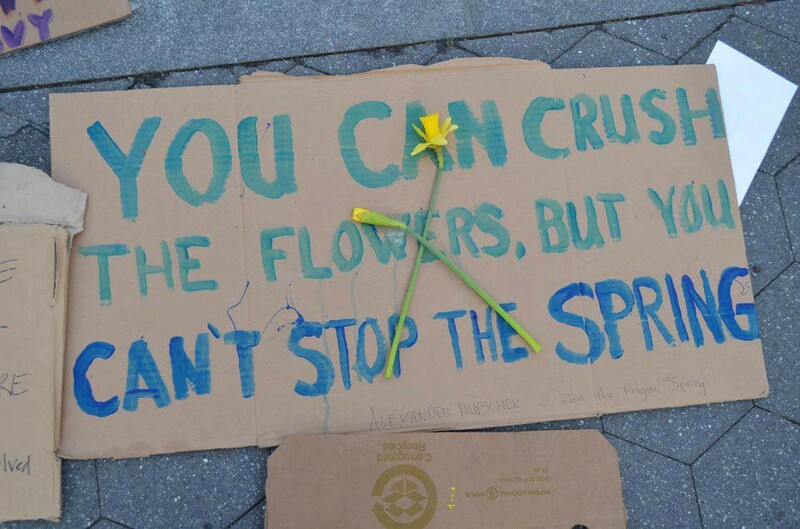 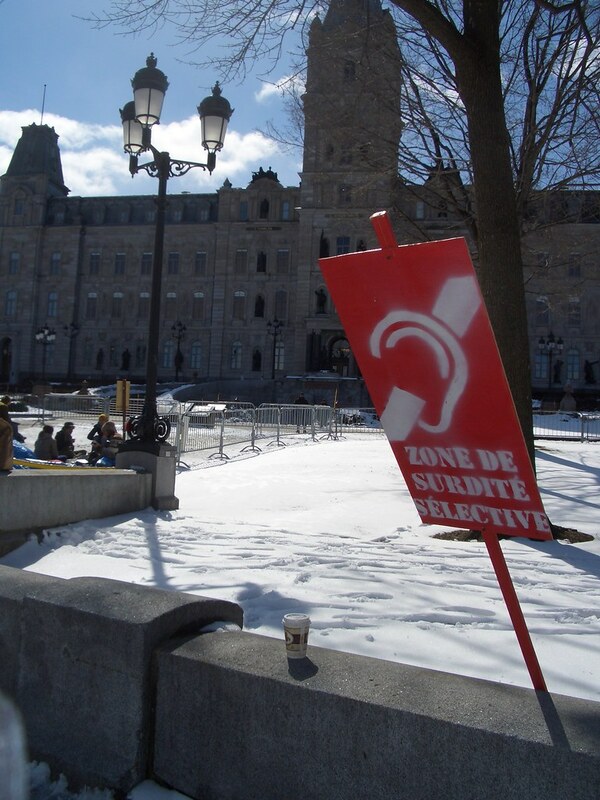 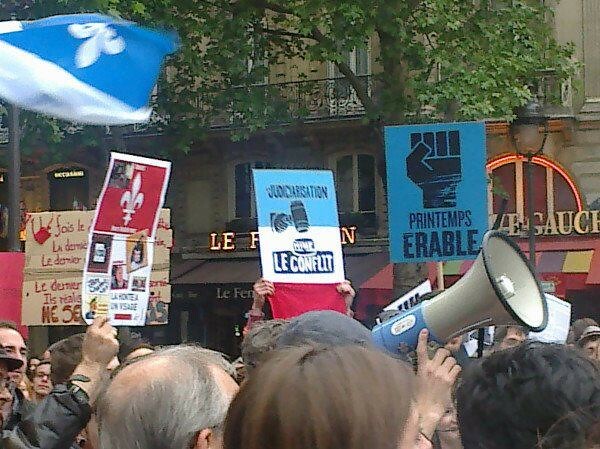 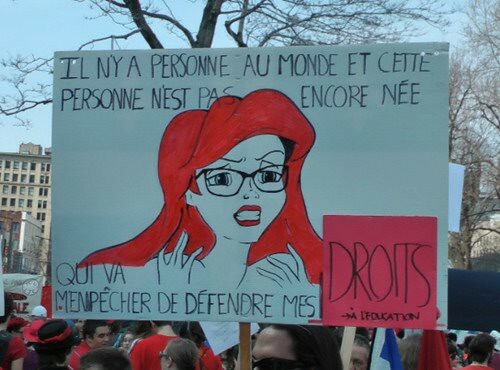 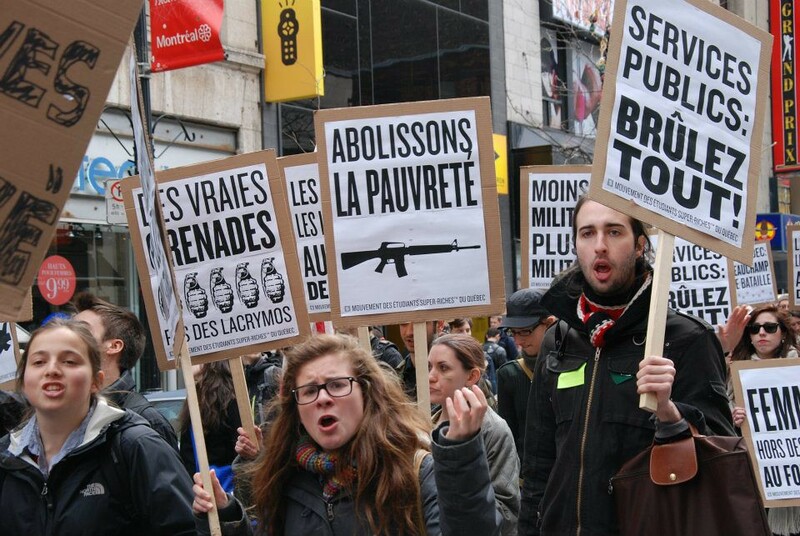 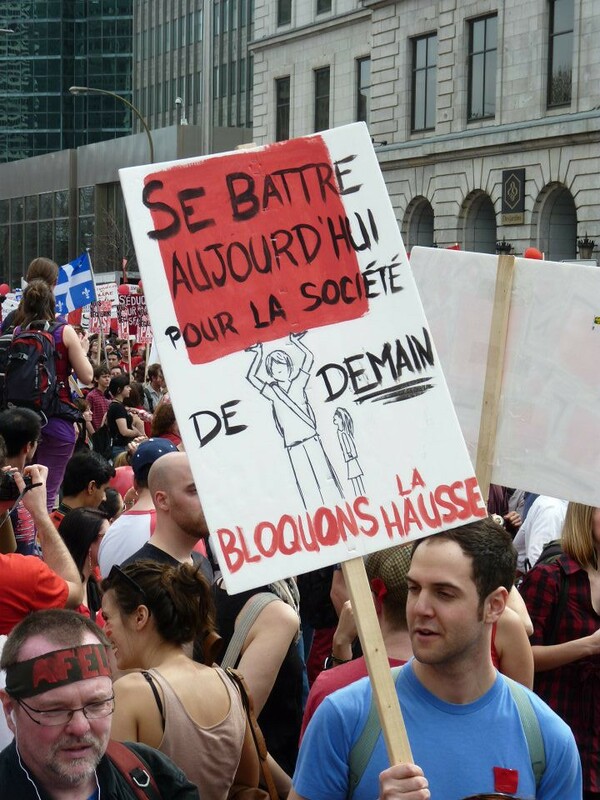 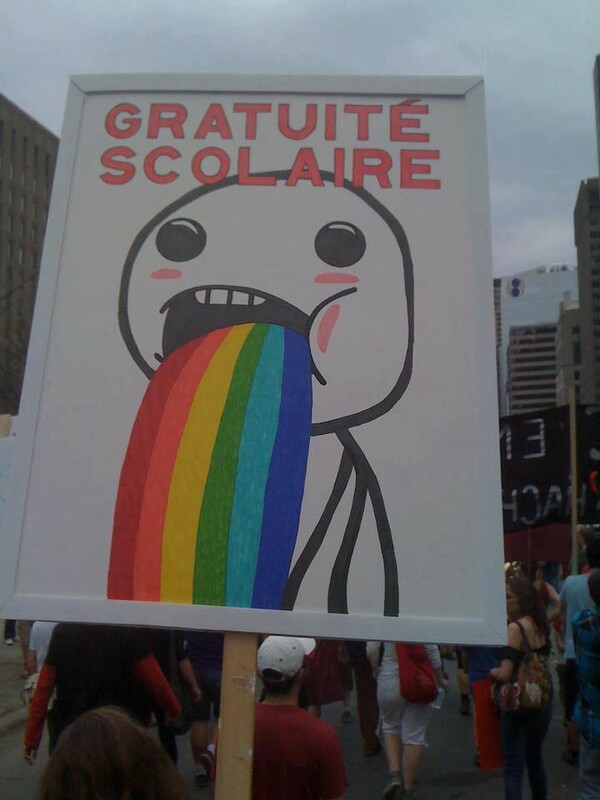 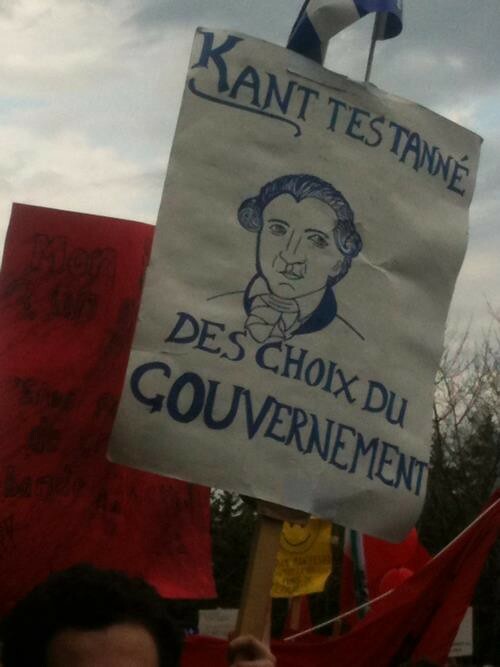 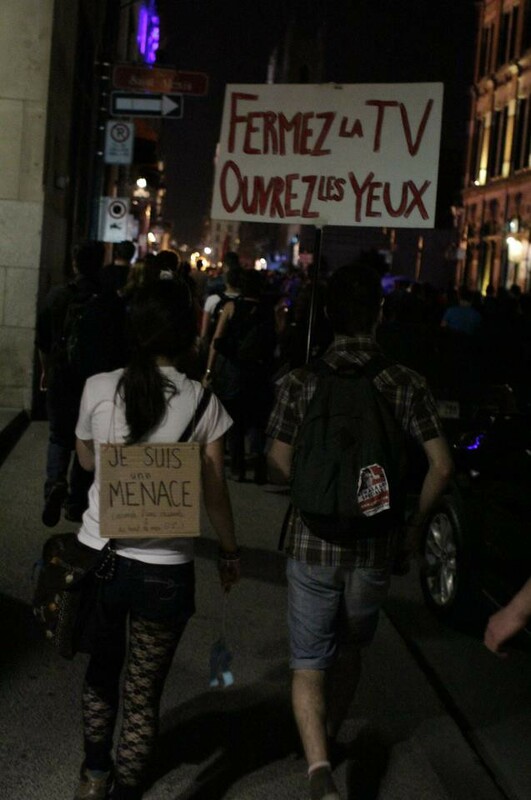 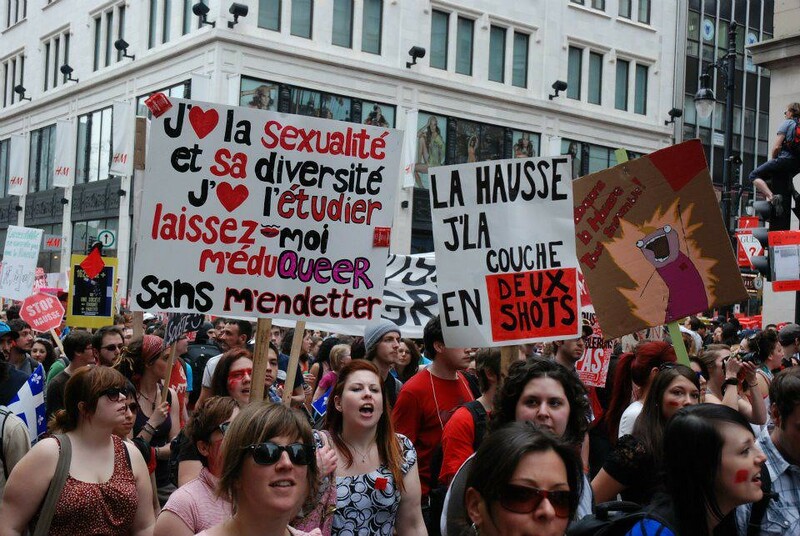 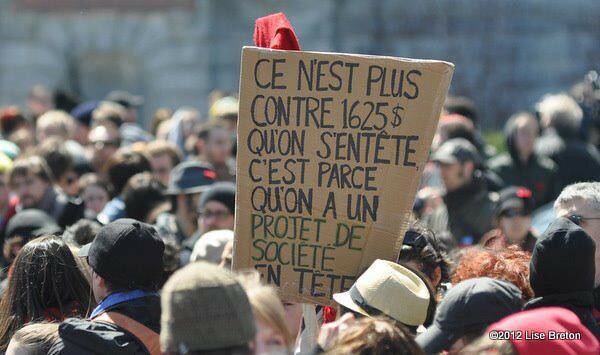 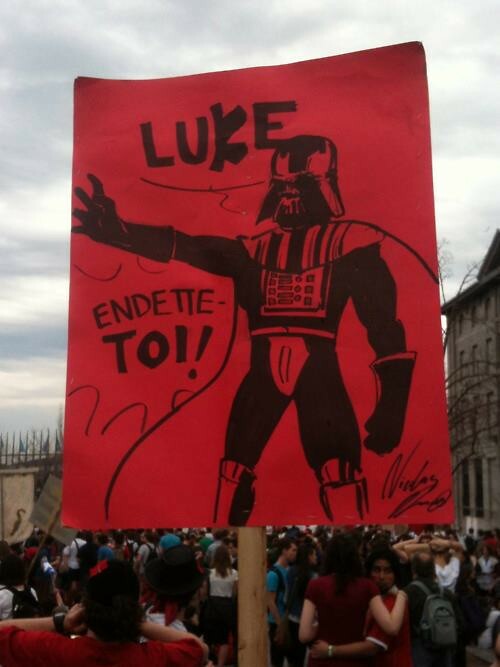 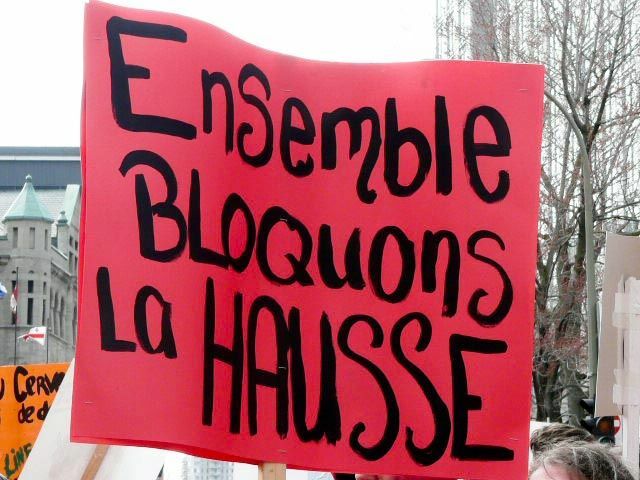 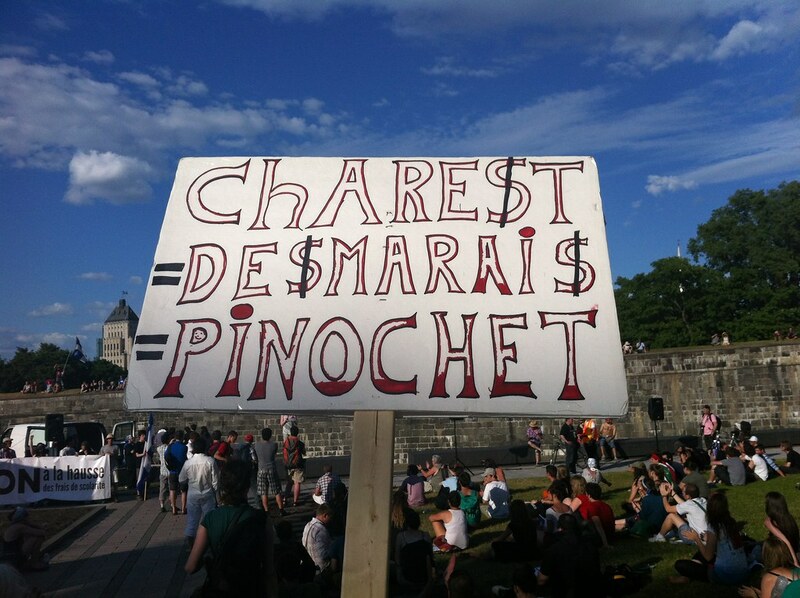 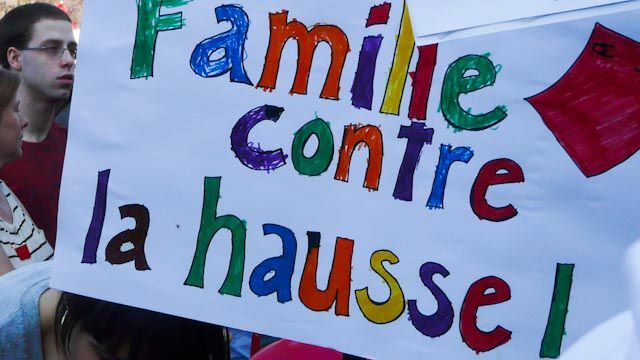 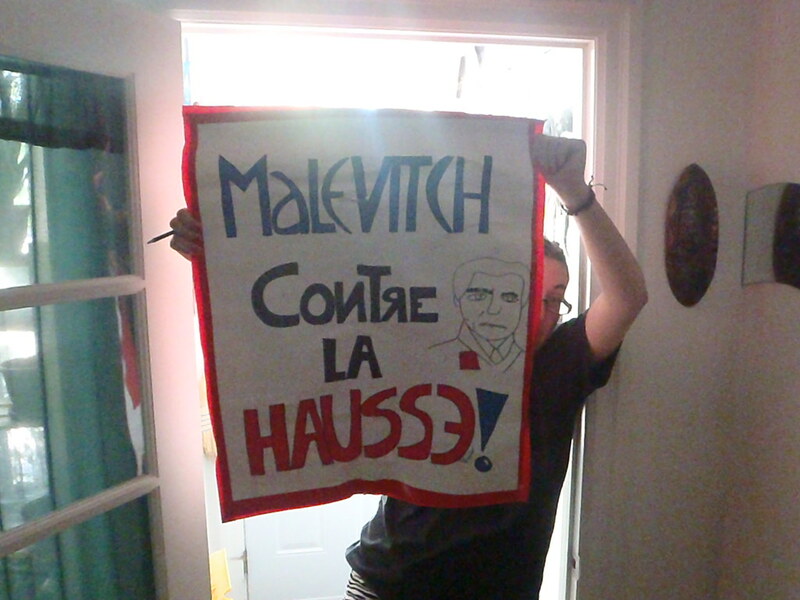 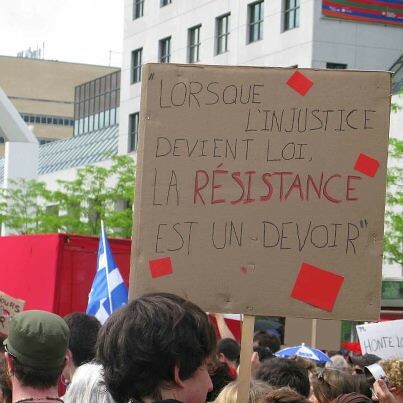 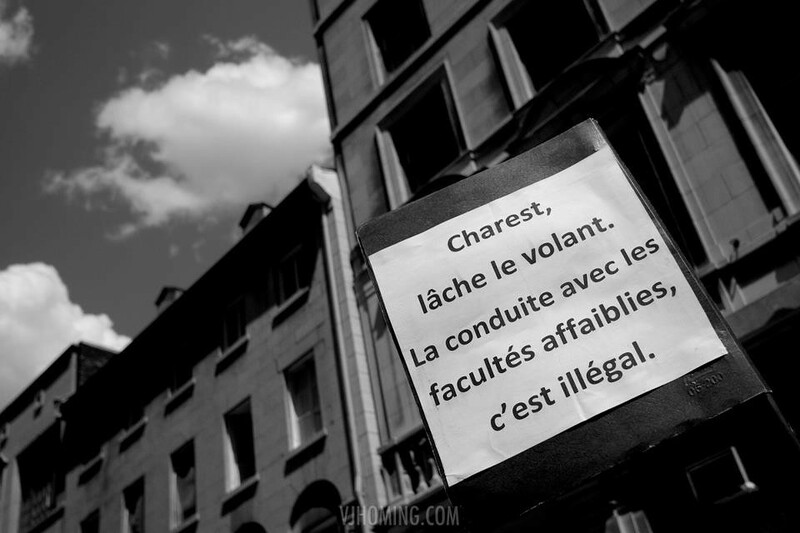 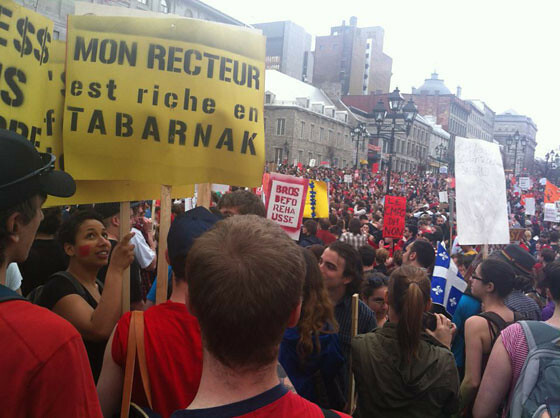 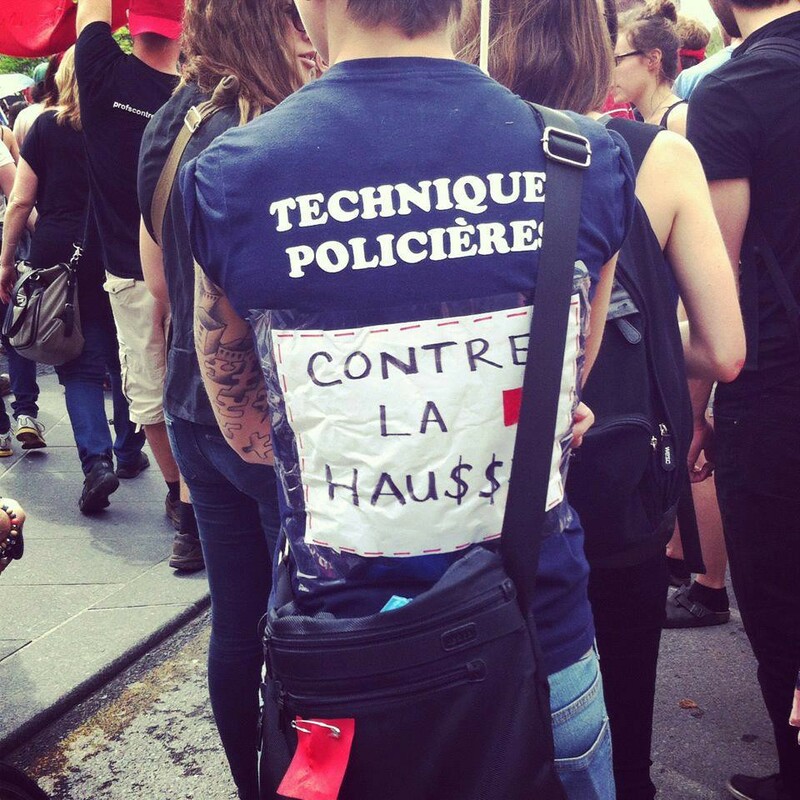 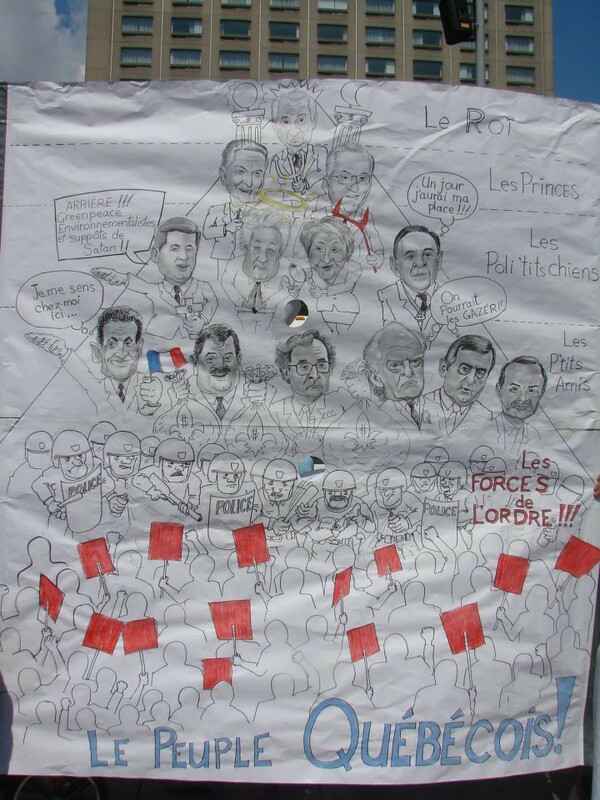 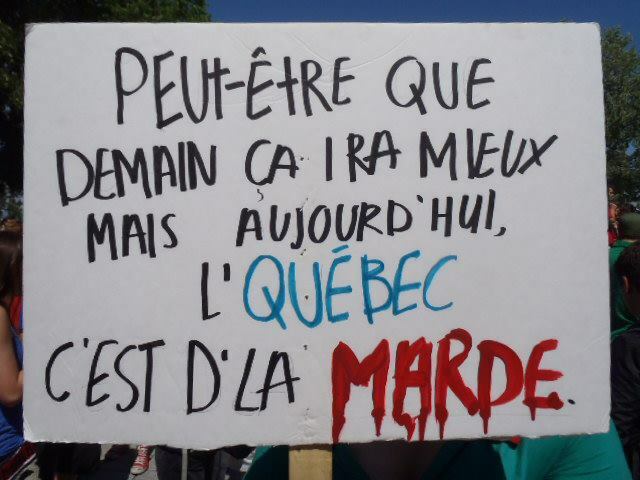 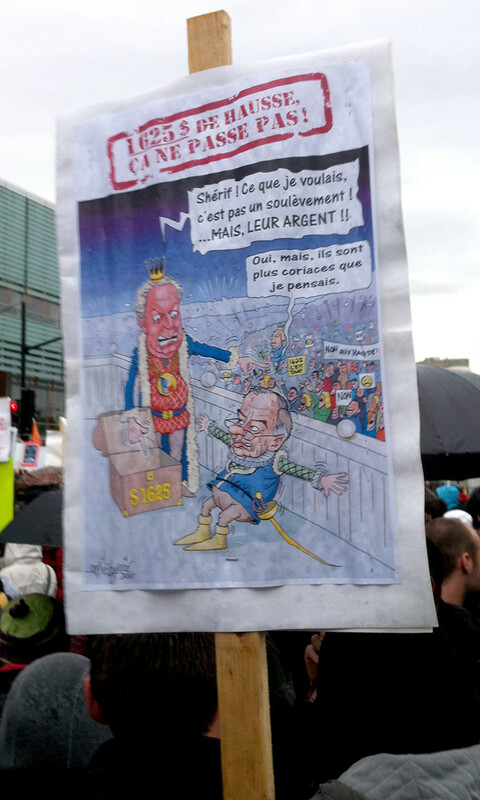 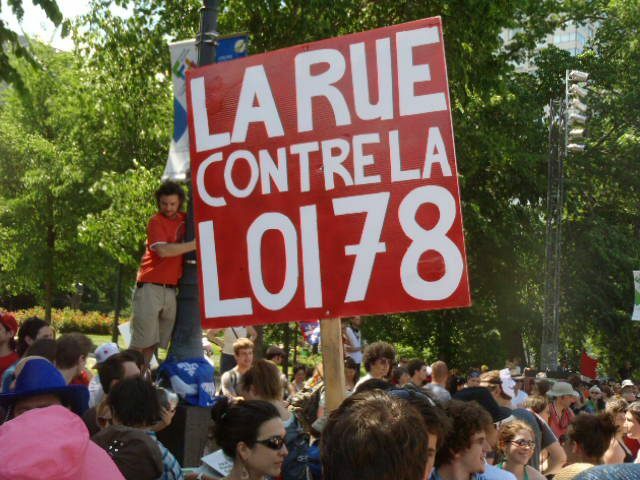 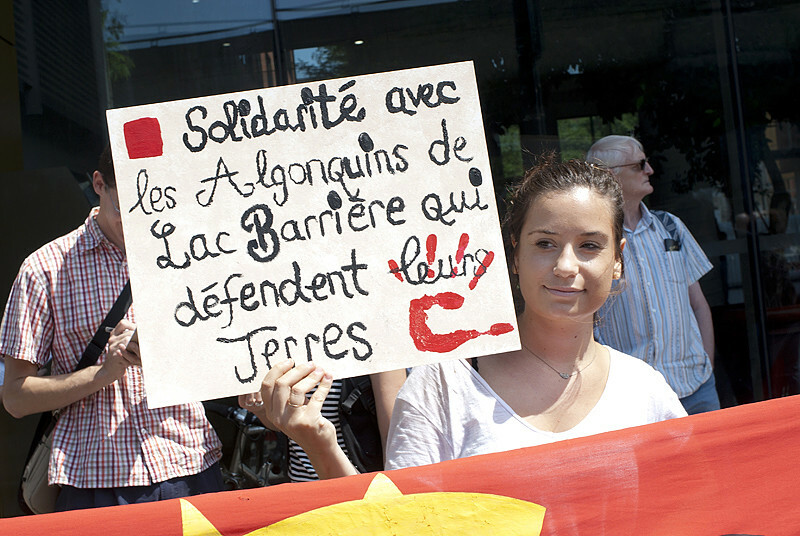 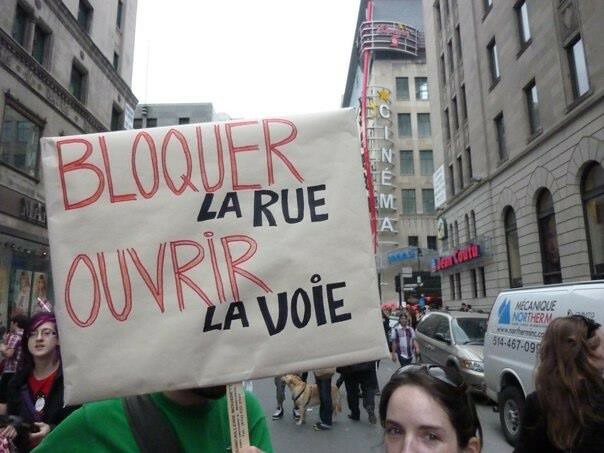 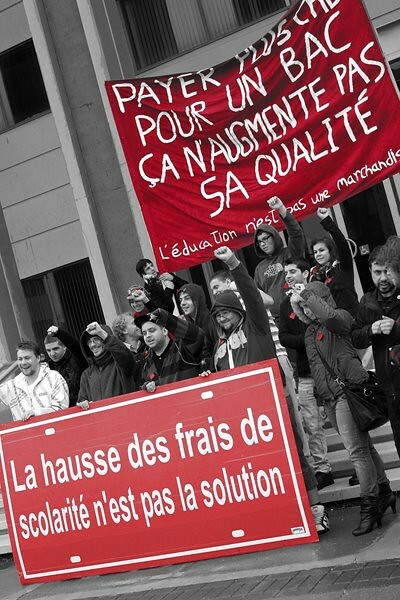 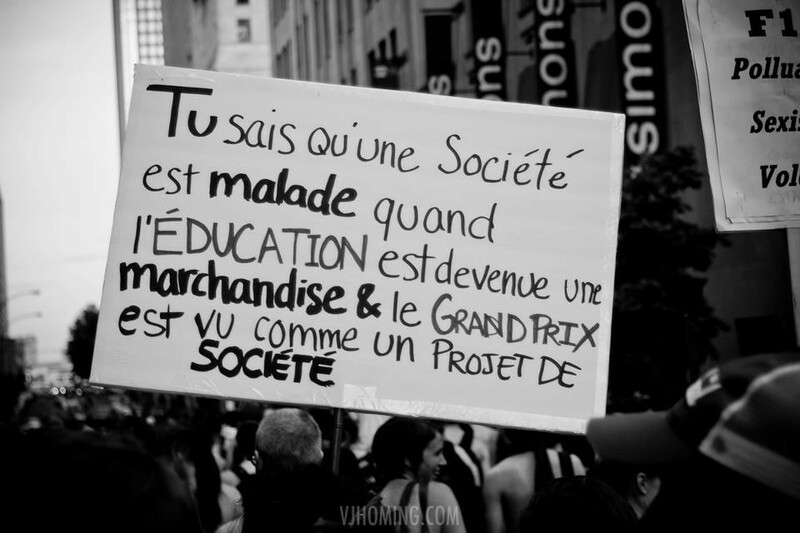 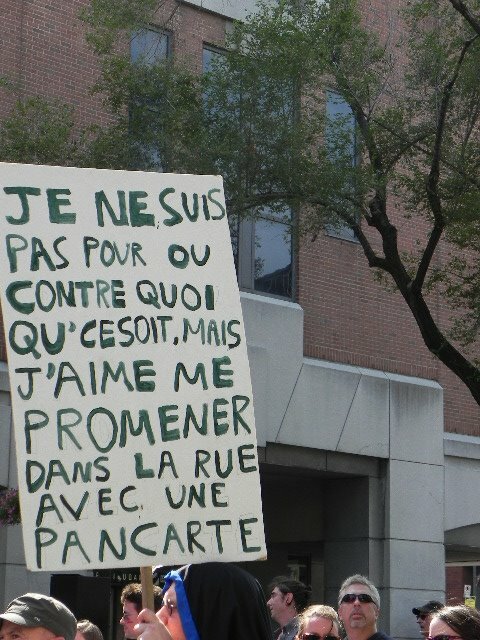 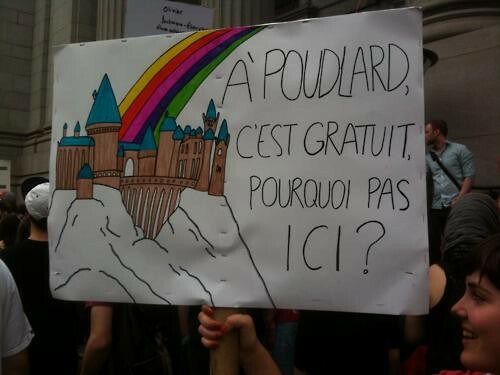 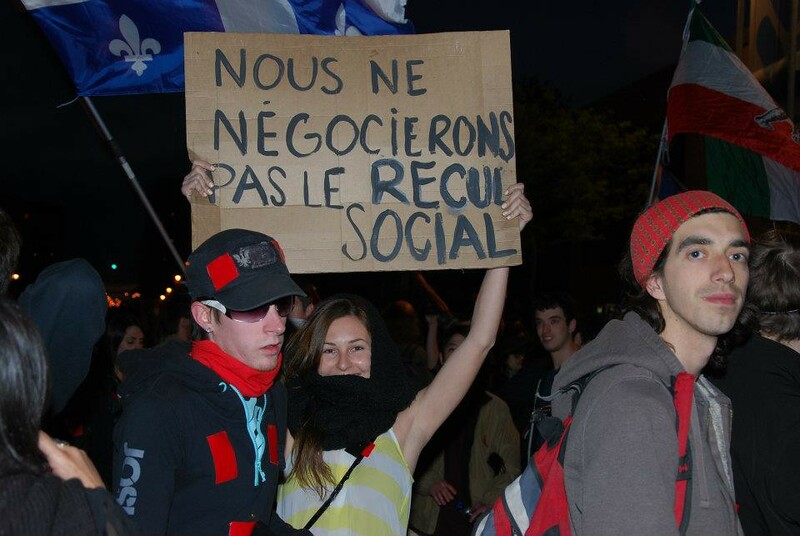 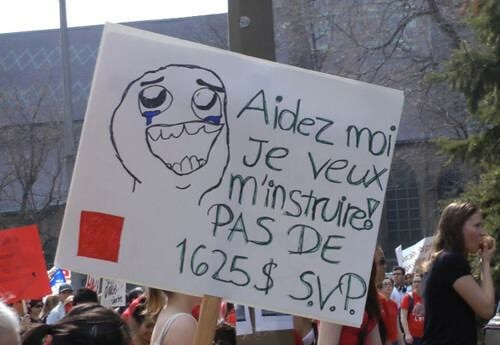 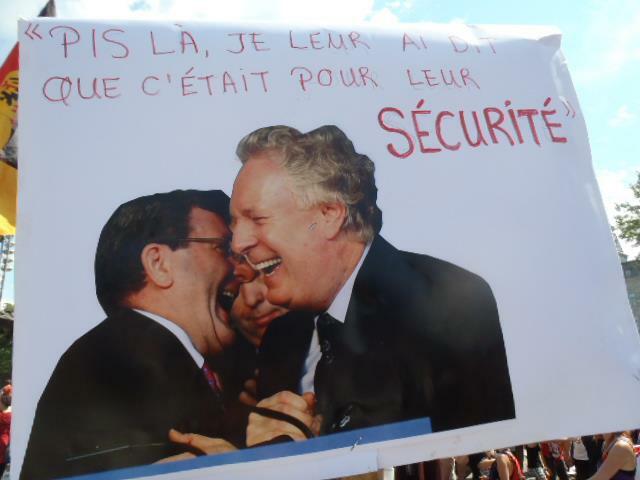 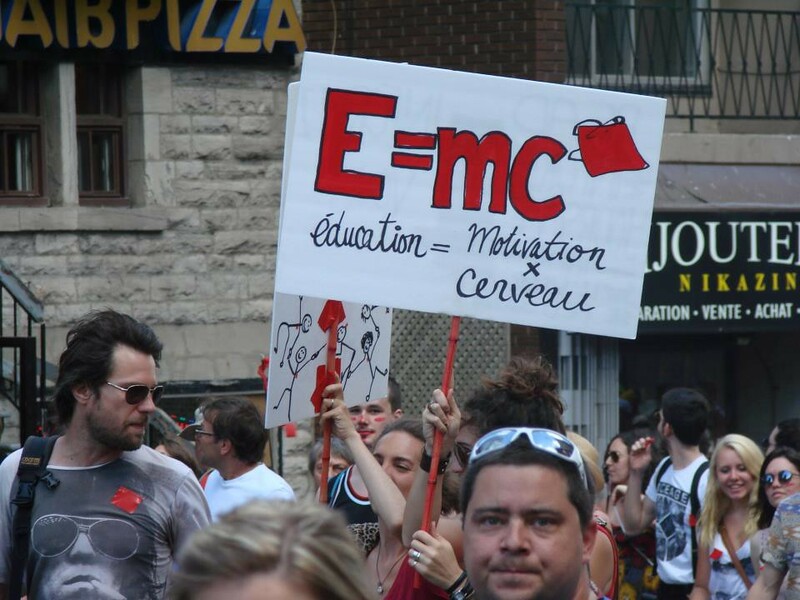 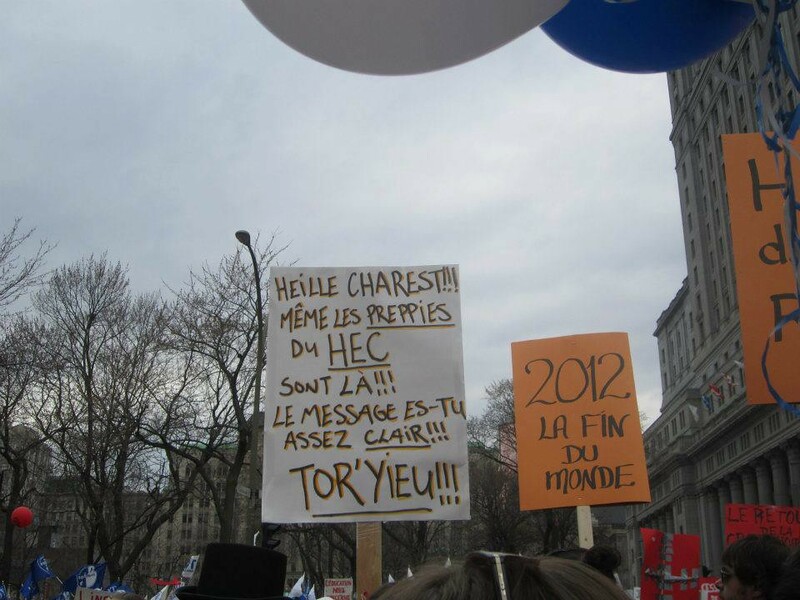 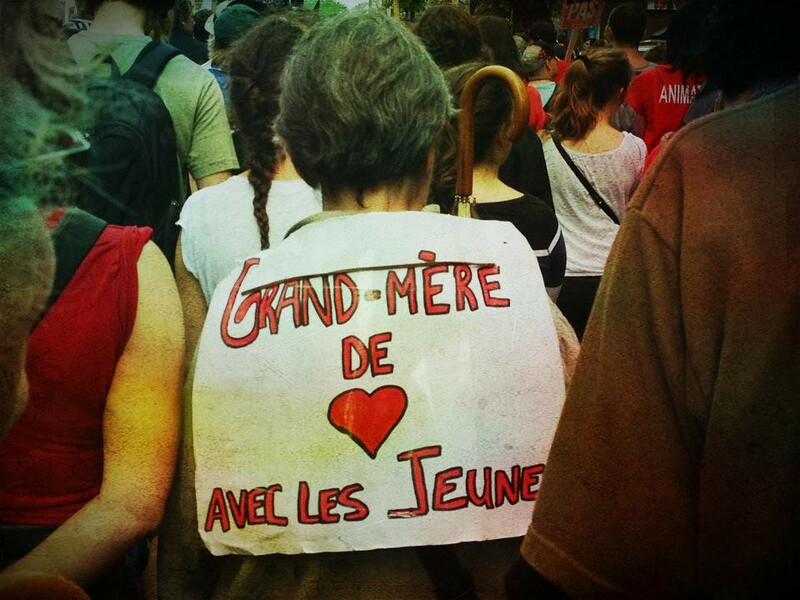 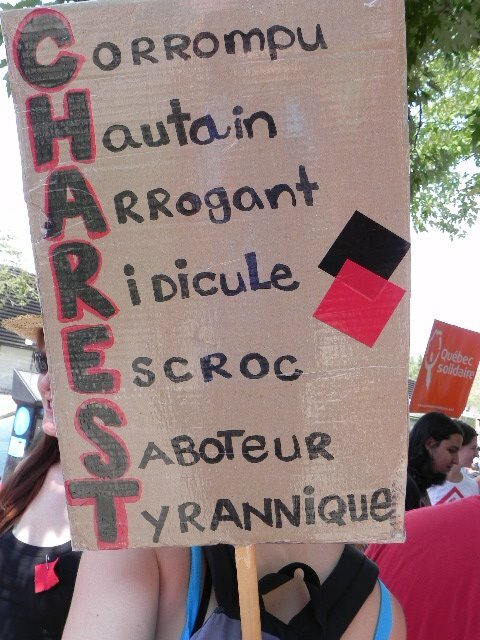 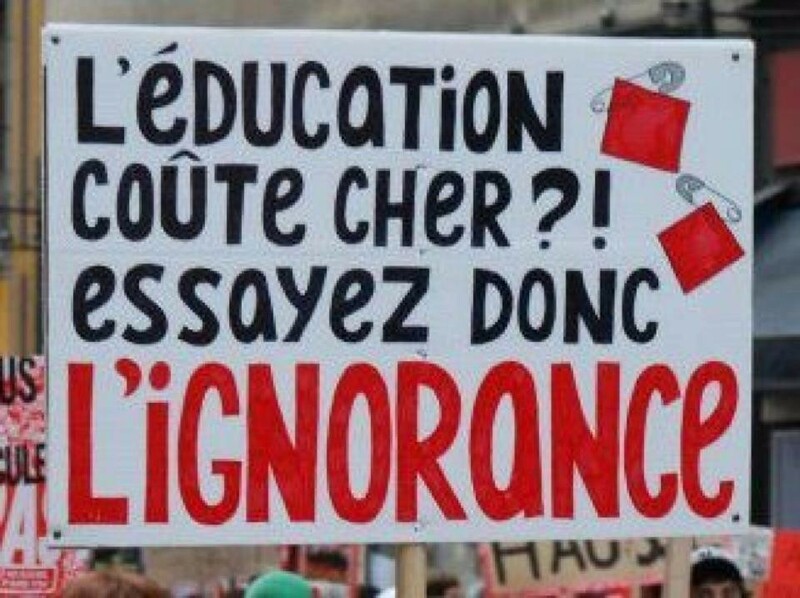 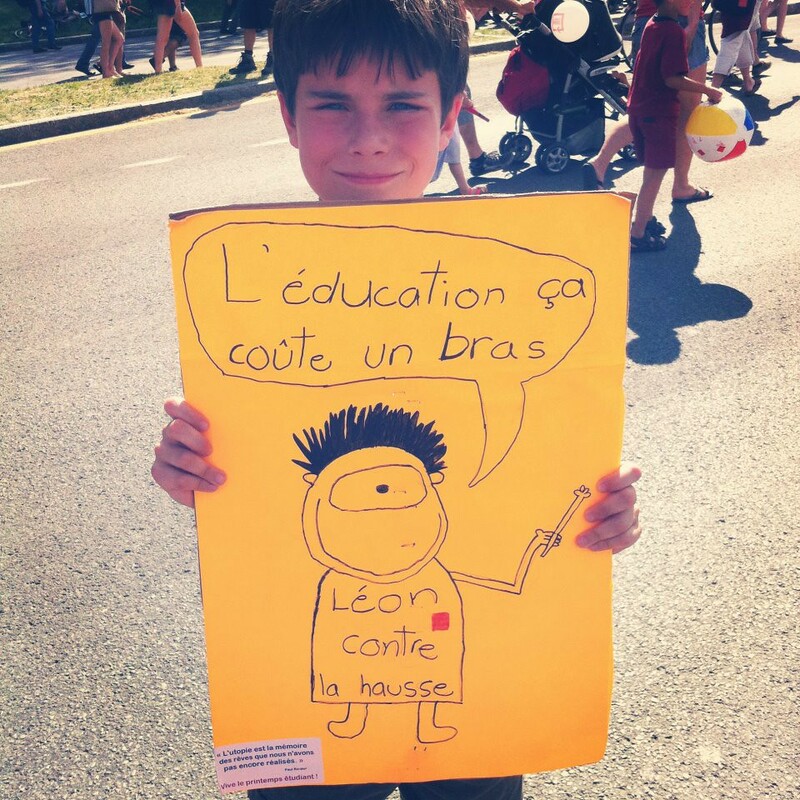 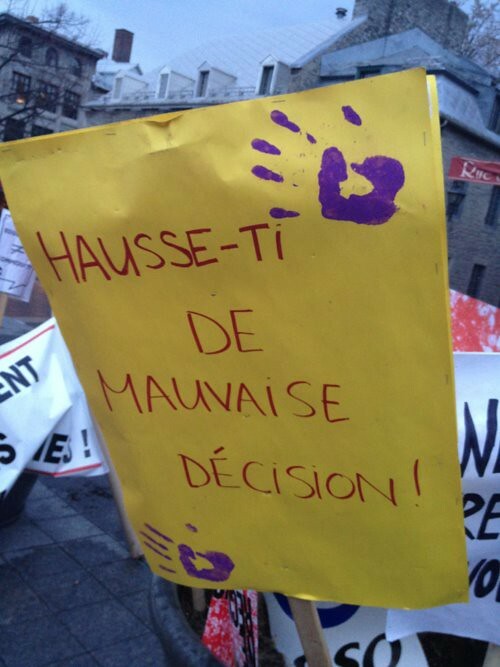 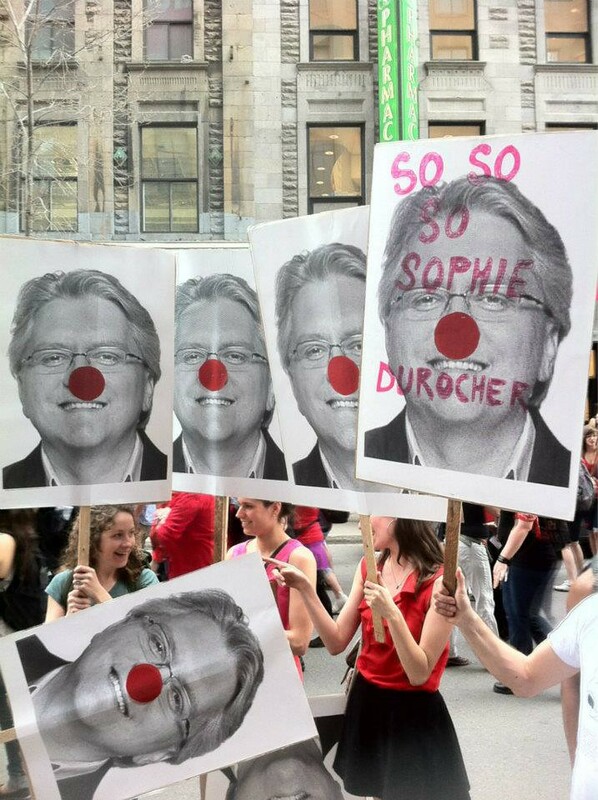 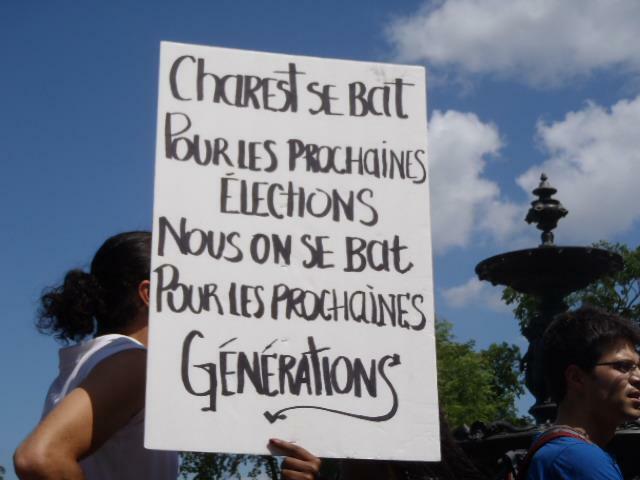 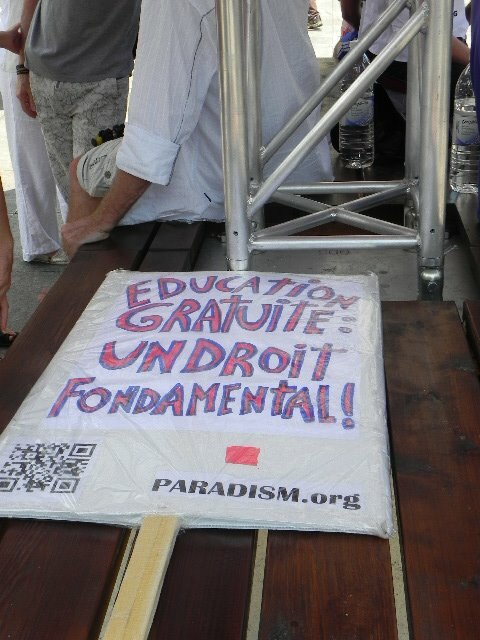 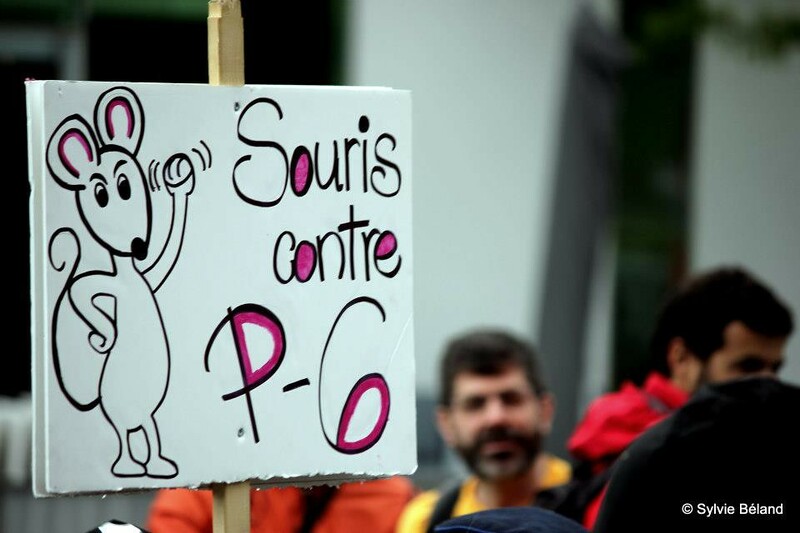 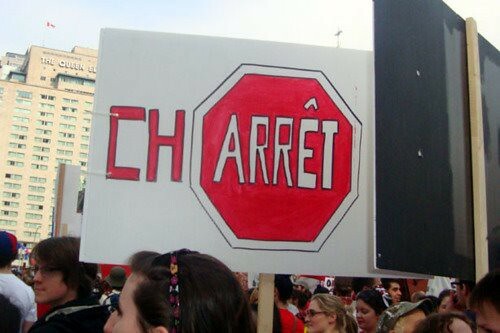 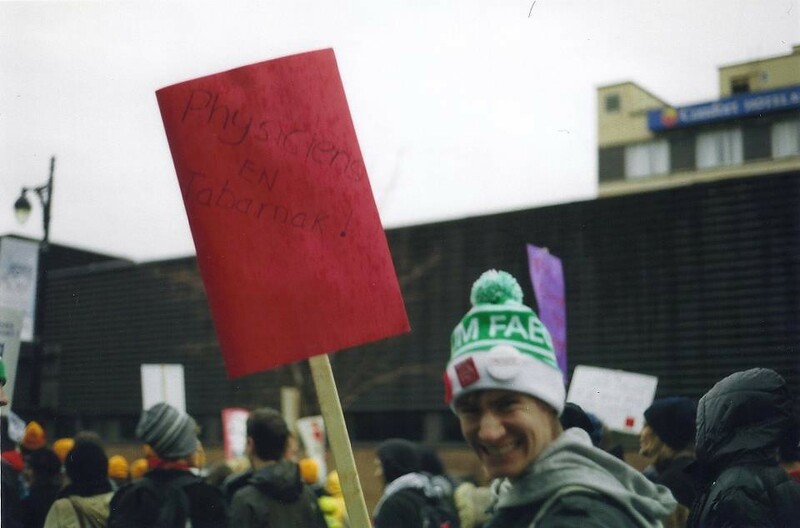 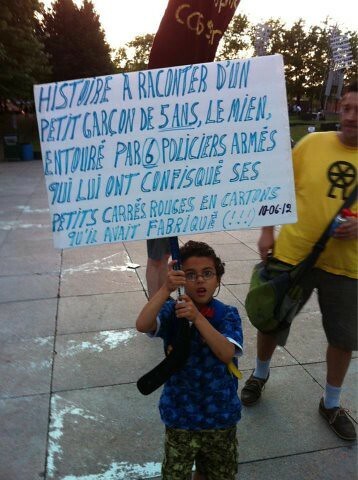 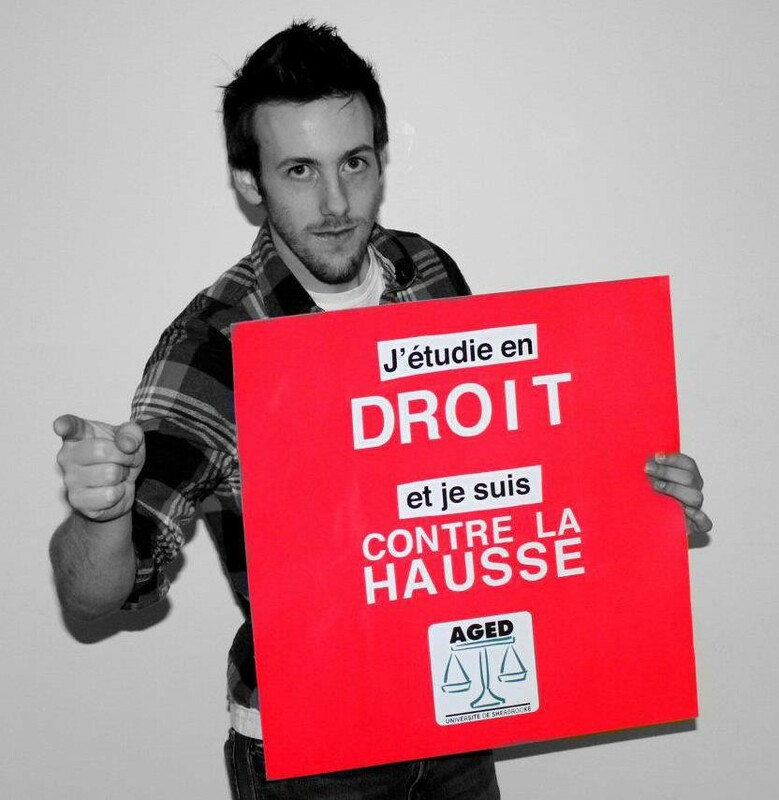 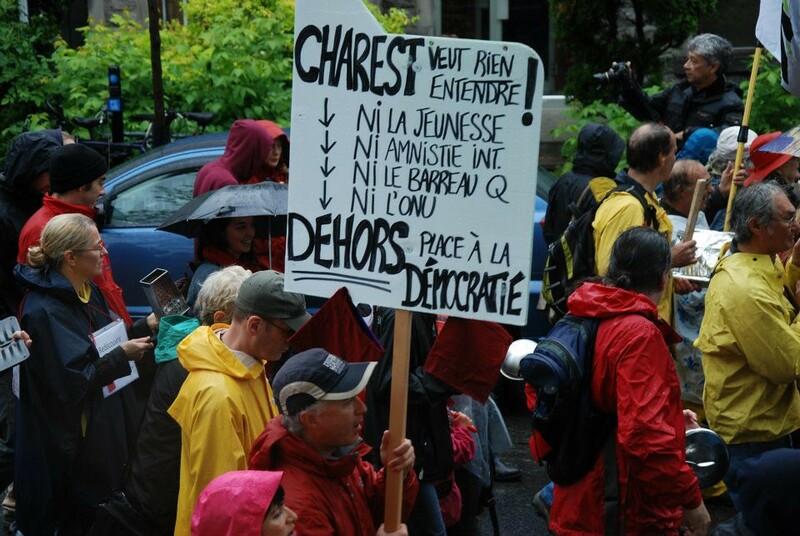 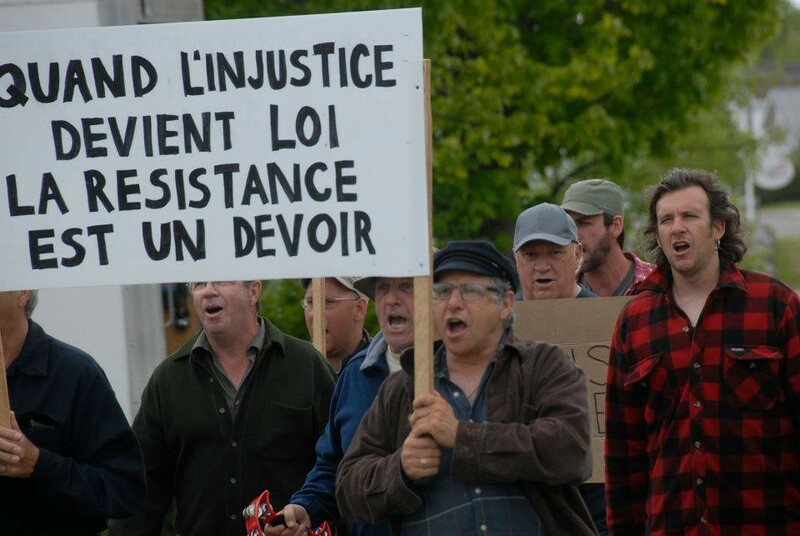 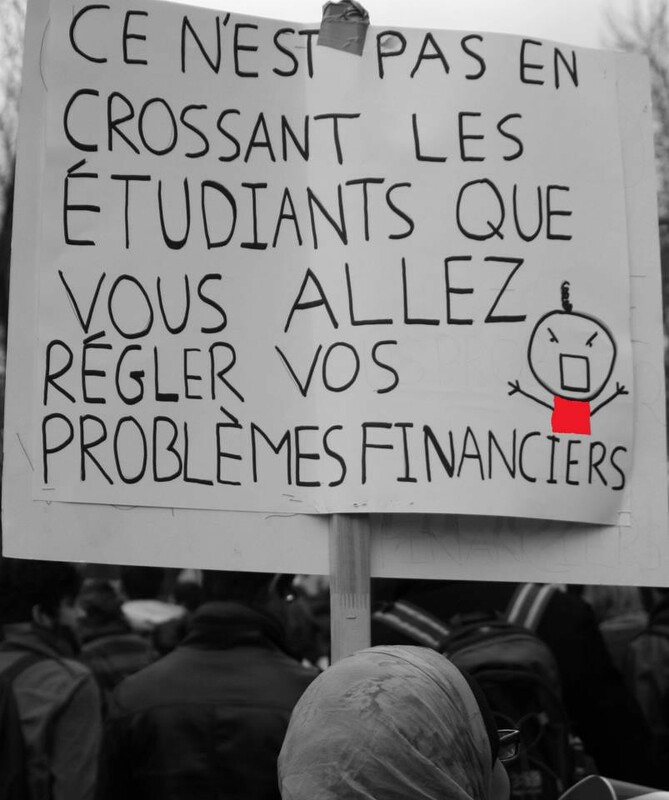 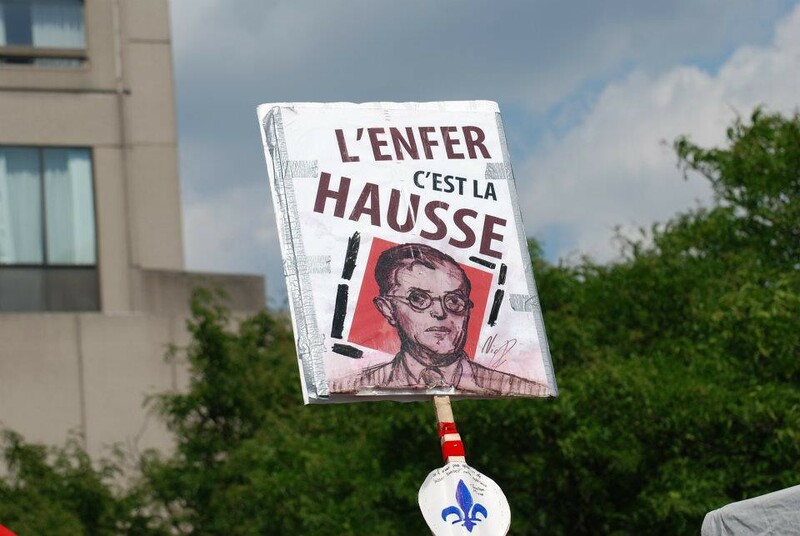 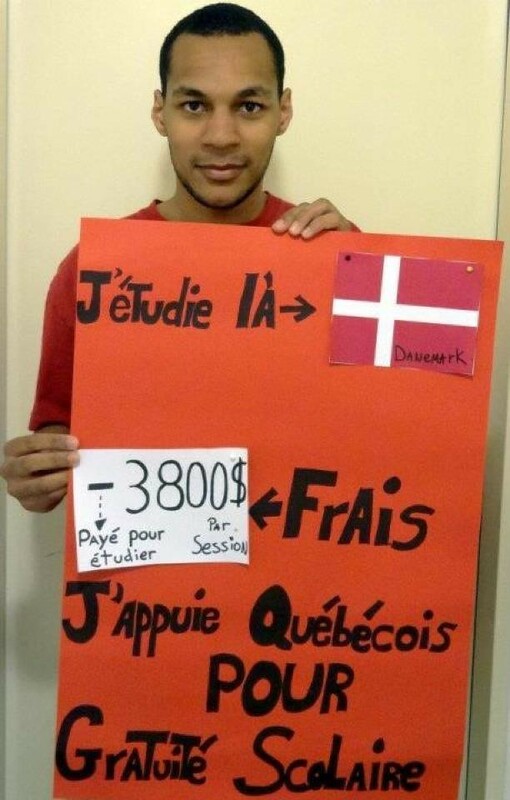 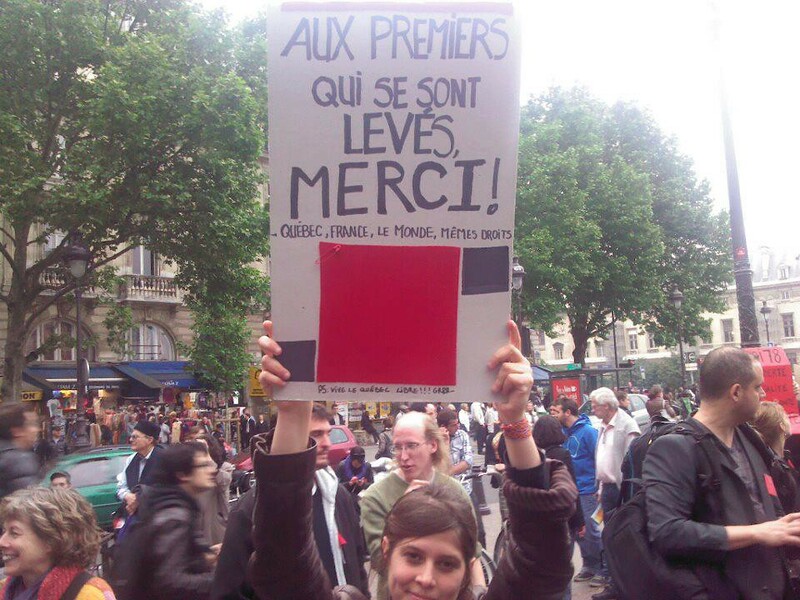 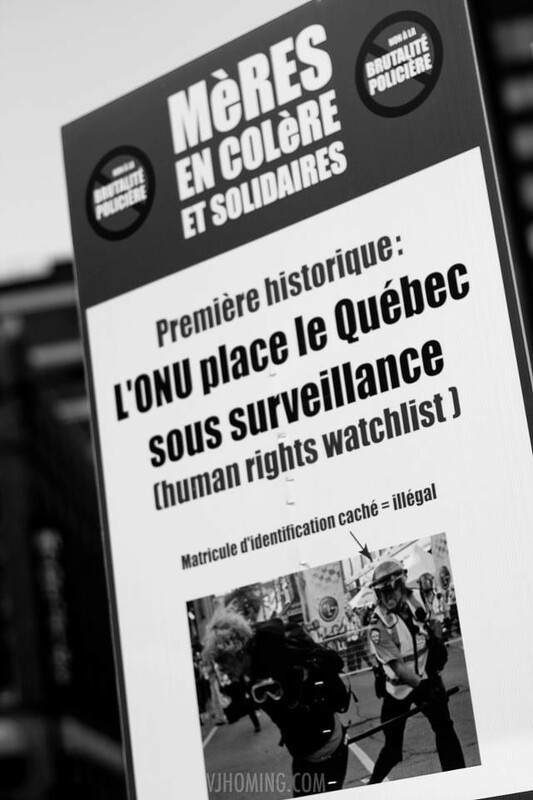 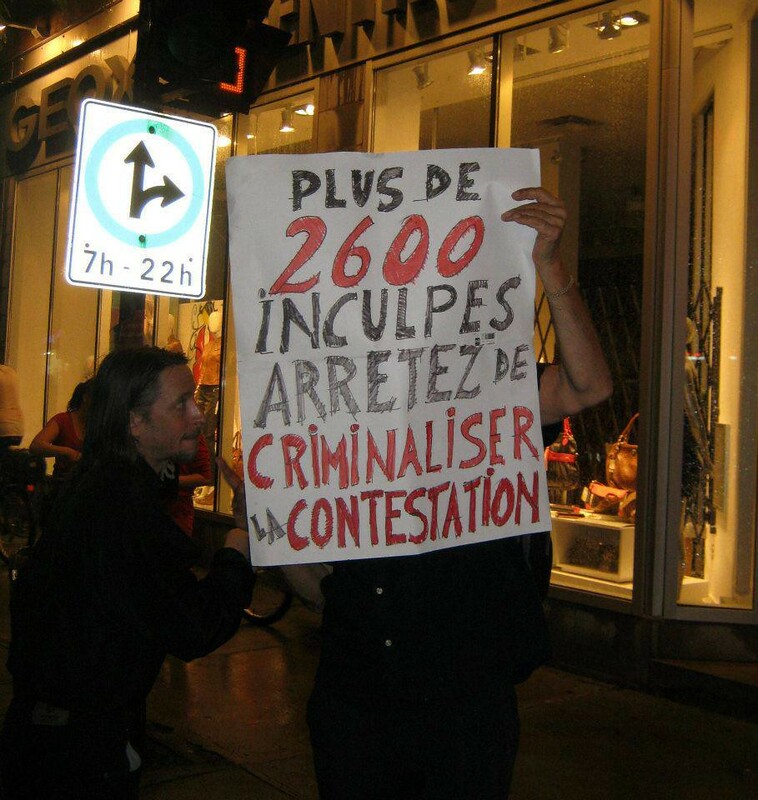 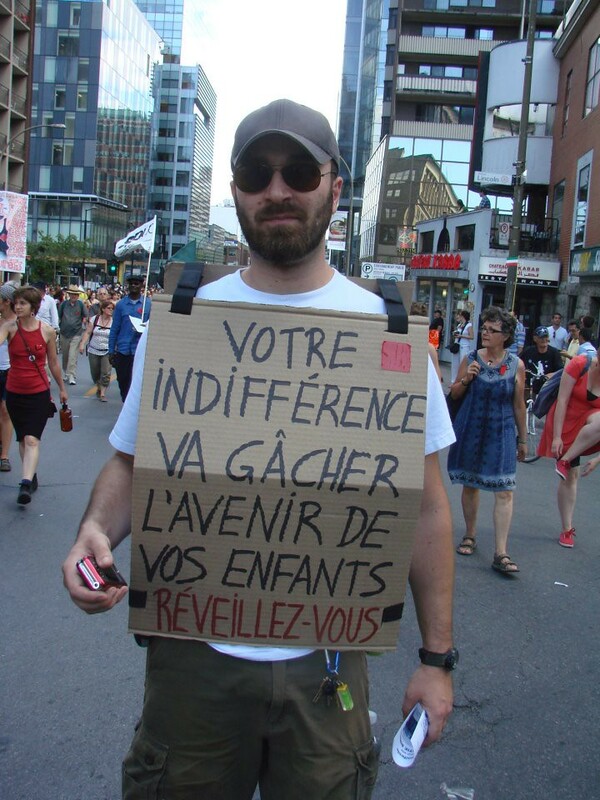 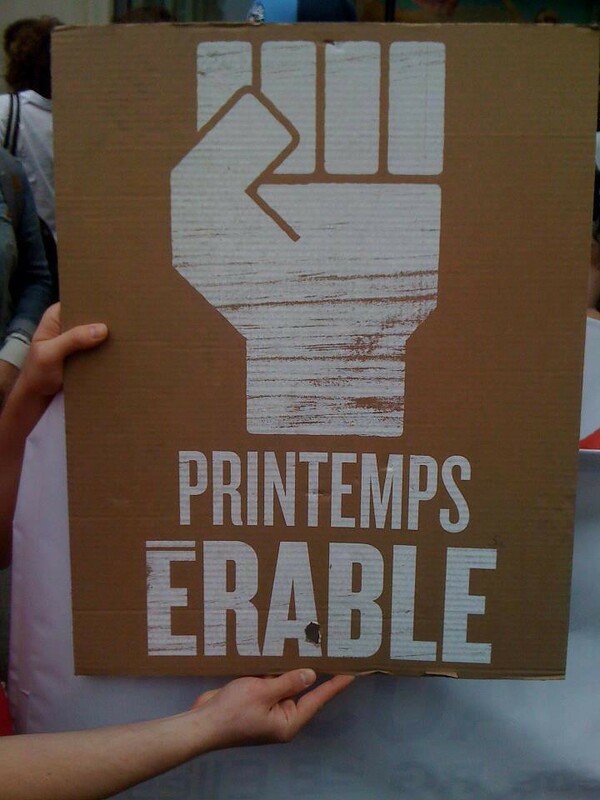 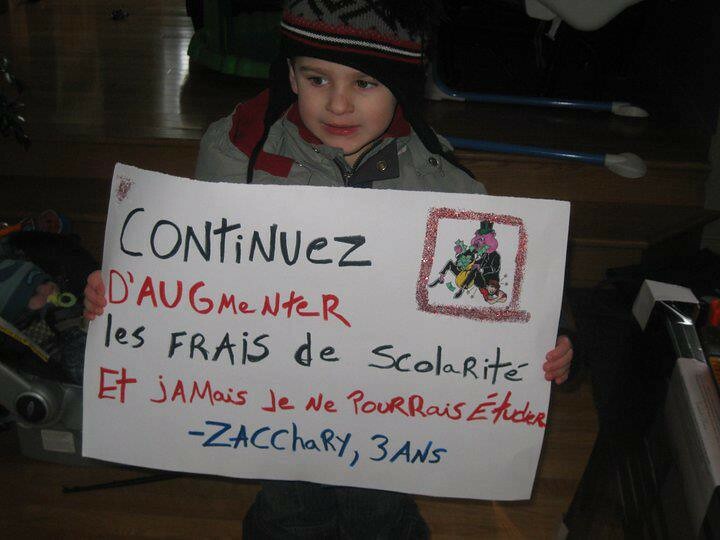 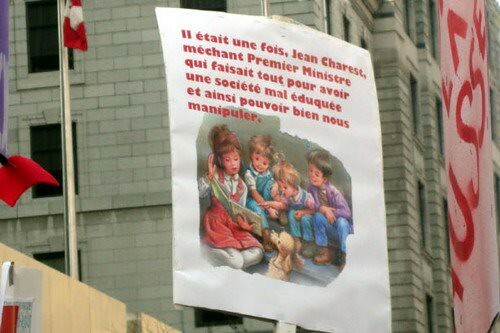 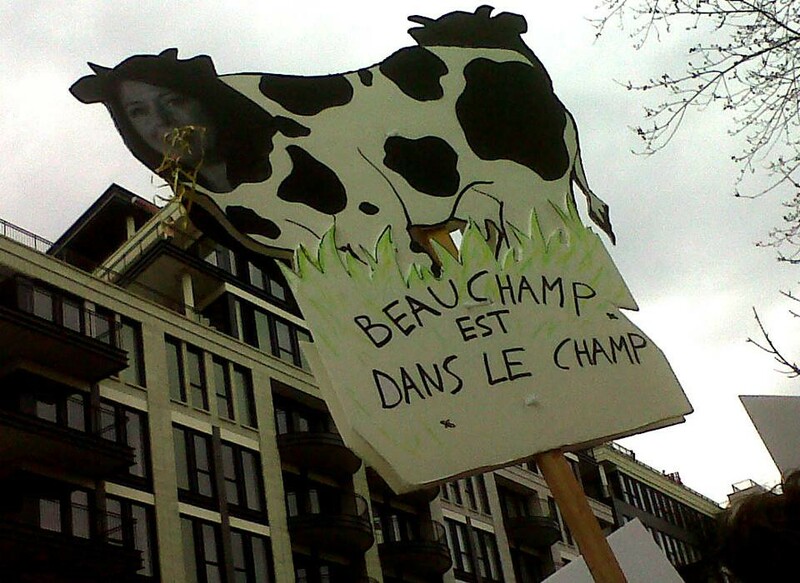 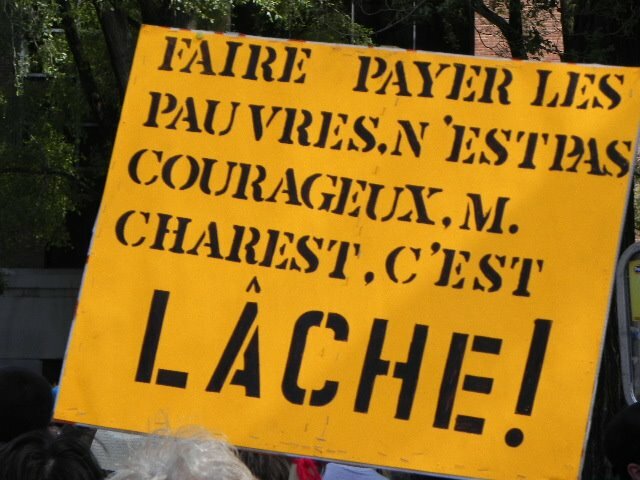 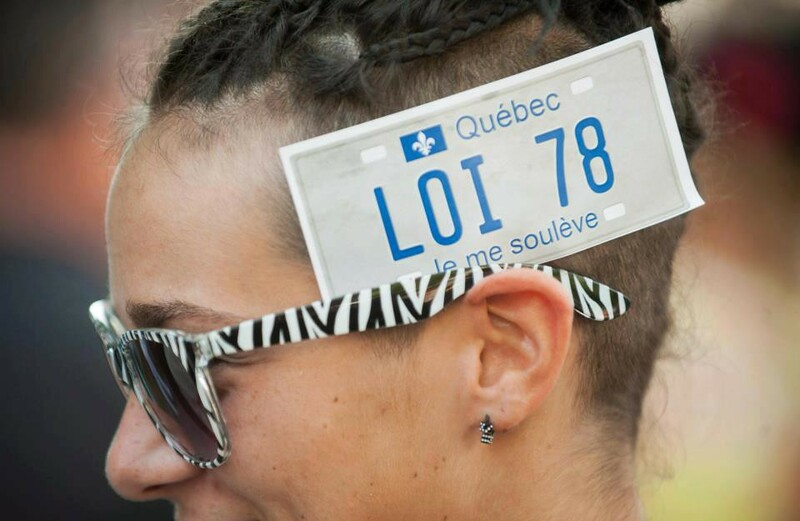 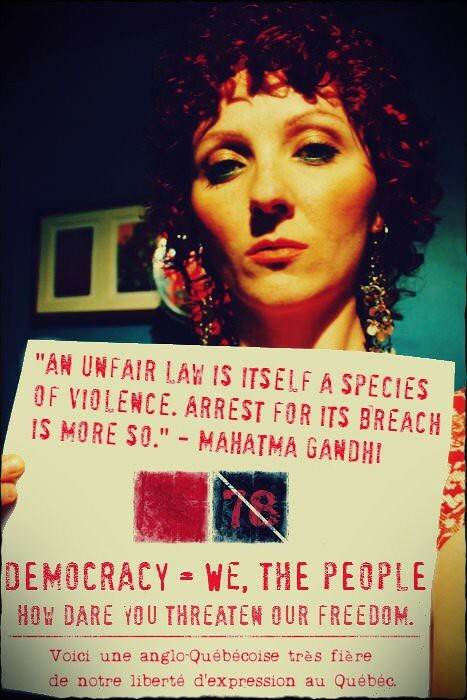 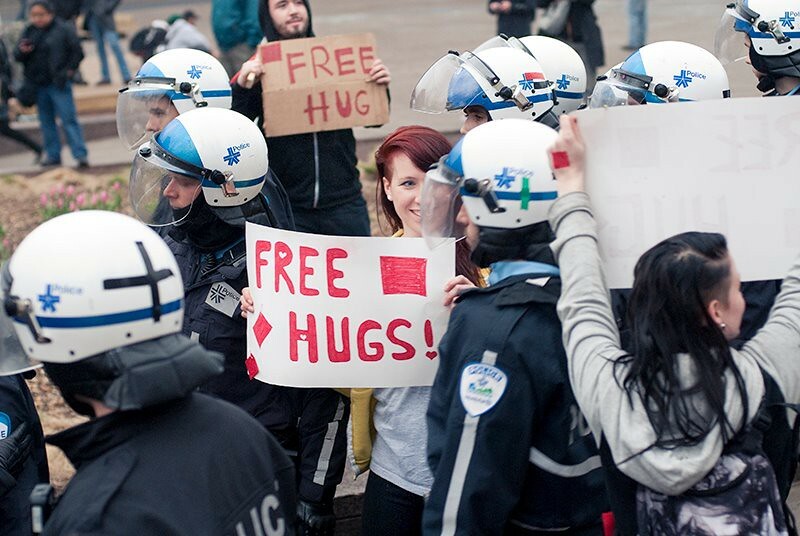 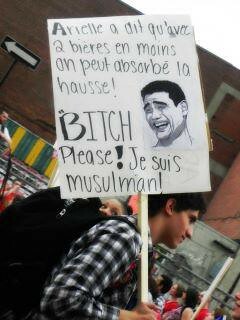 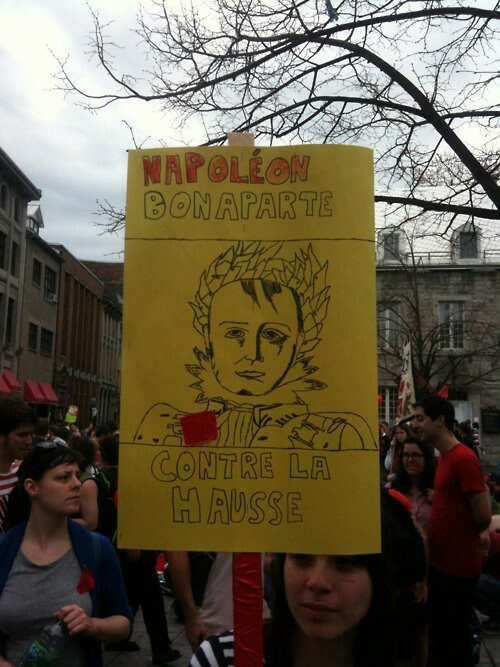 Une pancarte lors de la manifestation contre P6 devant l’Hôtel de Ville de Montréal le 22 avril 2013. 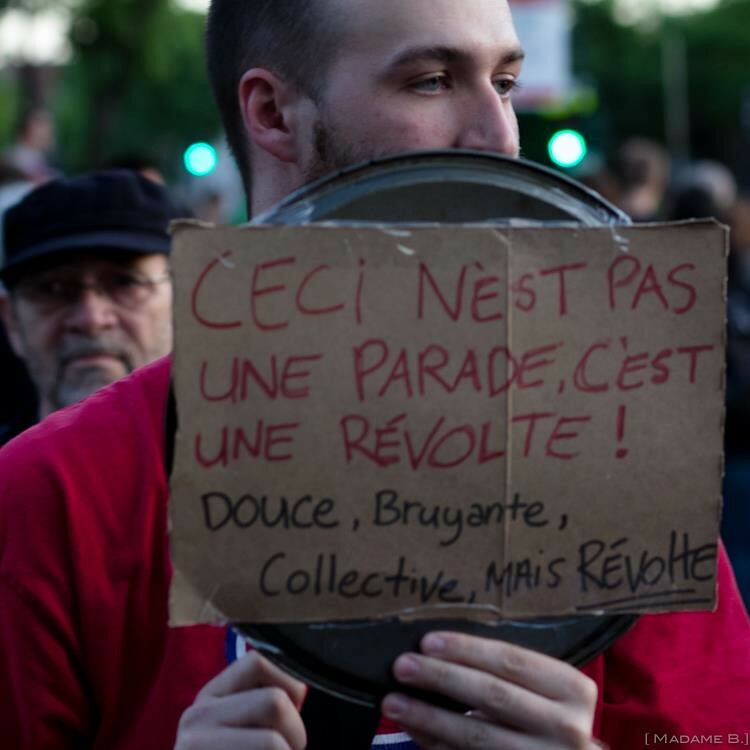 PhotographE inconnuE. 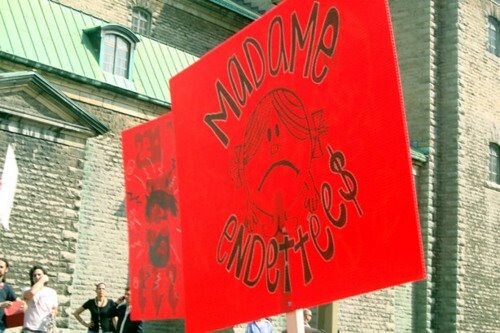 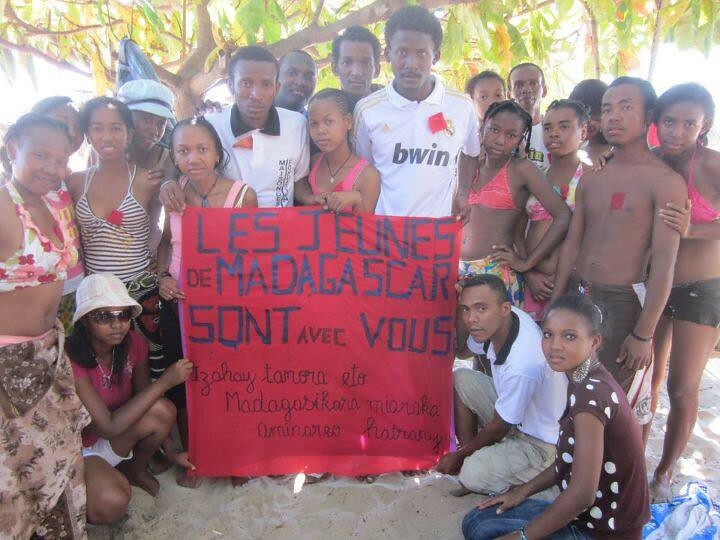 Early in the strike and within the major national demonstrations — on the 22nd of every month1 — the protest sign was ubiquitous, although their presence diminished as the strike progressed. 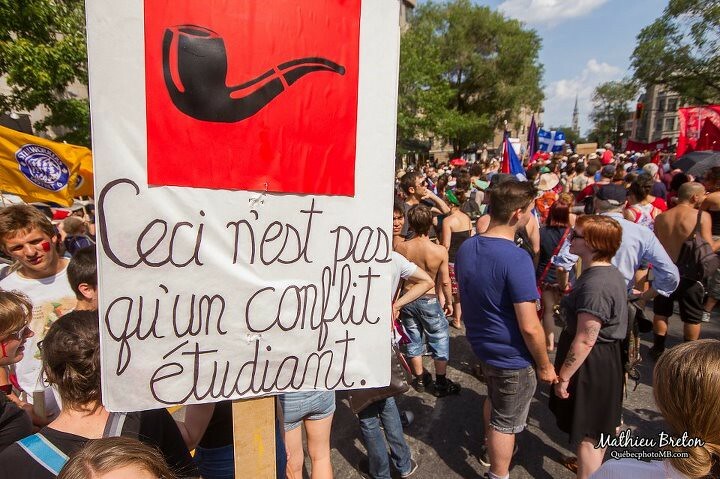 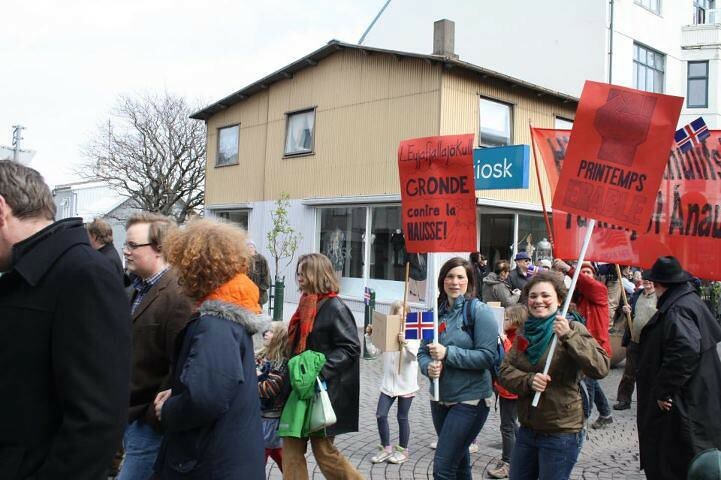 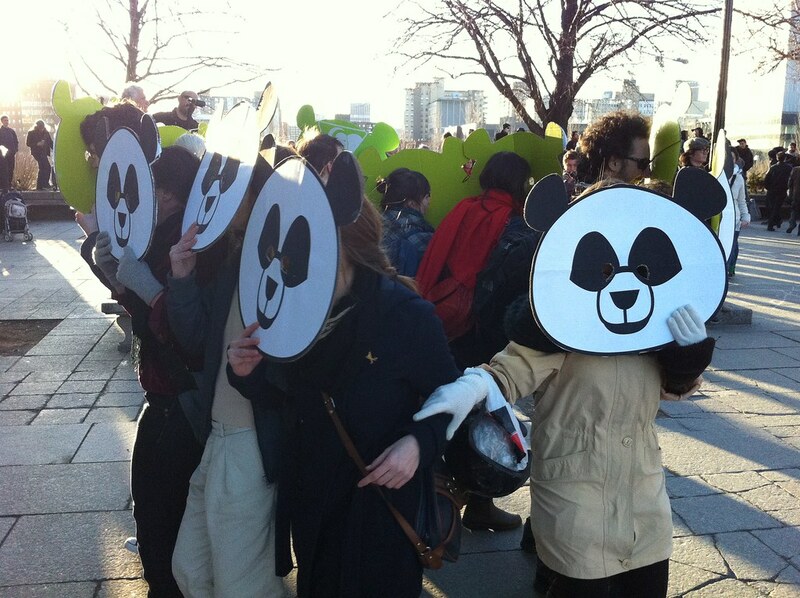 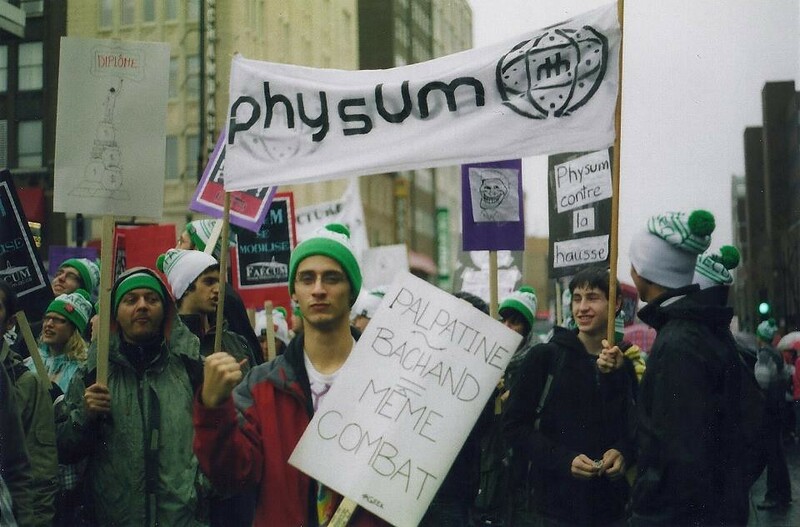 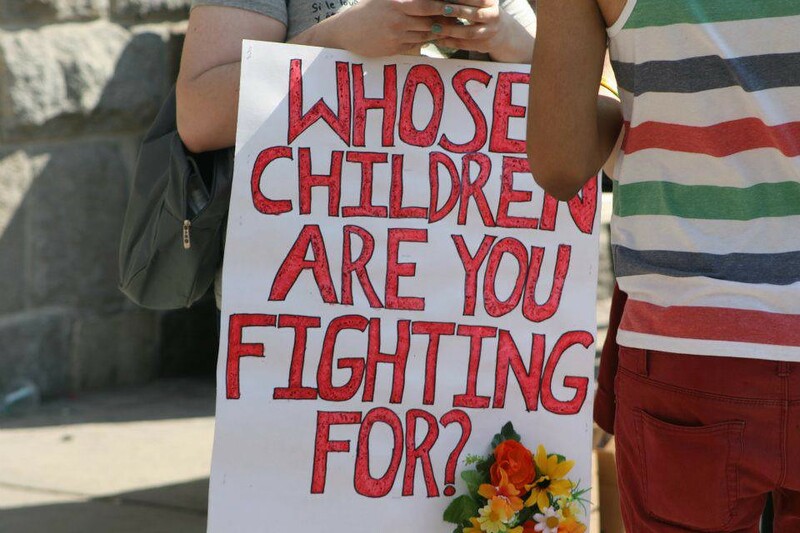 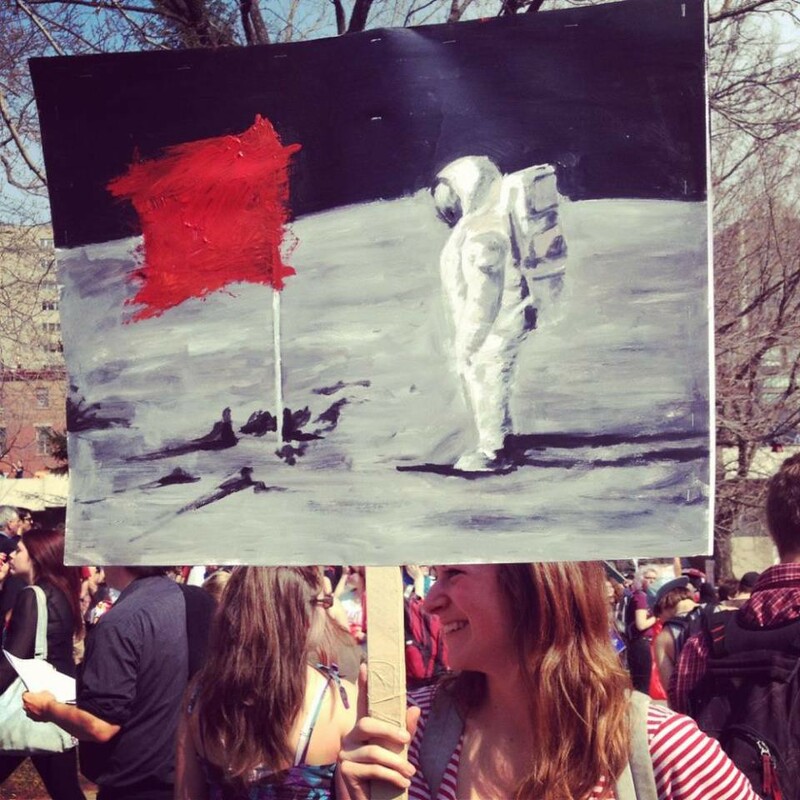 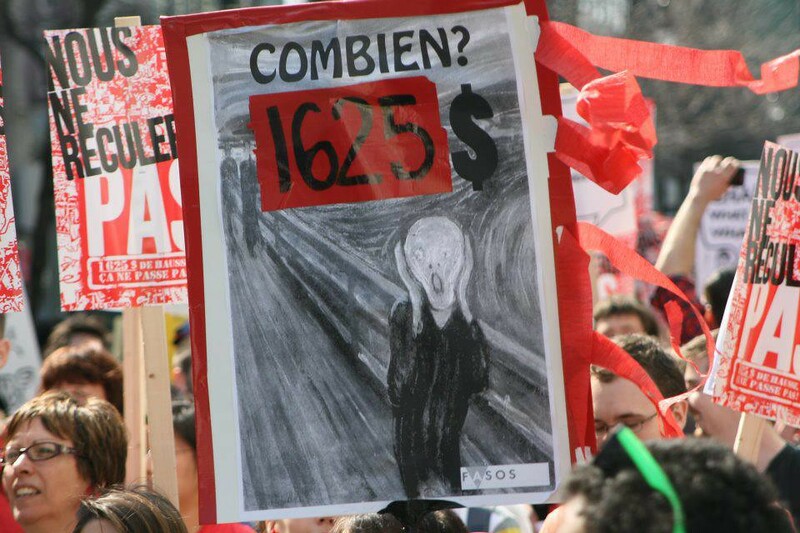 Many protest signs were mass produced by student unions and federated coalitions that repeated a series of slogans and imagery throughout a march. 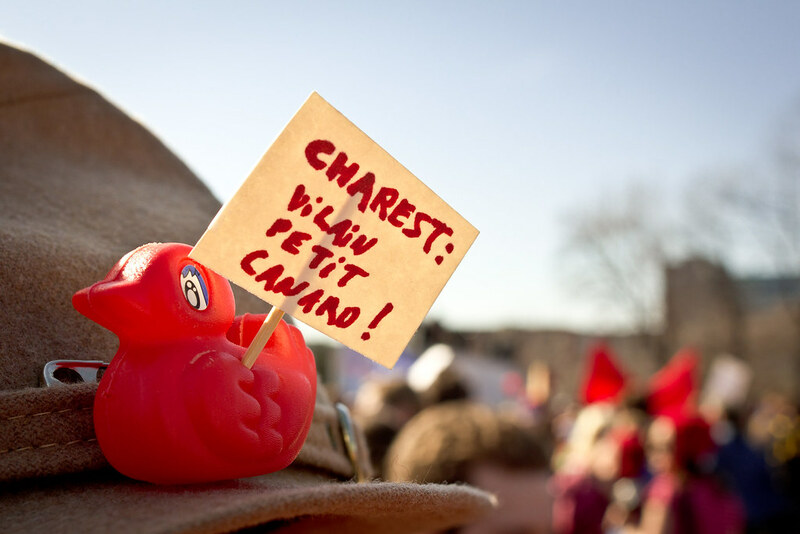 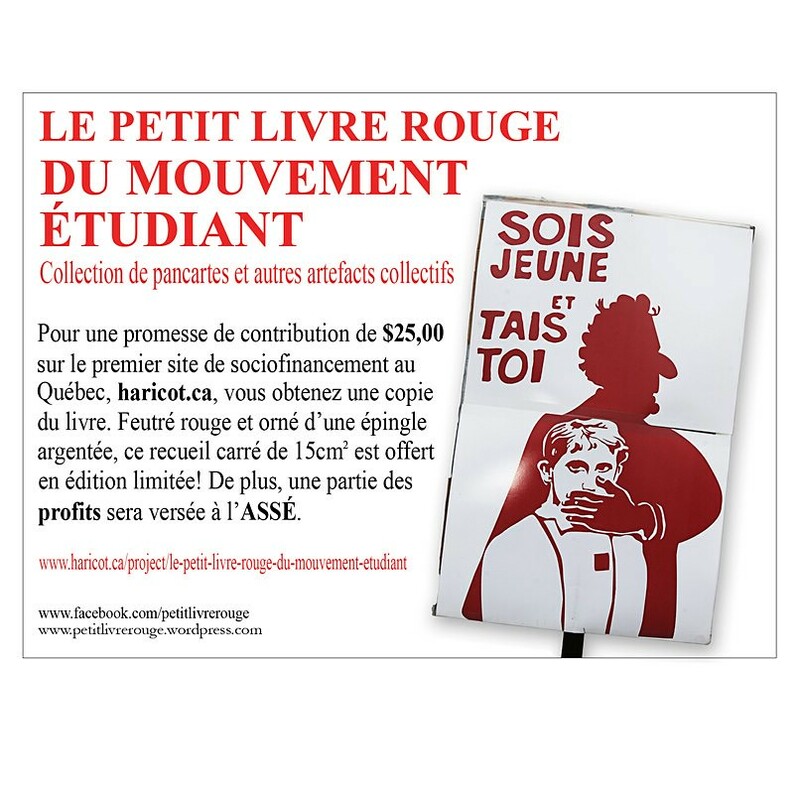 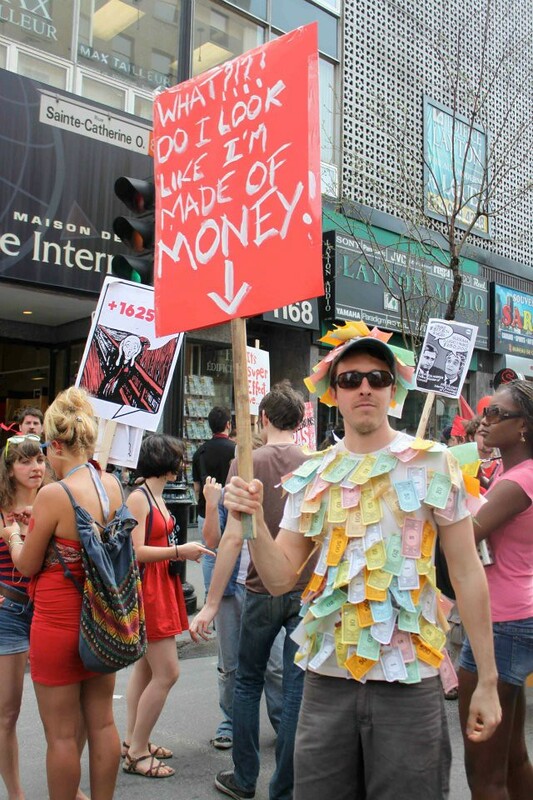 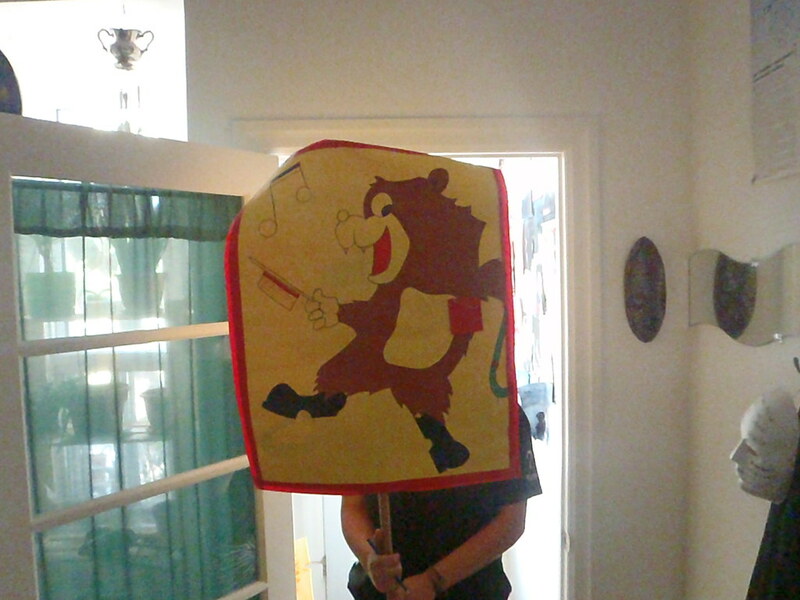 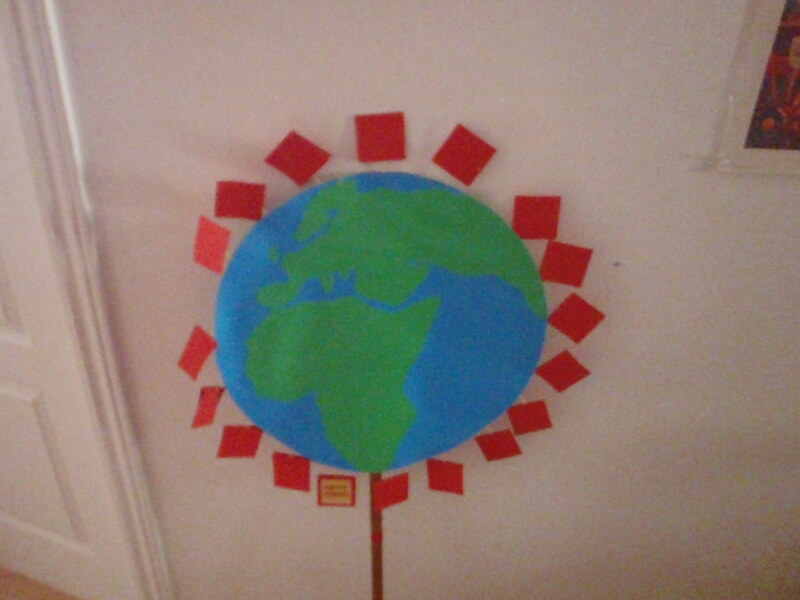 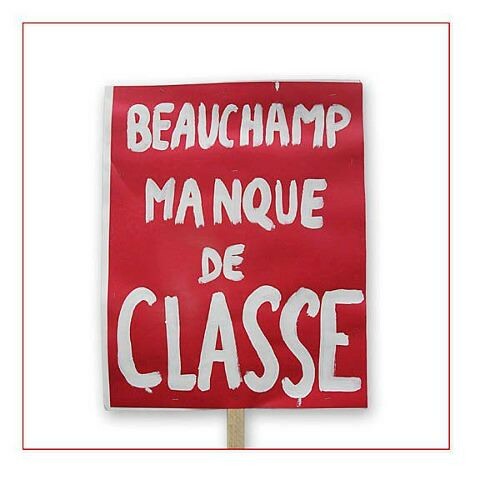 A significant amount, however, were handmade by individuals or ad hoc collectives and brandished during demonstrations, occupations or on strike picket lines, adding diversity and originality to the discourse. 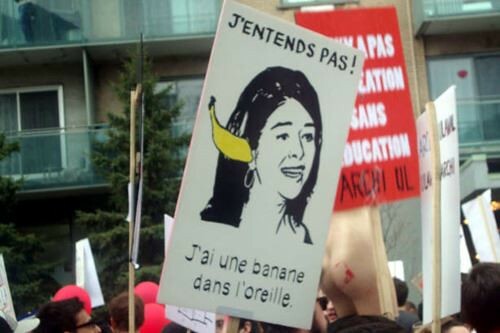 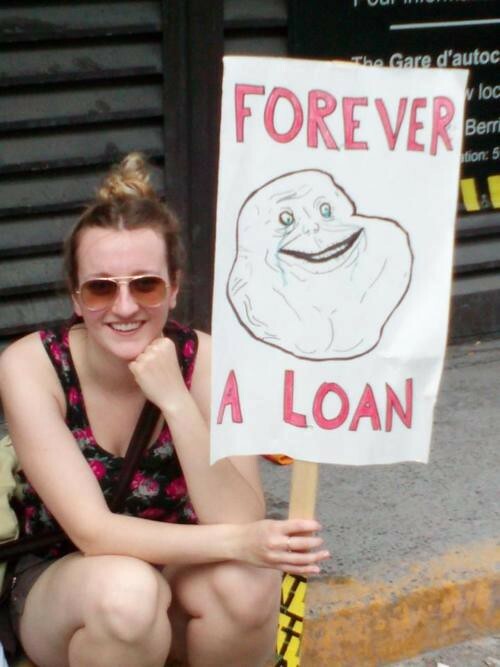 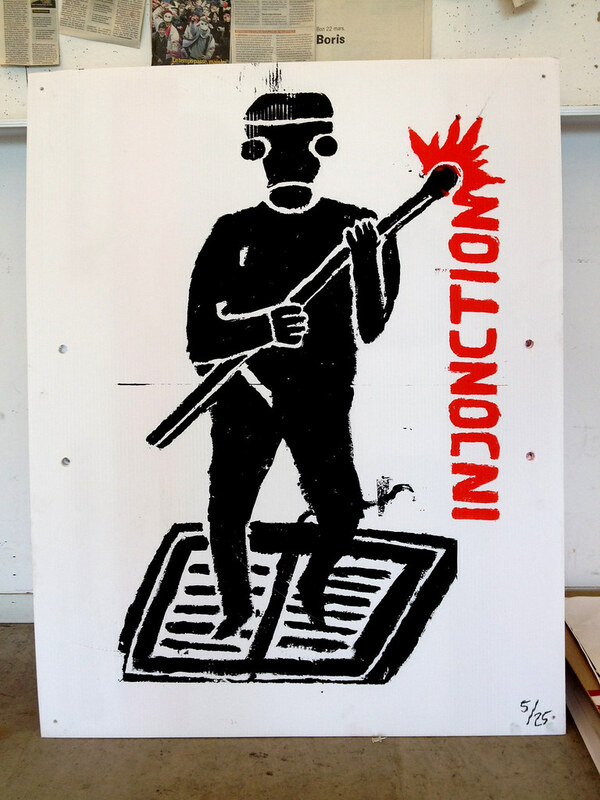 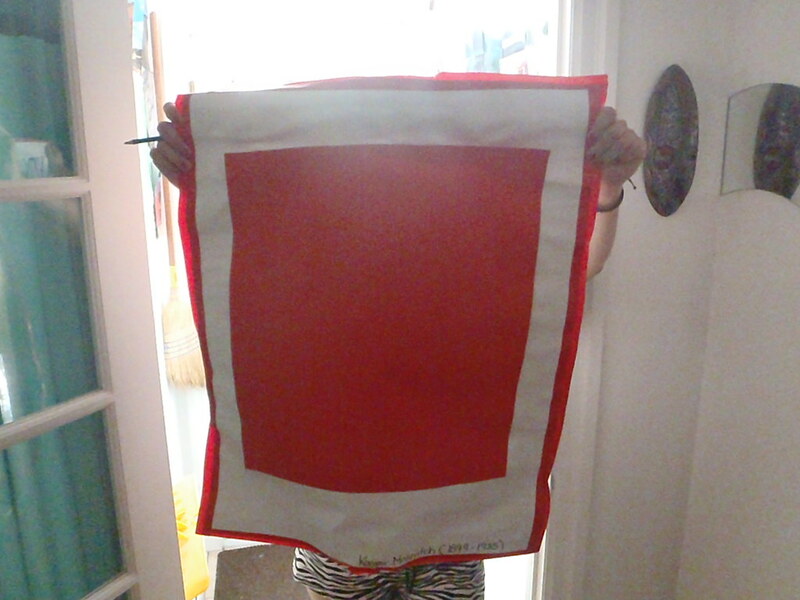 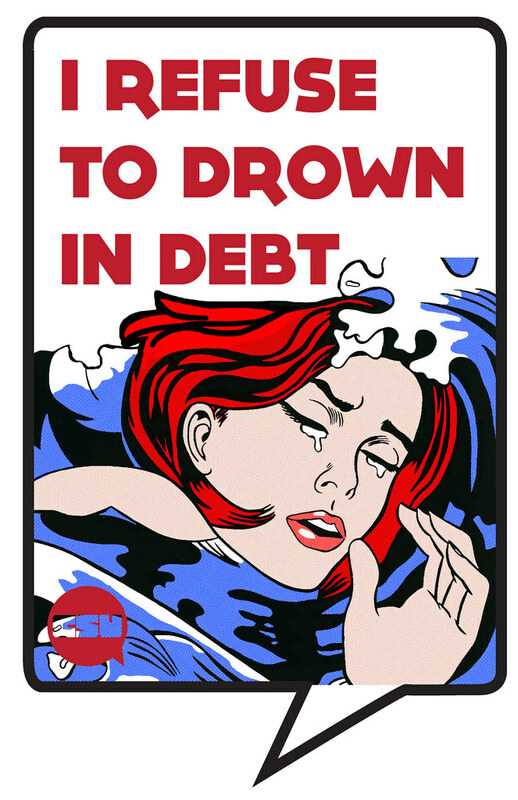 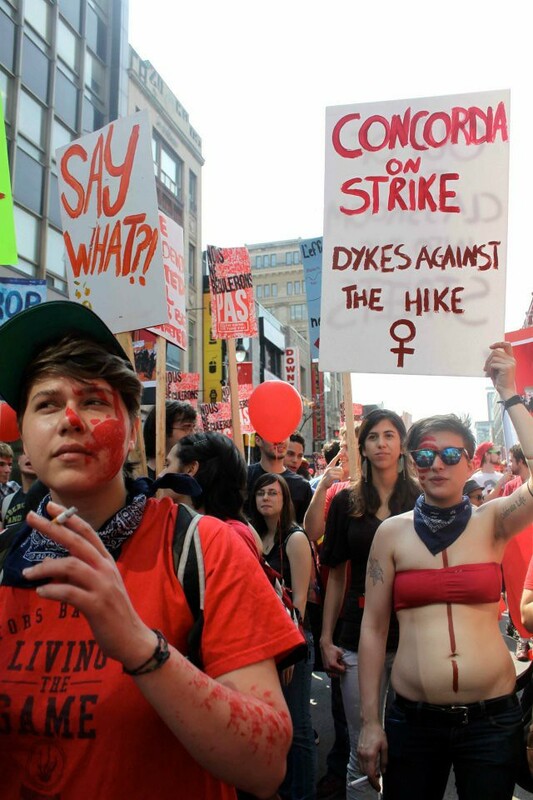 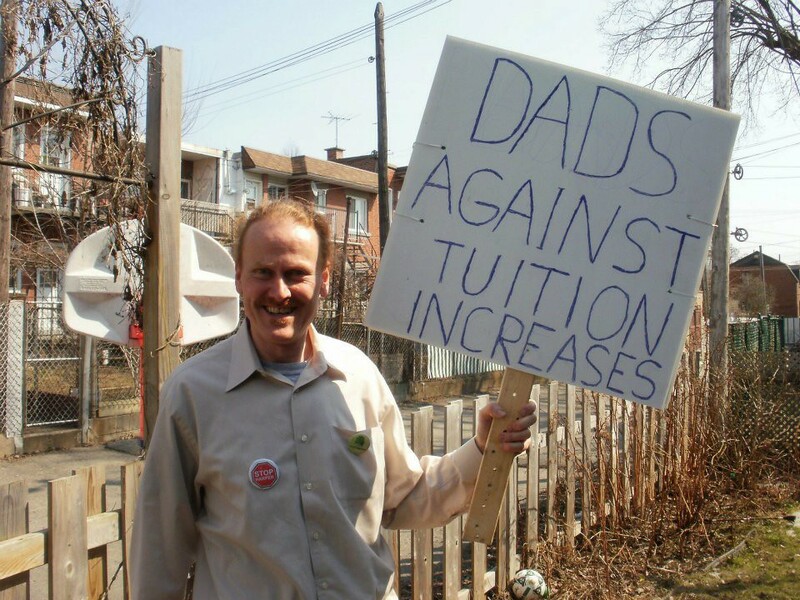 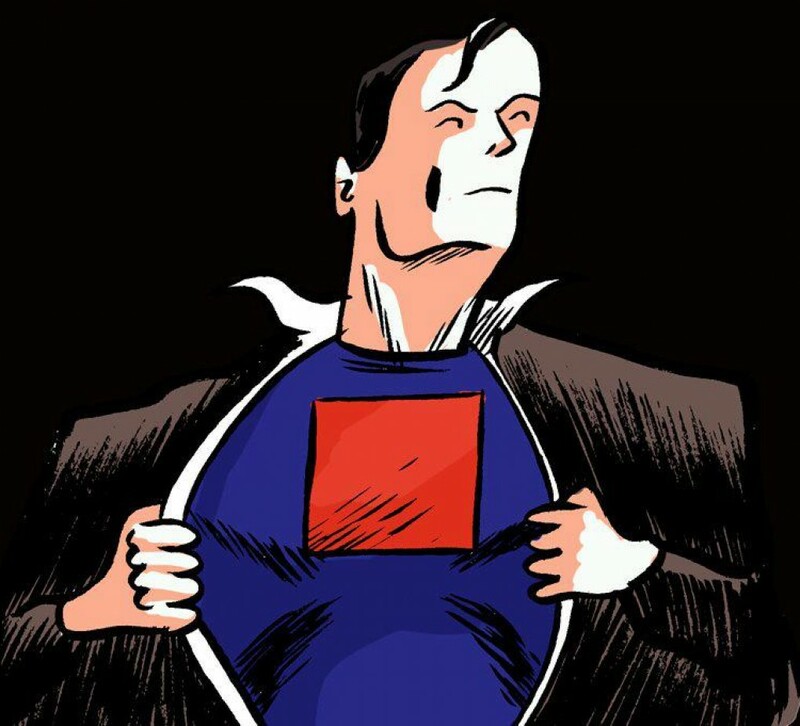 The protest sign is the most accessible iconographic support for strikers to signify their adherence to a protest movement as well as to denounce their adversaries and convey individual claims. 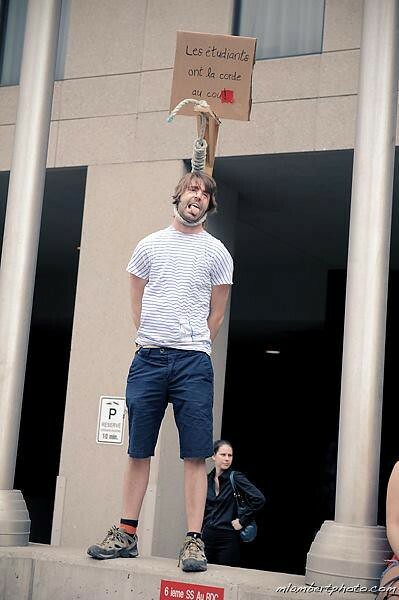 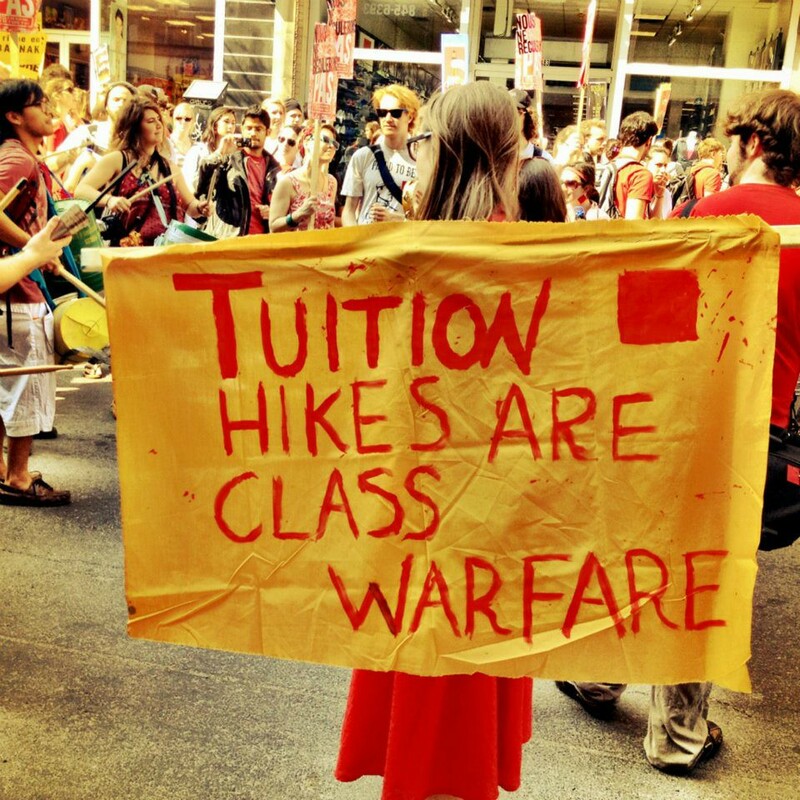 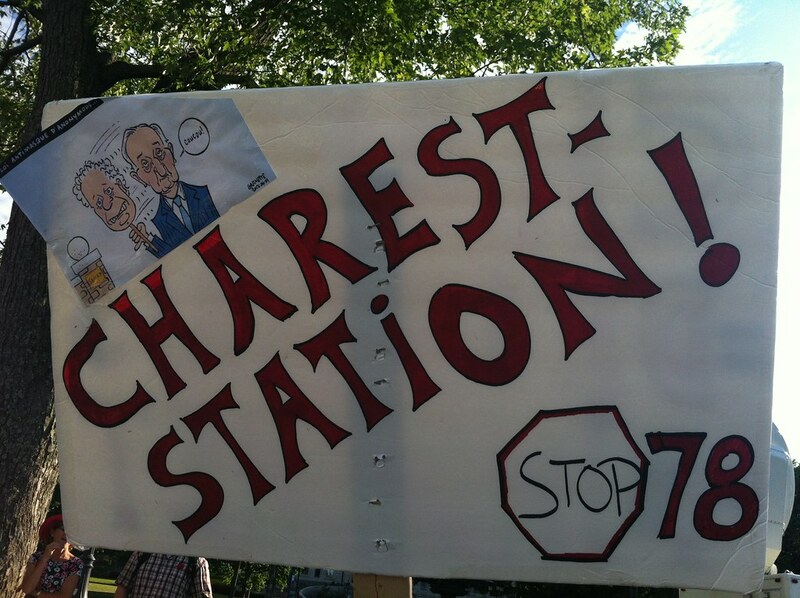 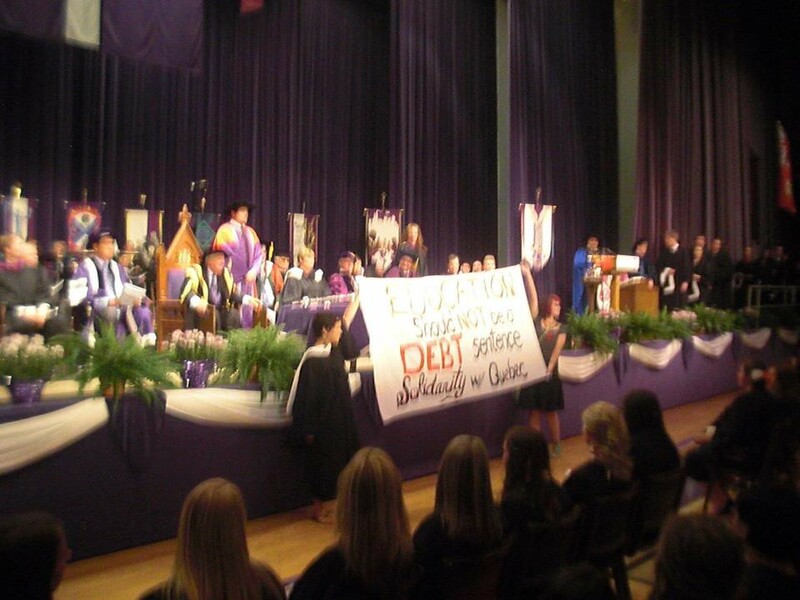 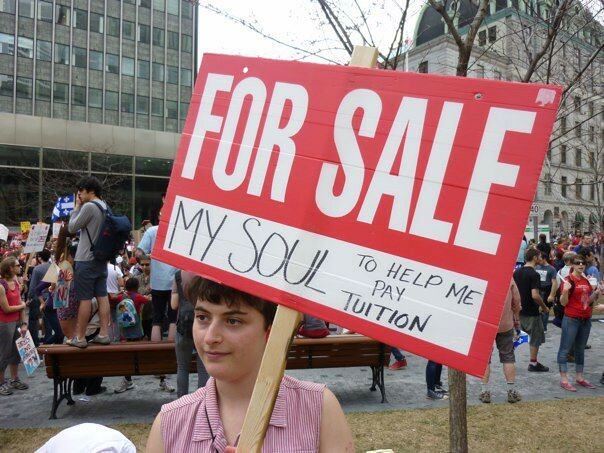 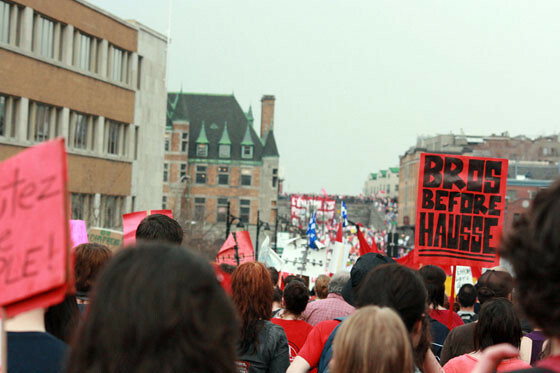 Although the typical design of a protest sign consists of a bristol board message stapled to its wooden post, one particularly original sign from the March 22, 2012 demonstration mimicked a gallows with a noose around the protester’s neck and a sign that read, “Students are being chocked” by the tuition increase. 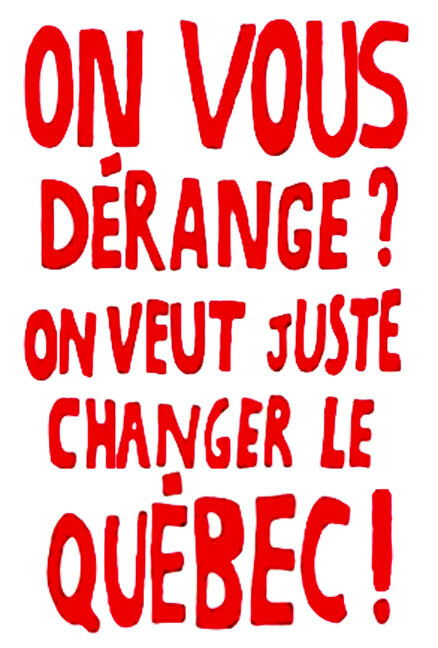 One of the earliest references to the use of protest signs during a demonstration in Québec is a woodcut print by Tiret Bognet, published in 1890 in Le monde illustré (Robert-Lionel Séguin 1972). 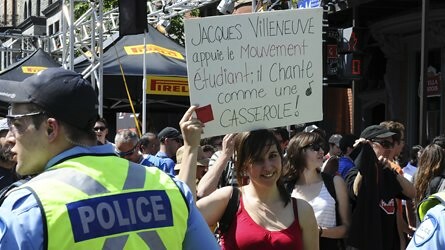 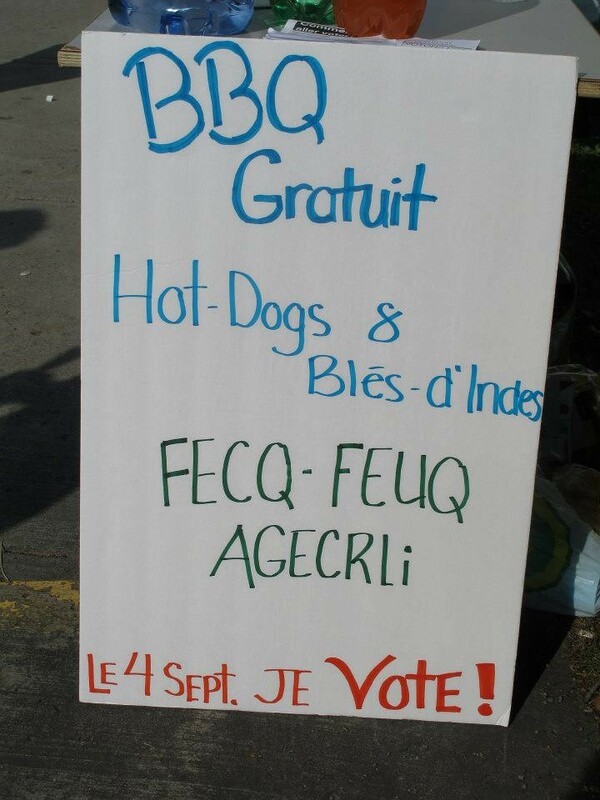 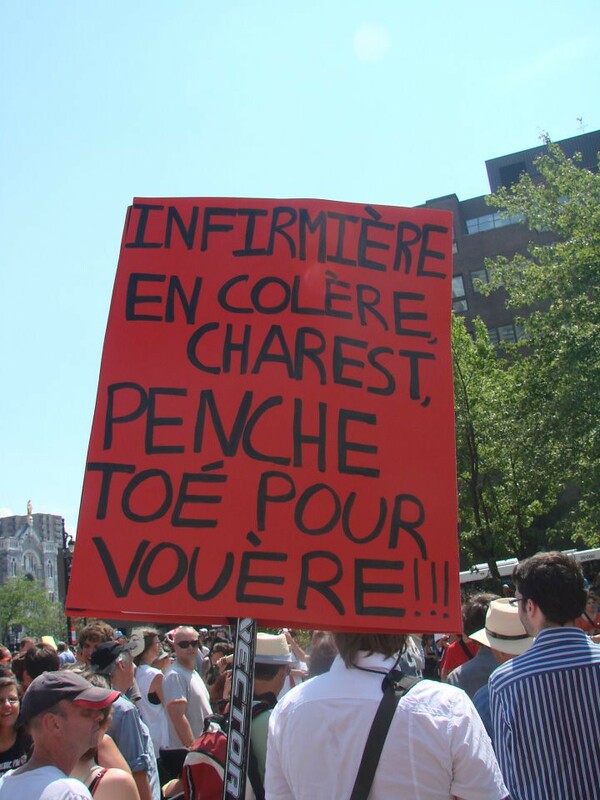 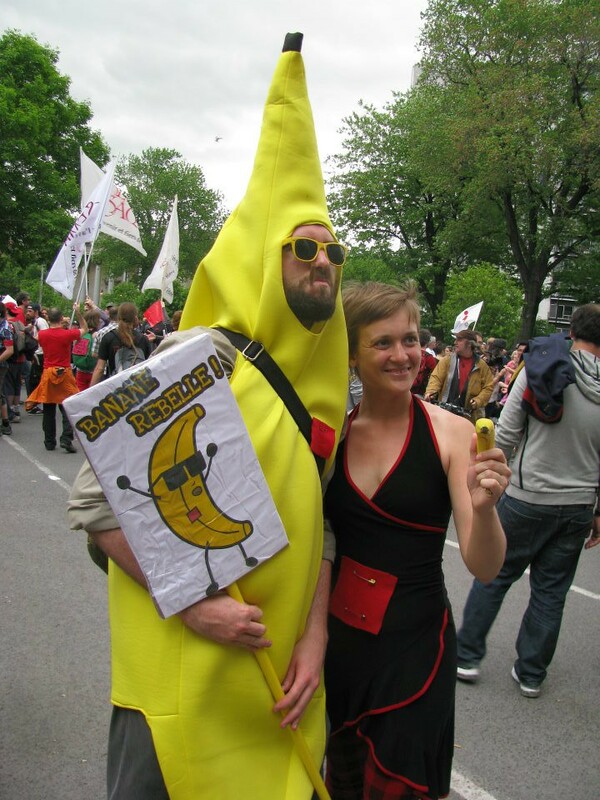 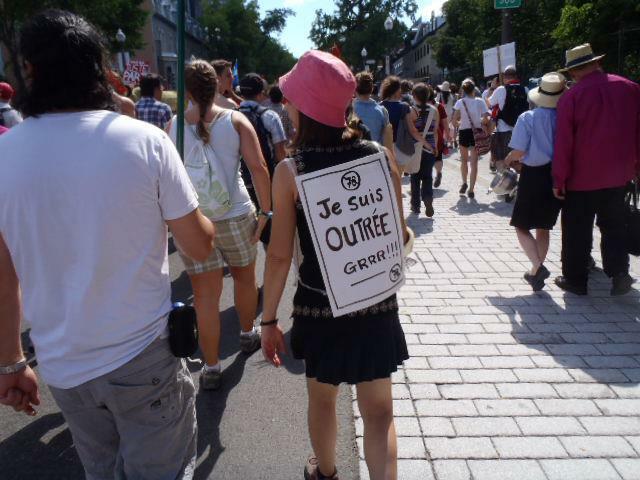 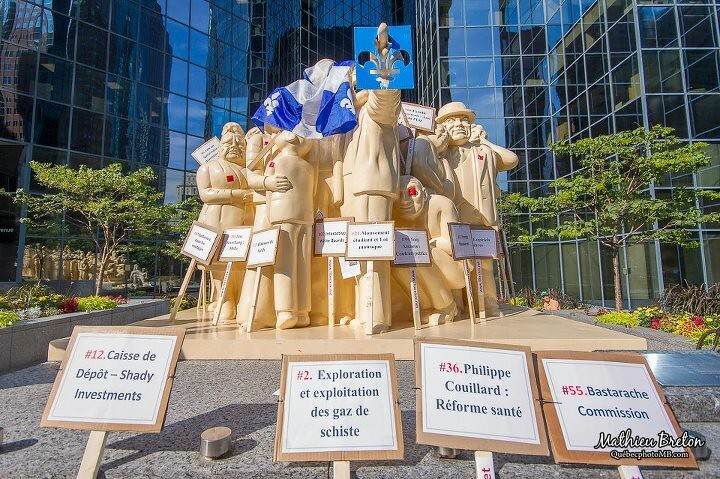 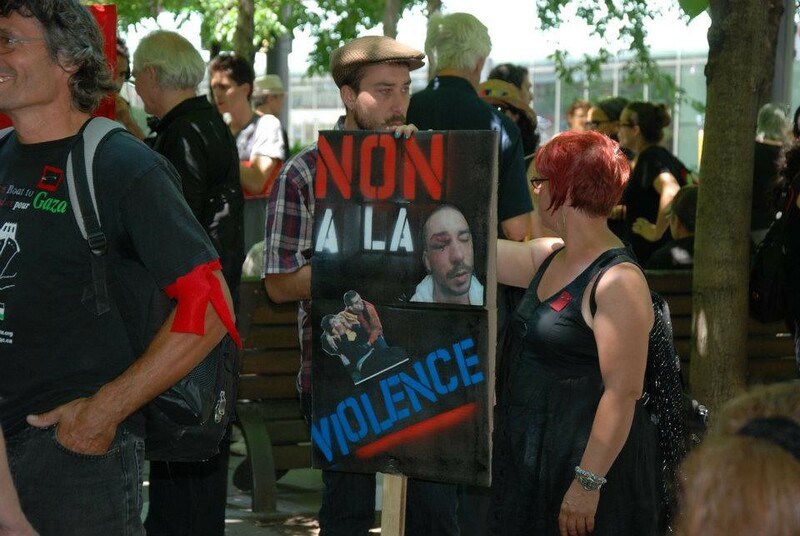 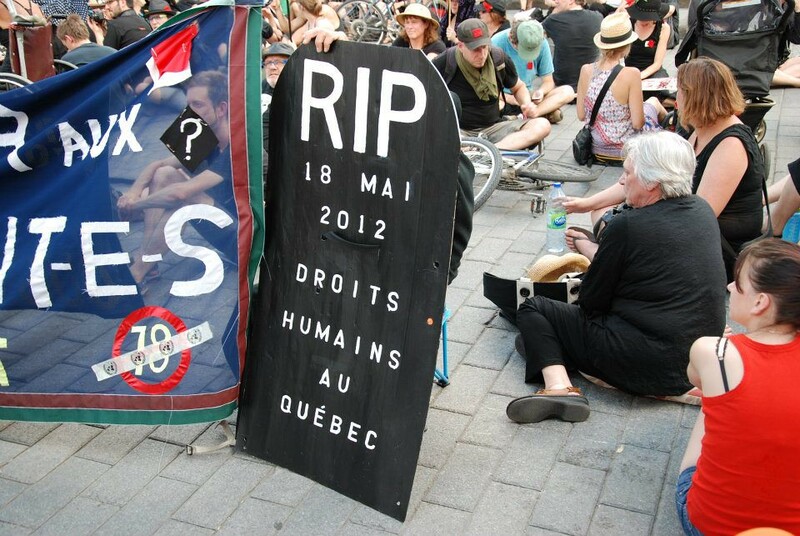 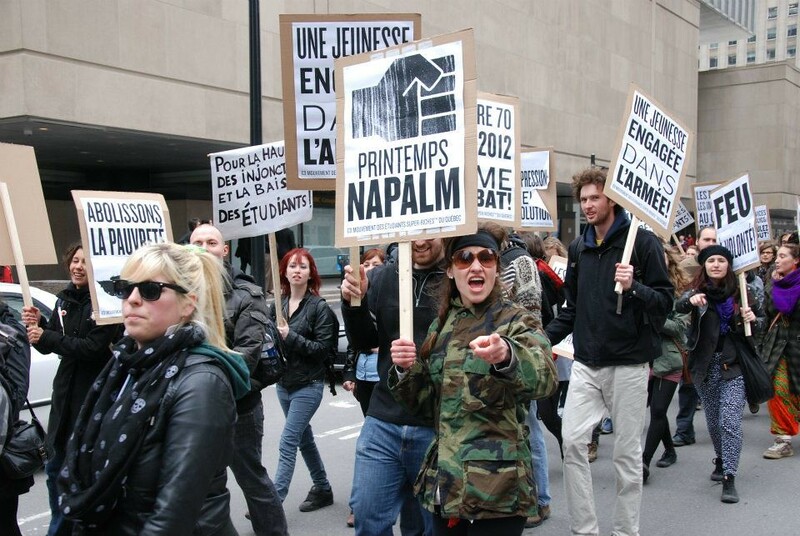 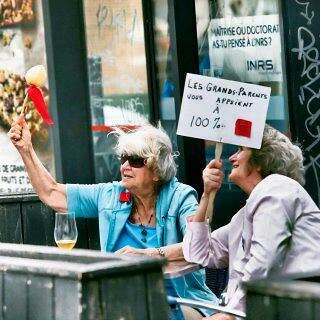 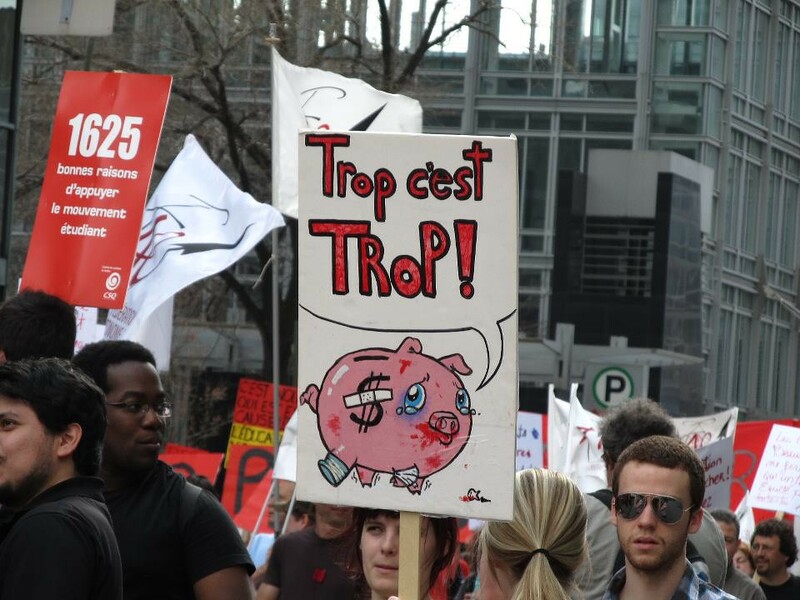 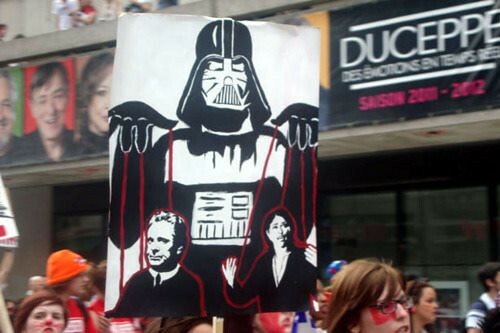 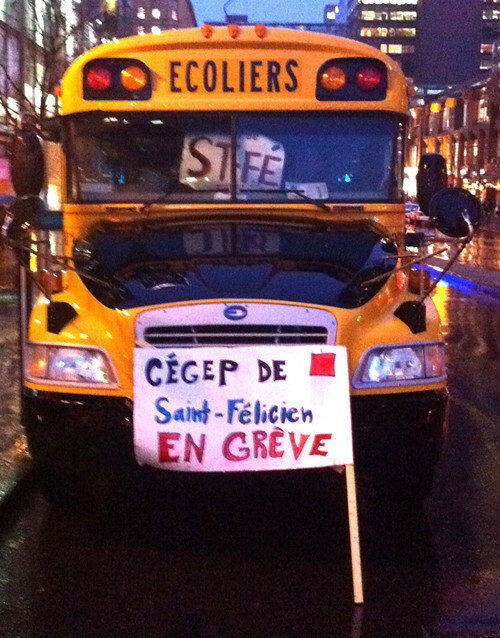 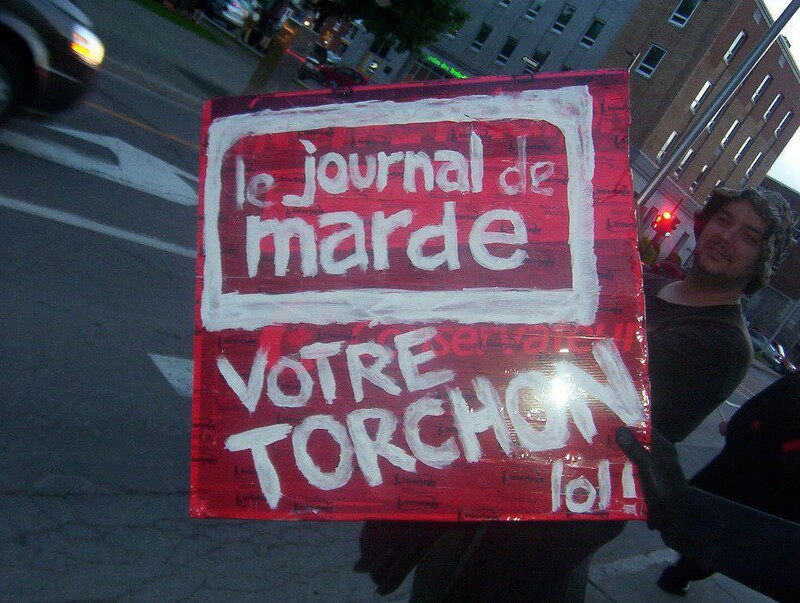 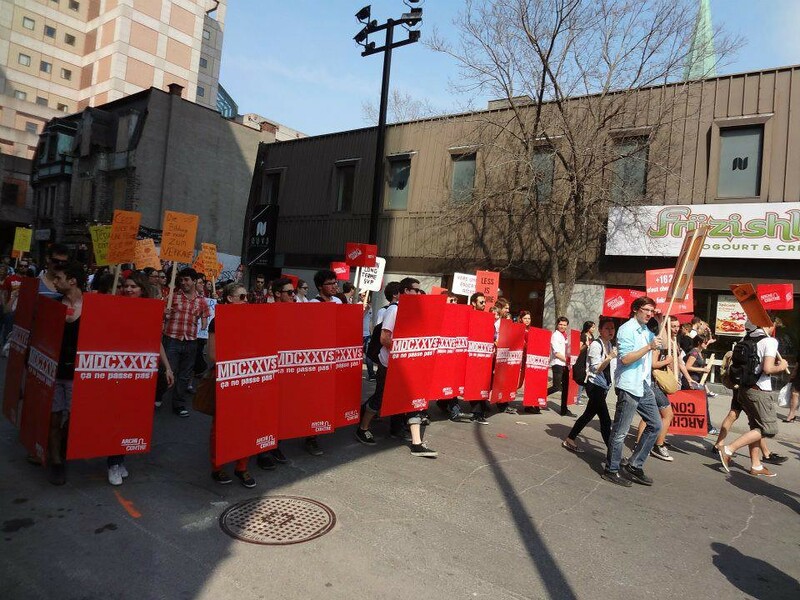 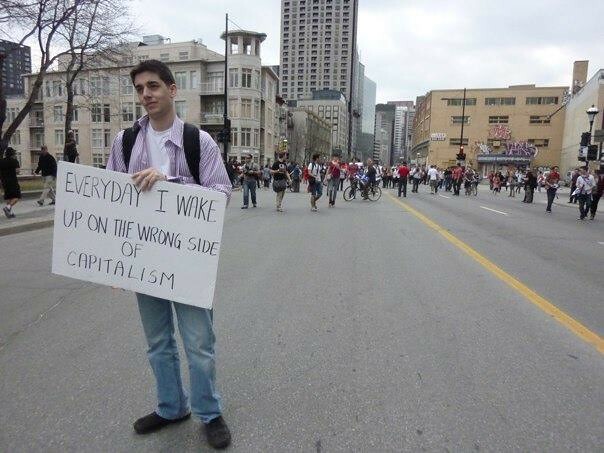 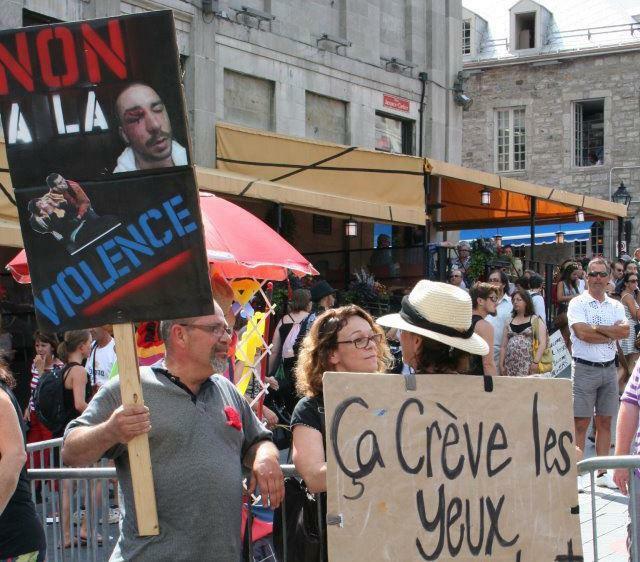 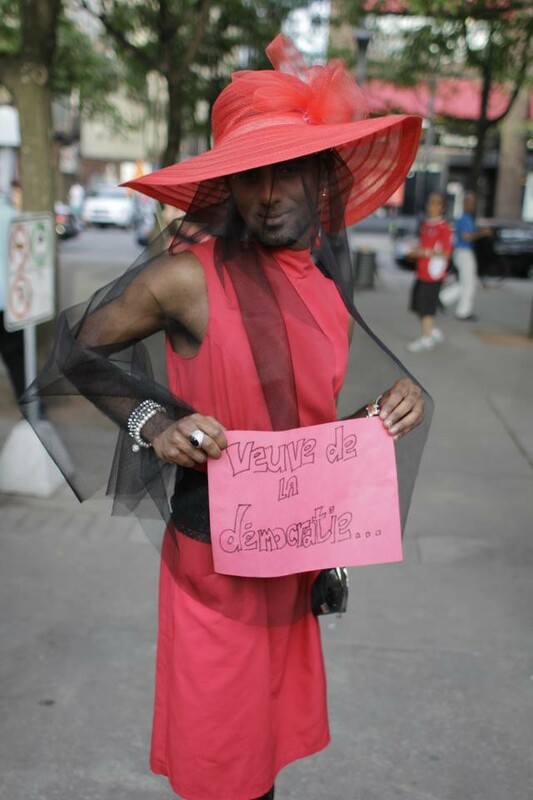 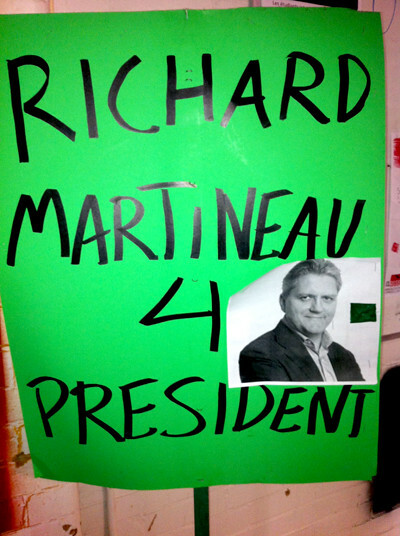 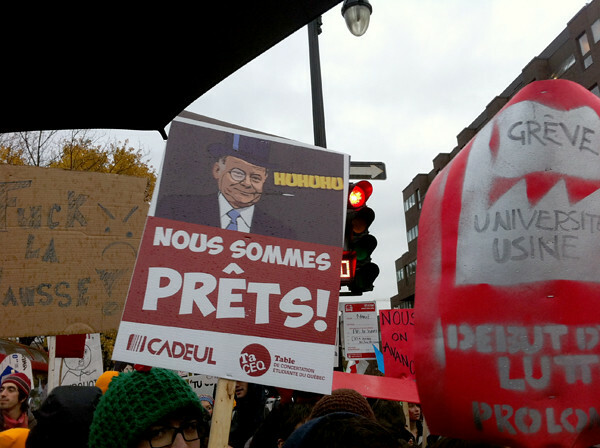 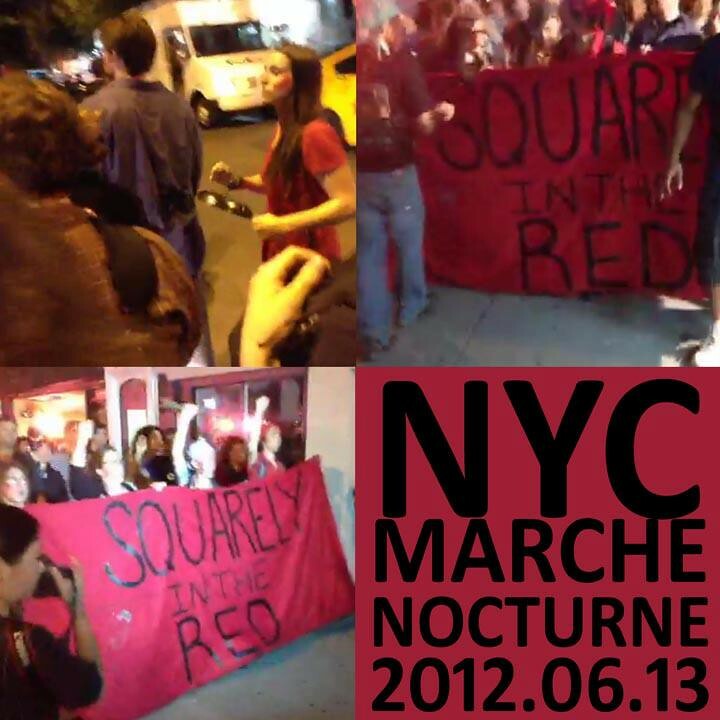 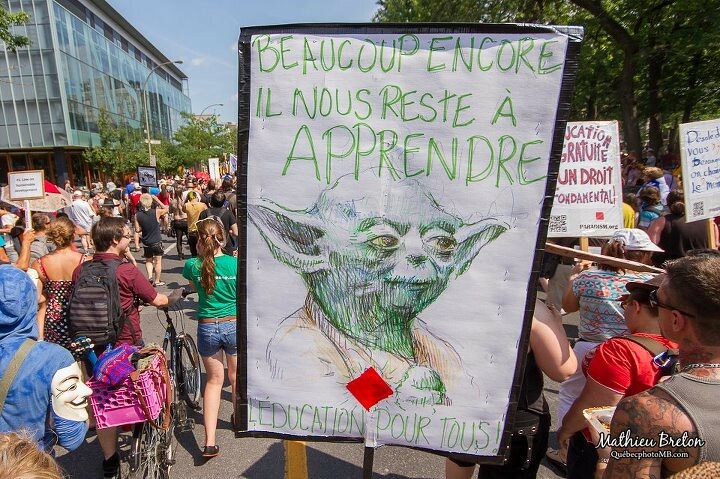 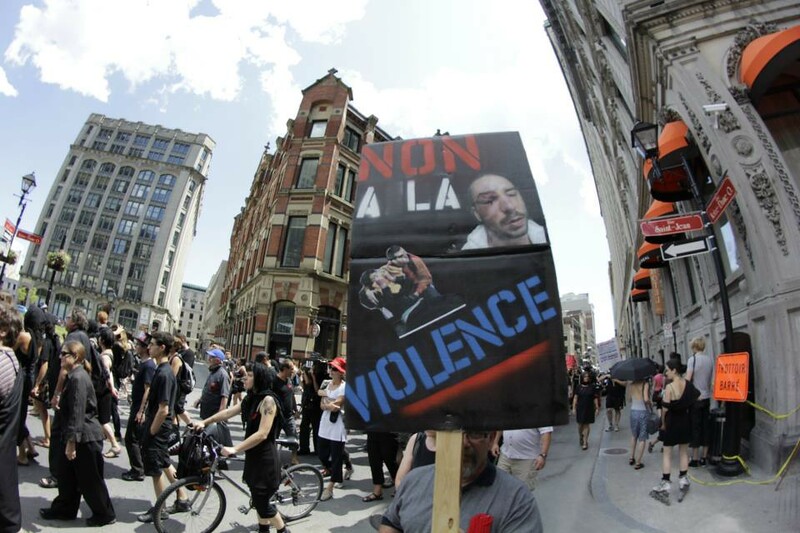 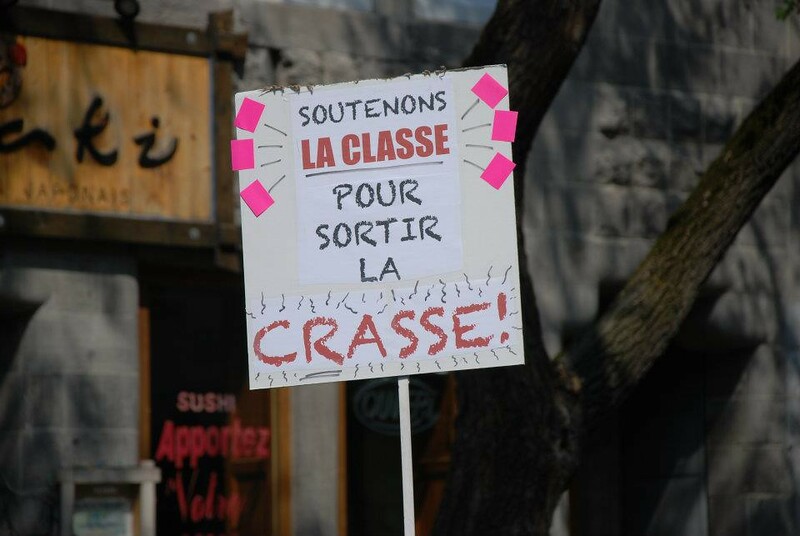 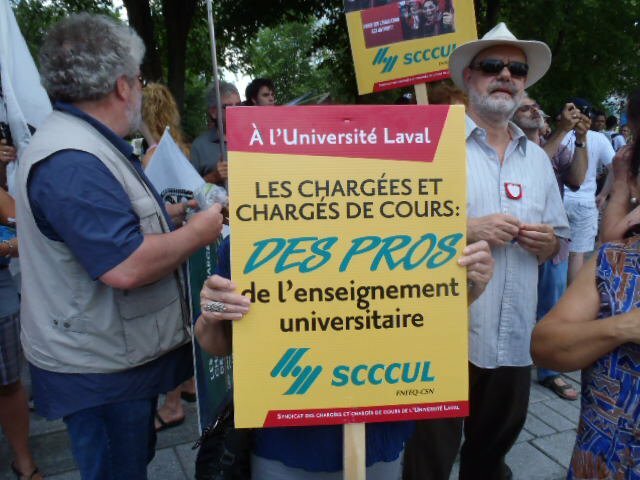 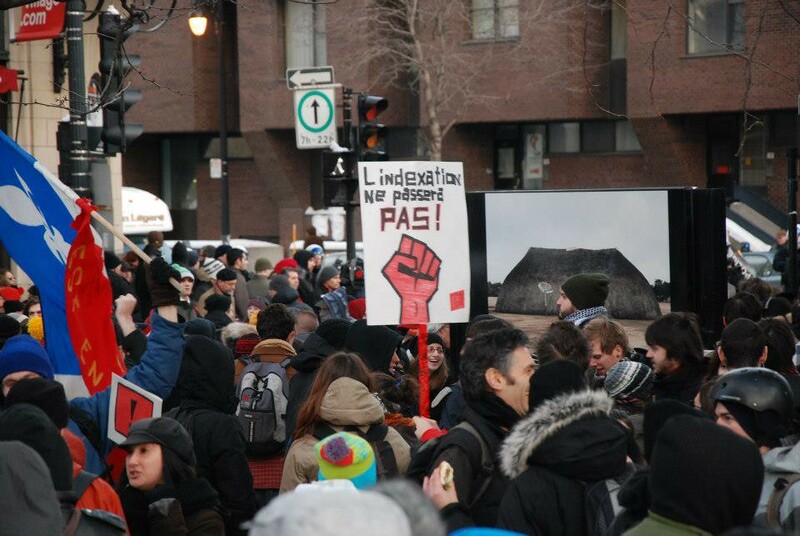 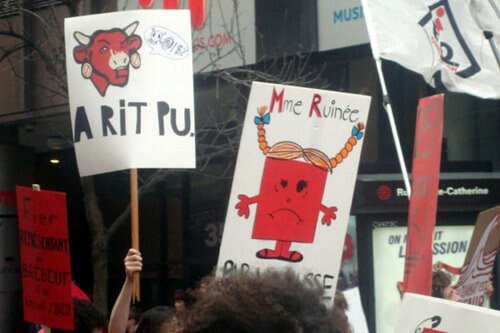 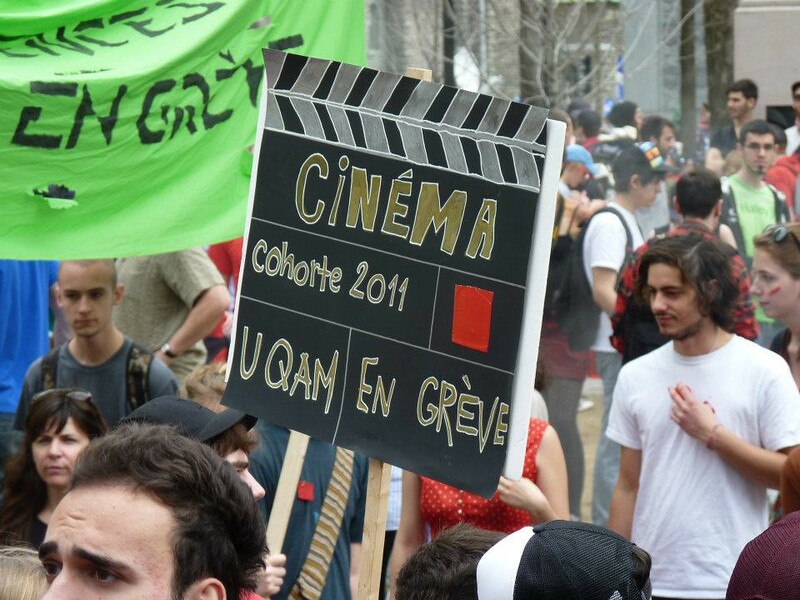 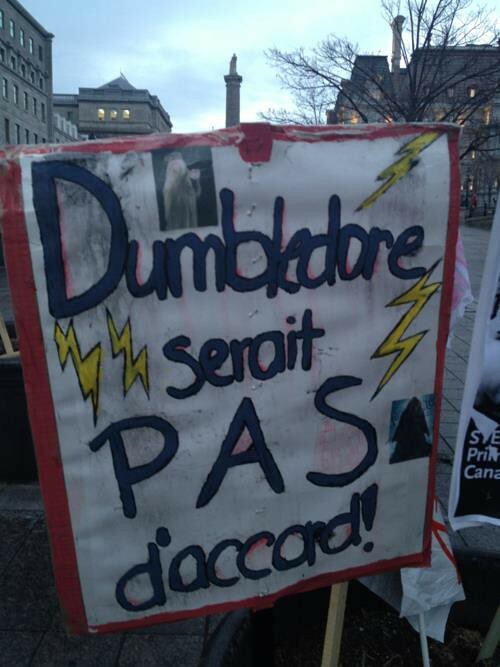 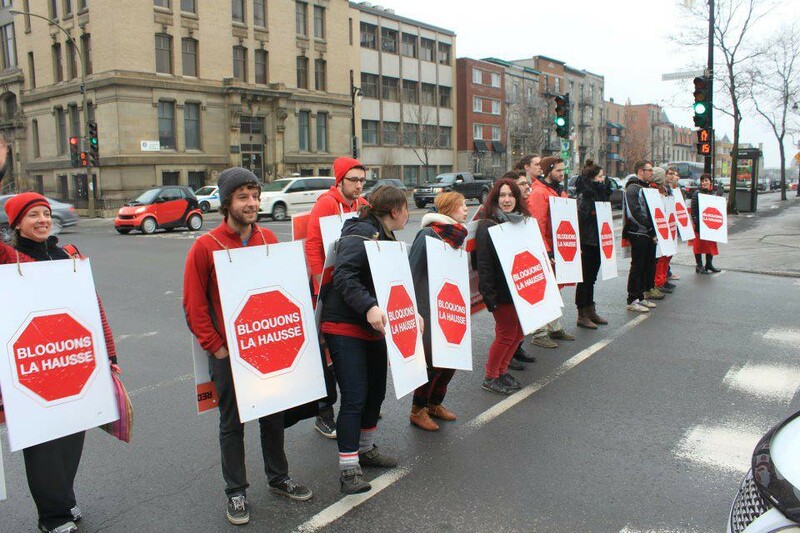 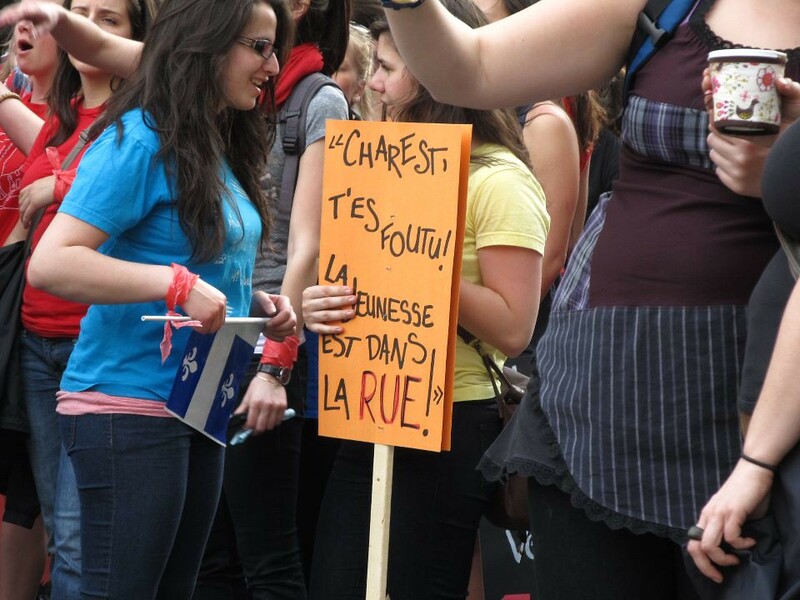 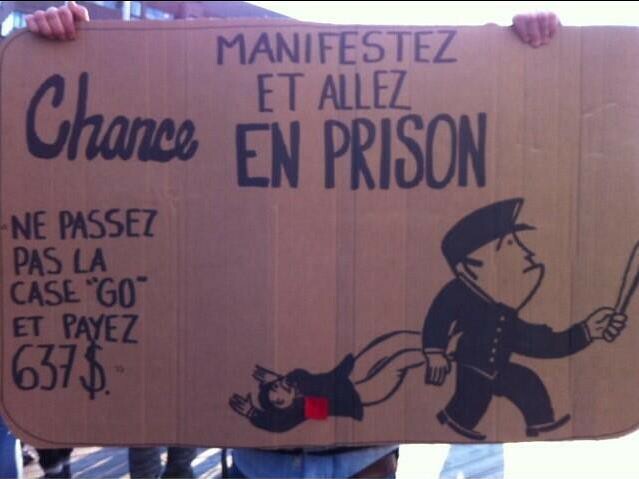 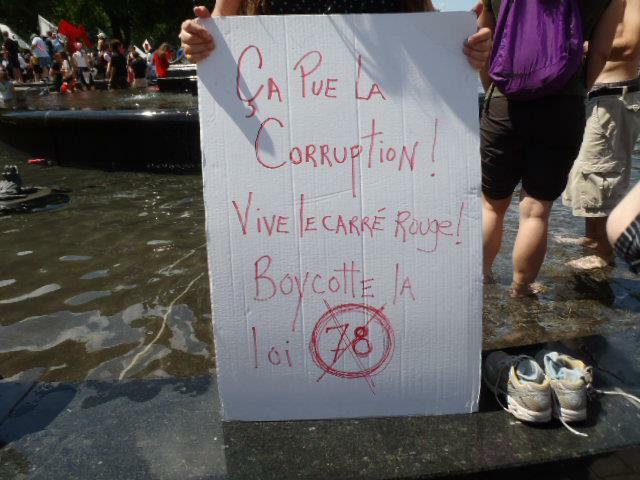 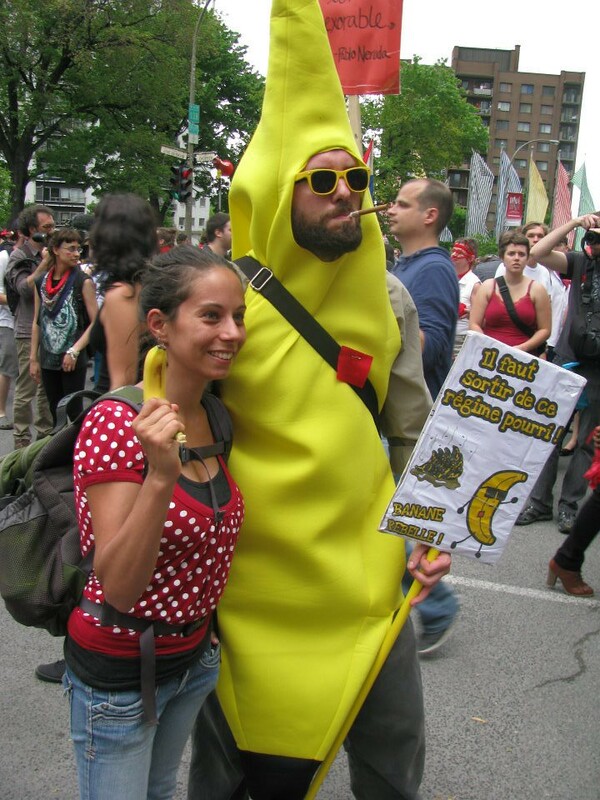 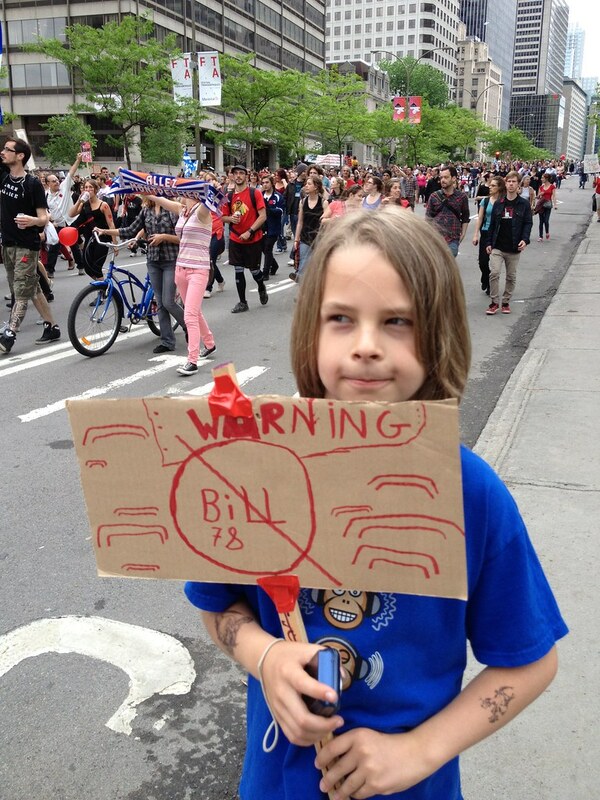 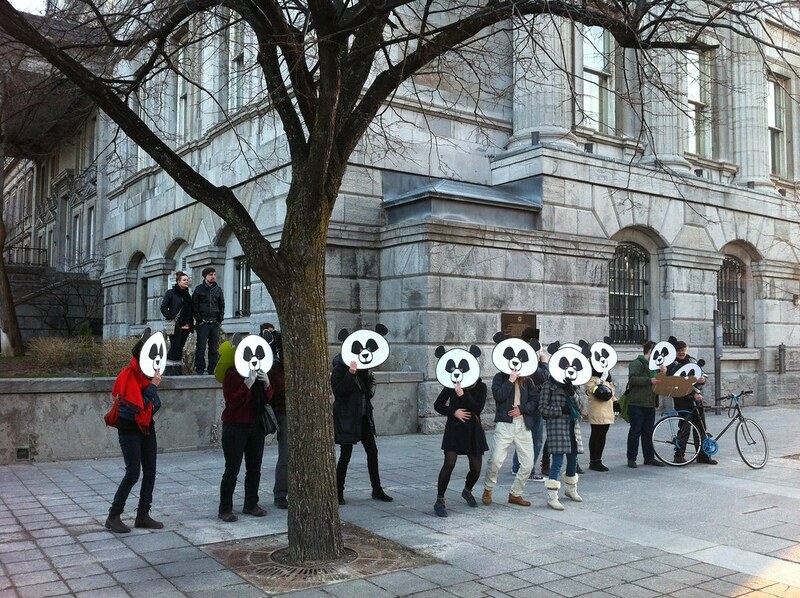 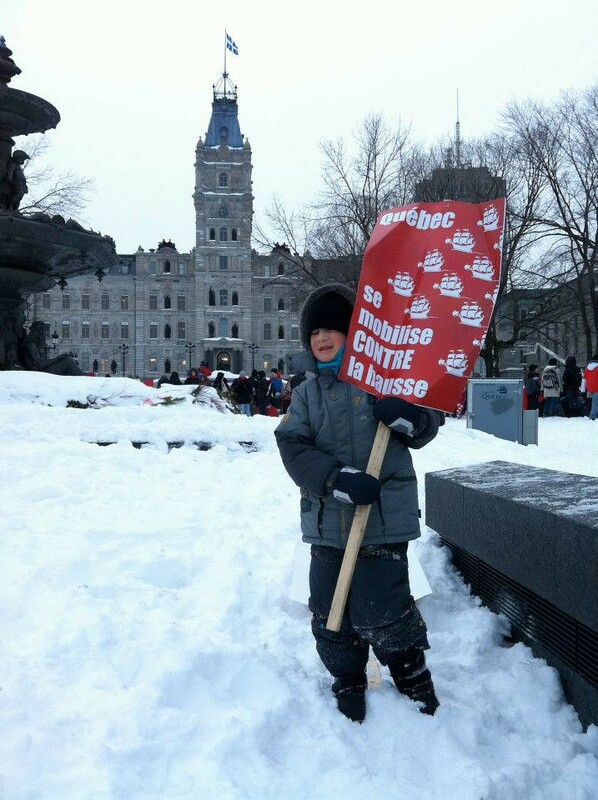 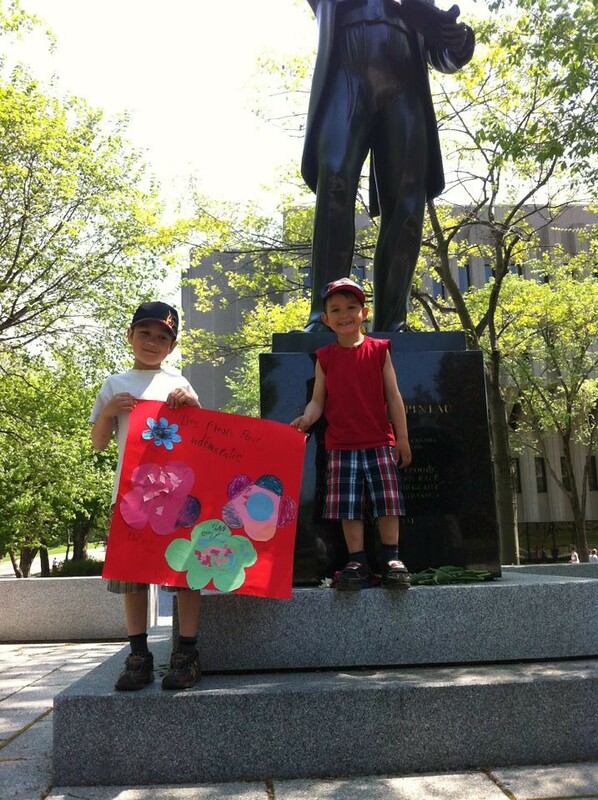 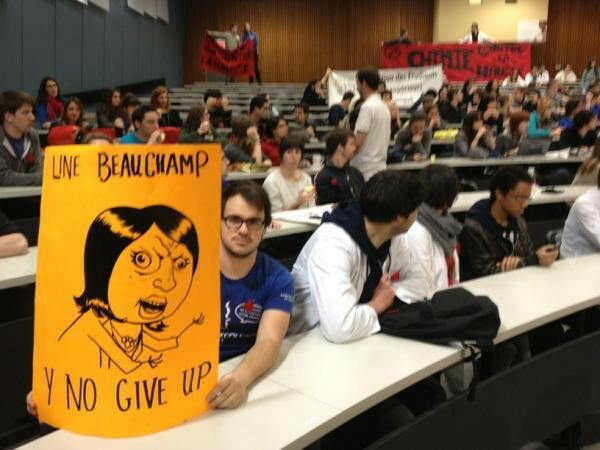 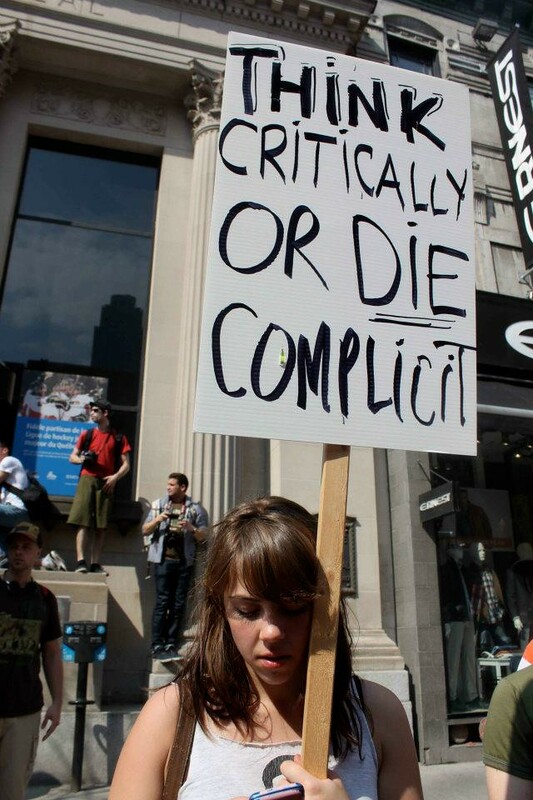 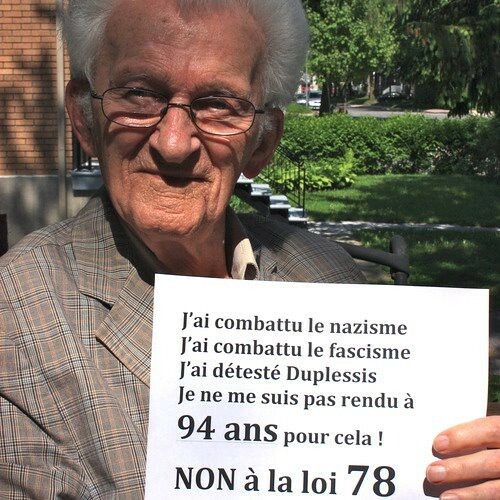 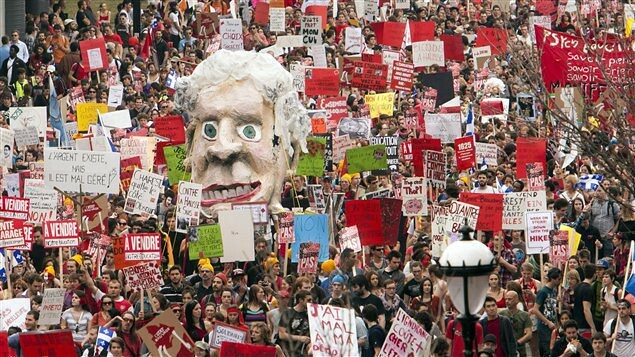 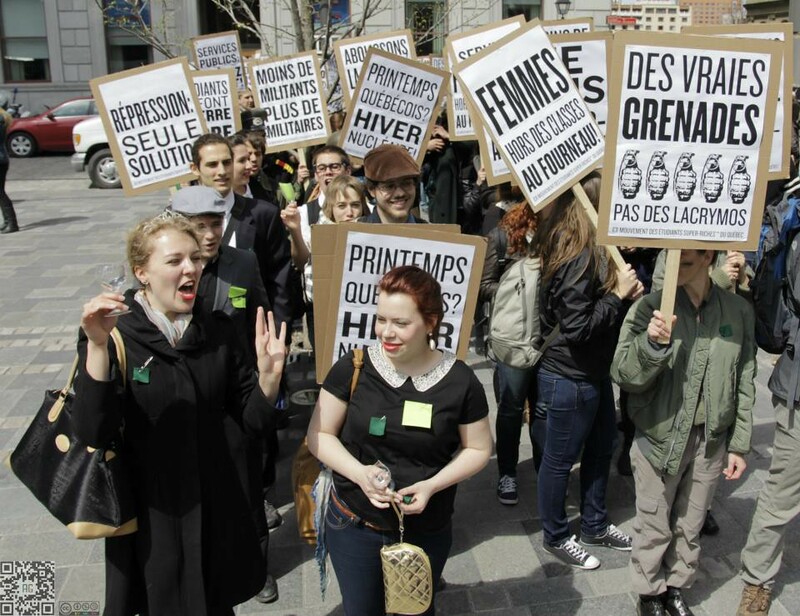 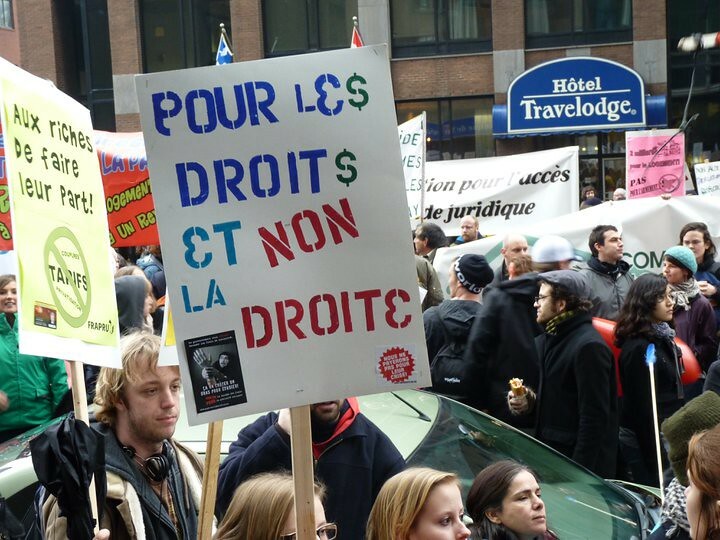 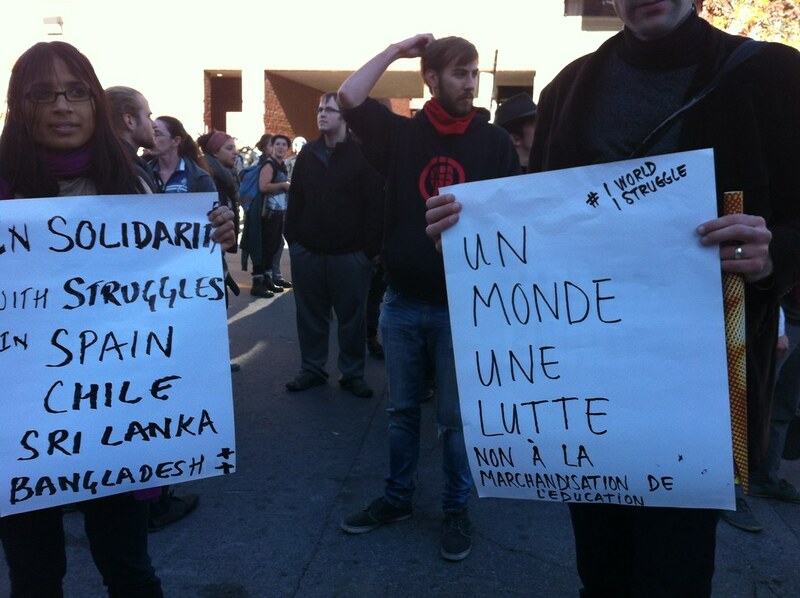 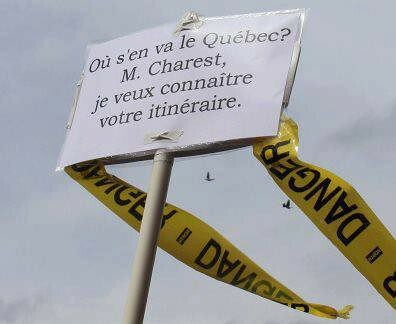 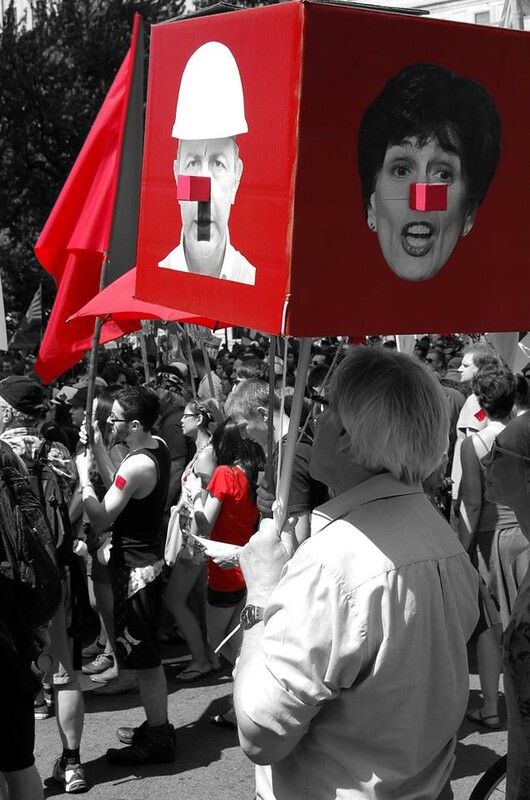 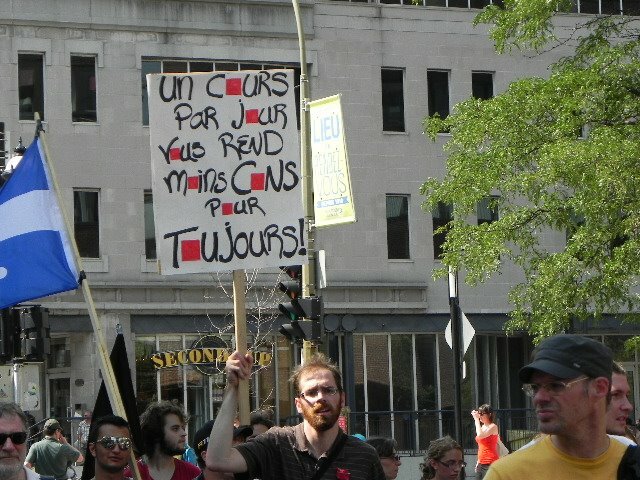 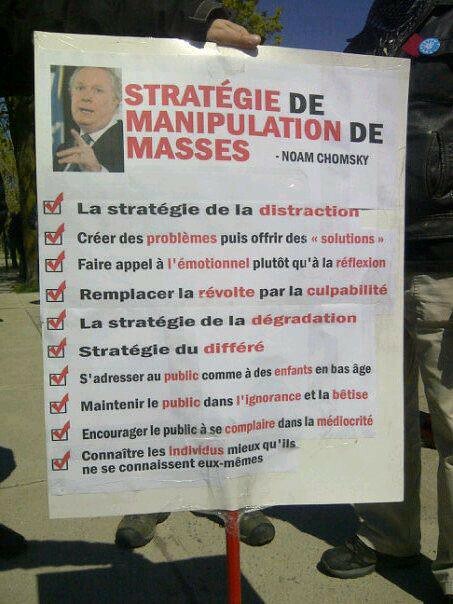 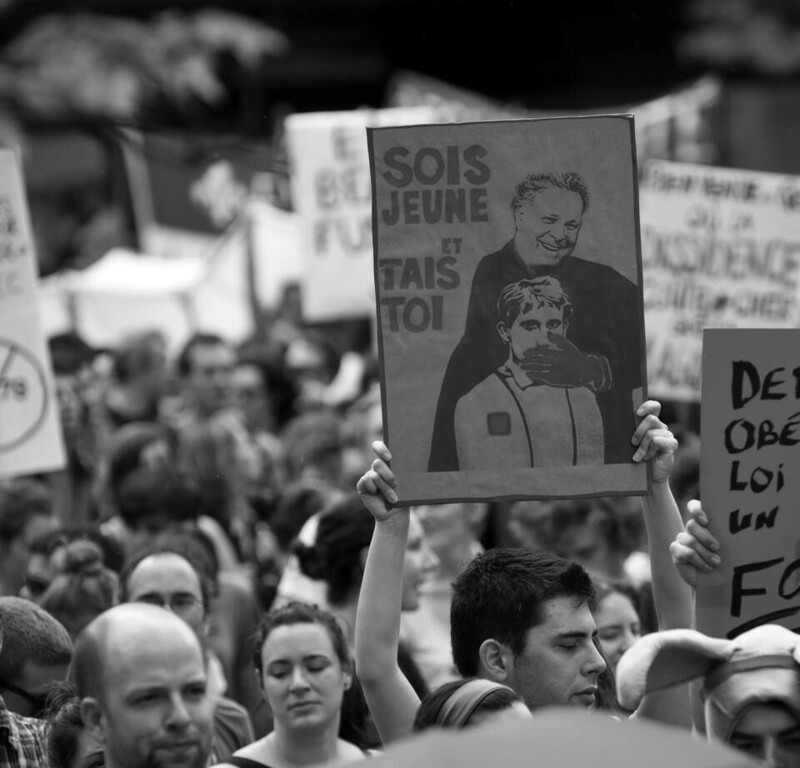 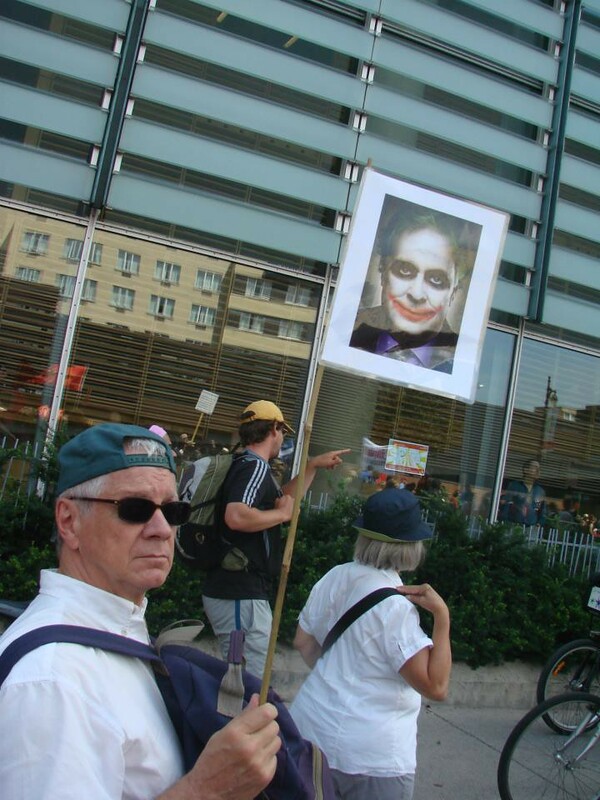 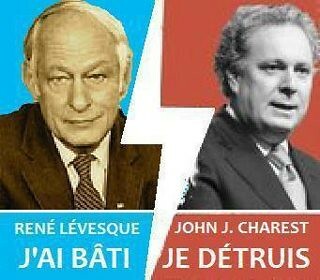 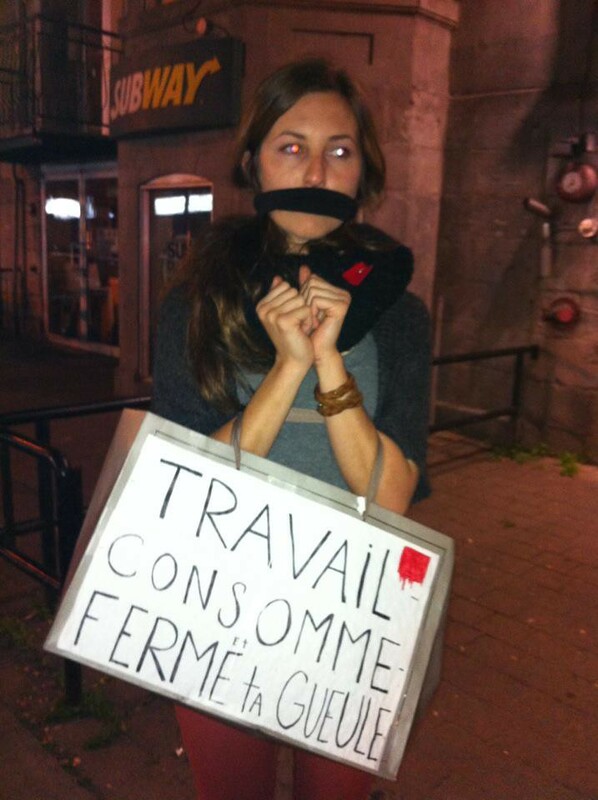 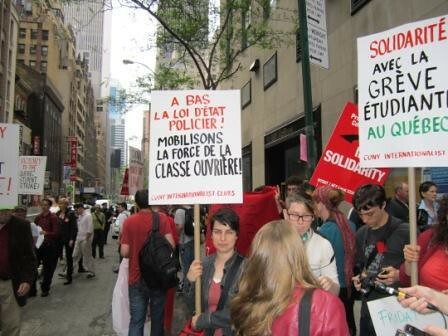 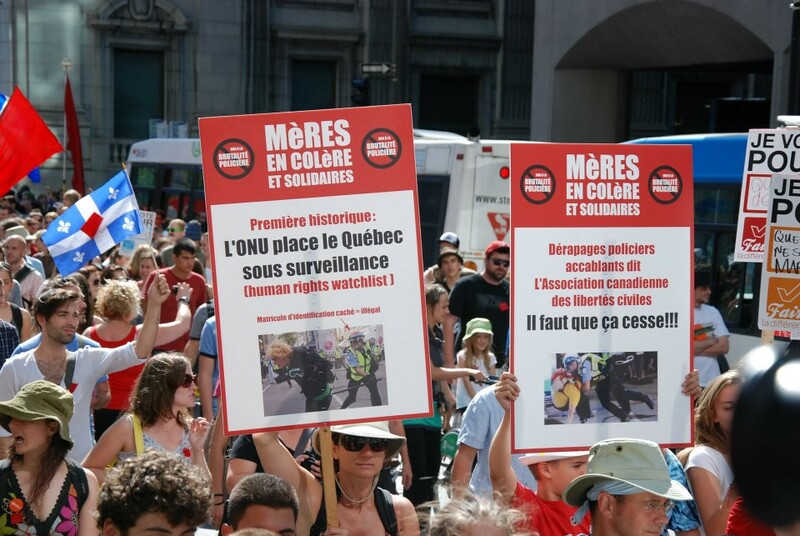 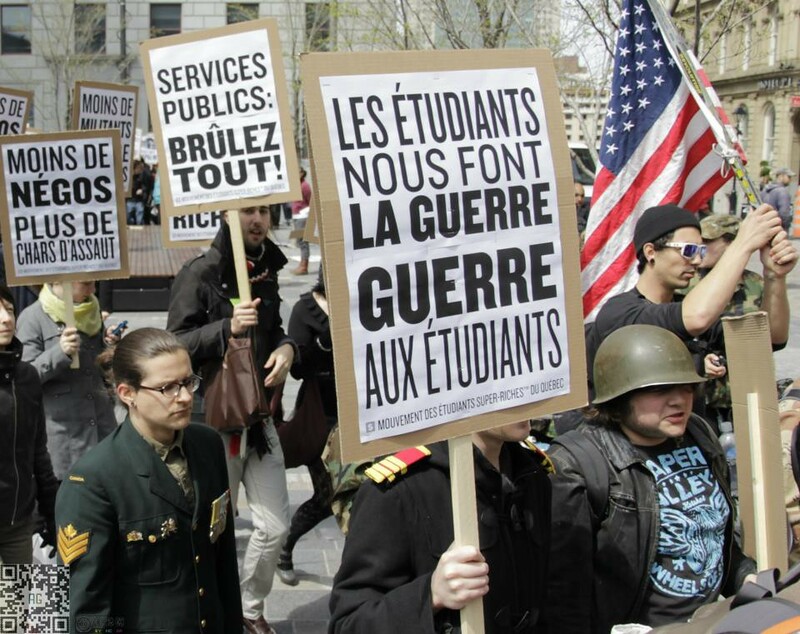 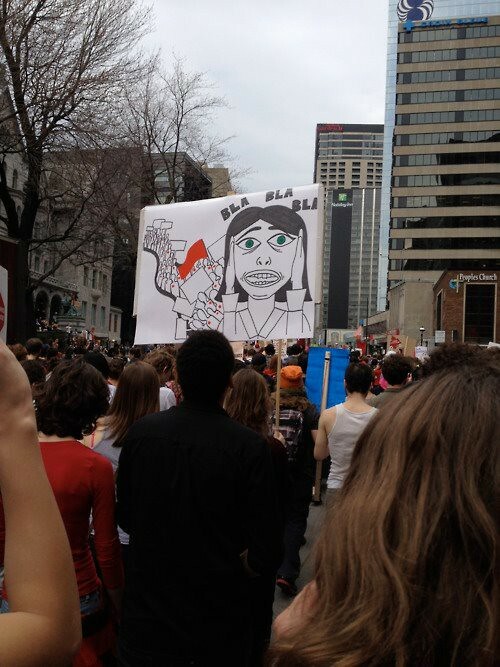 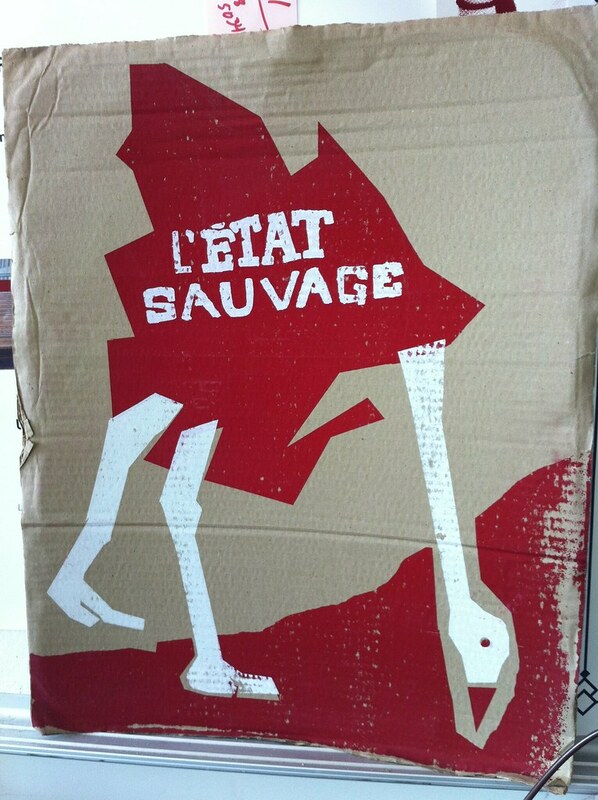 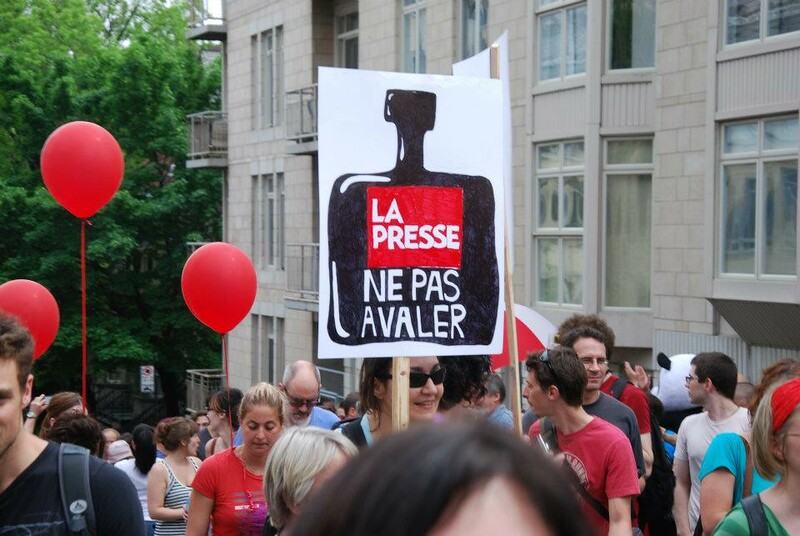 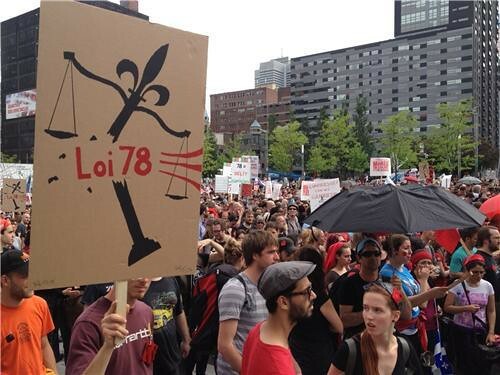 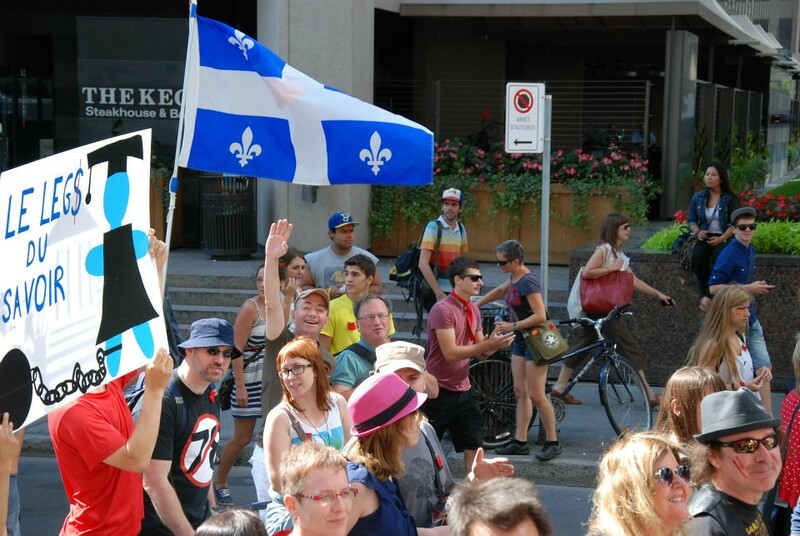 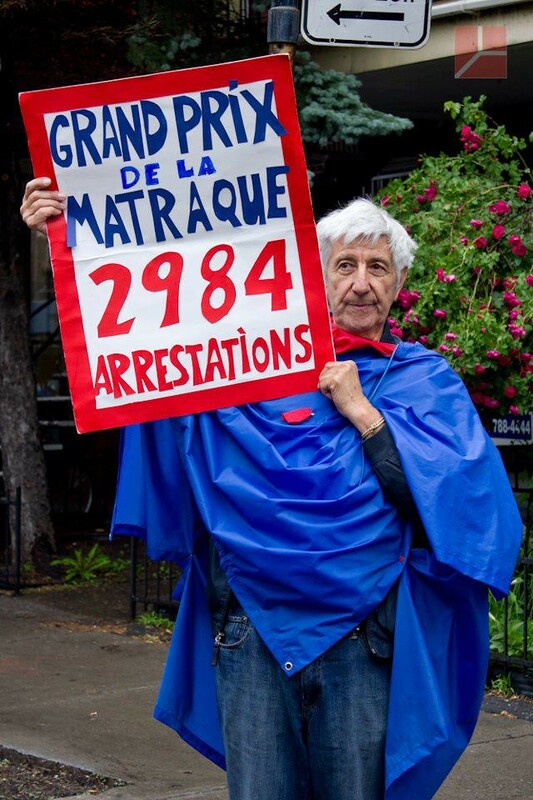 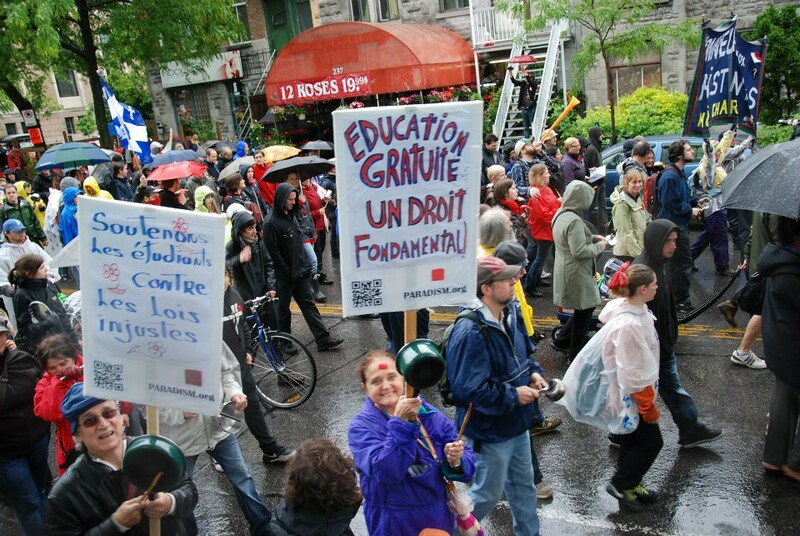 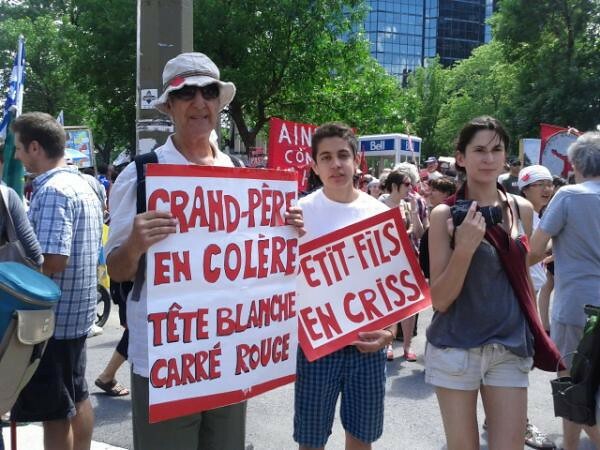 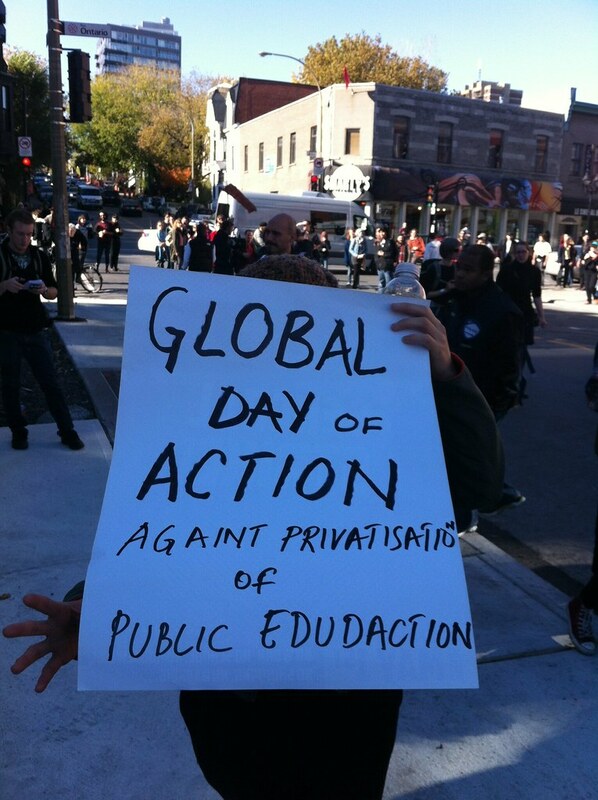 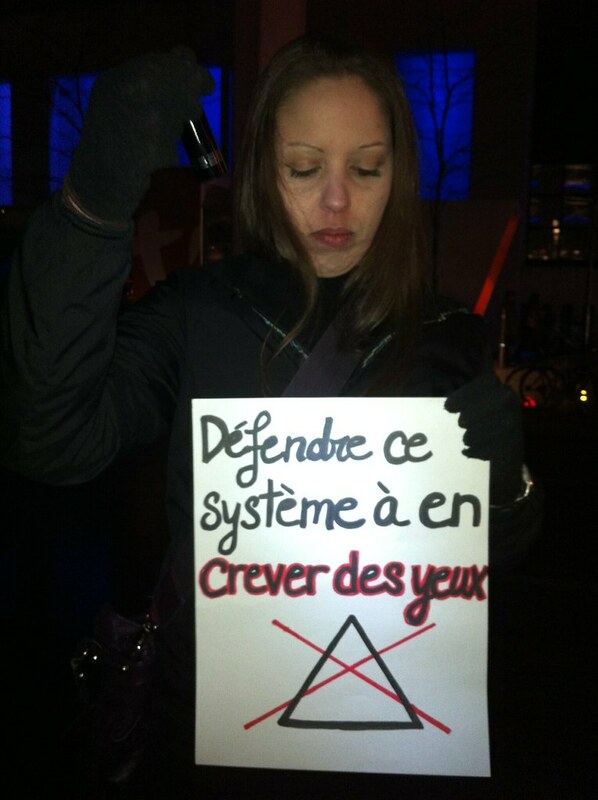 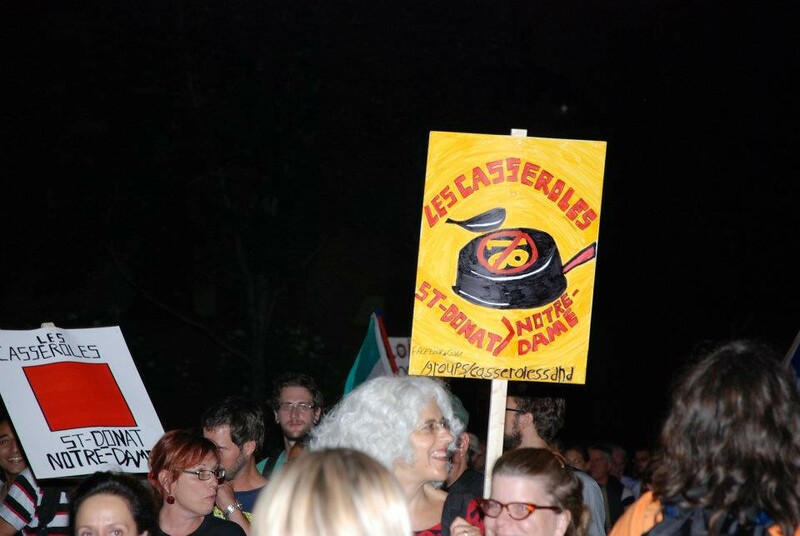 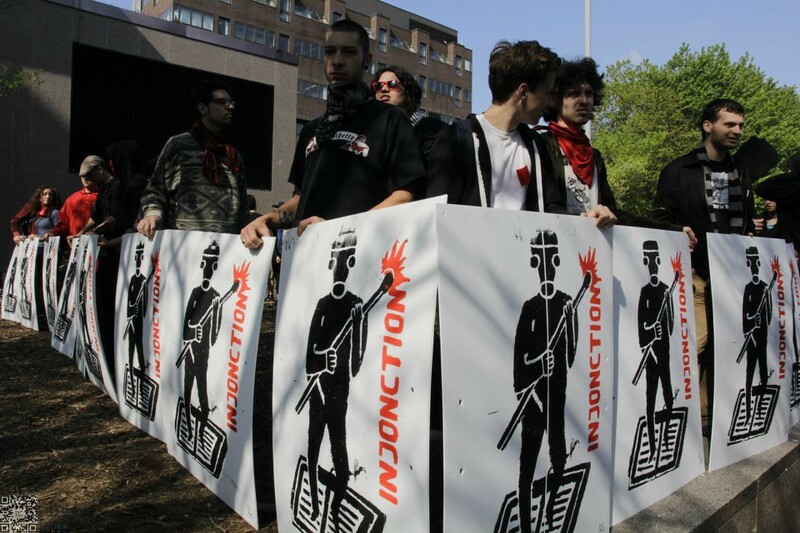 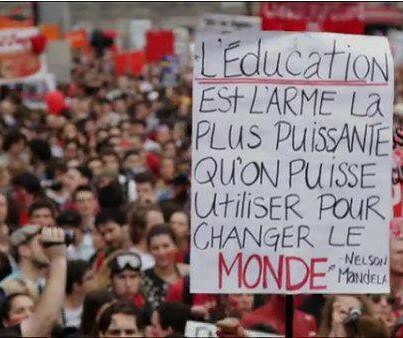 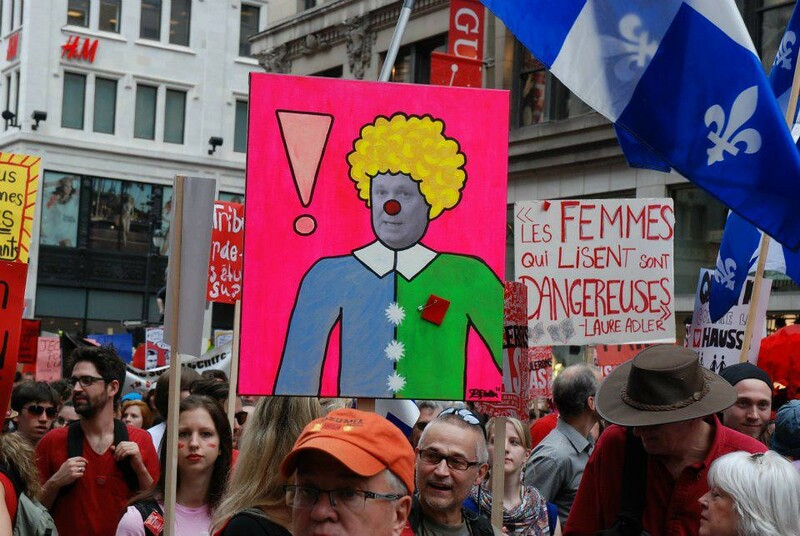 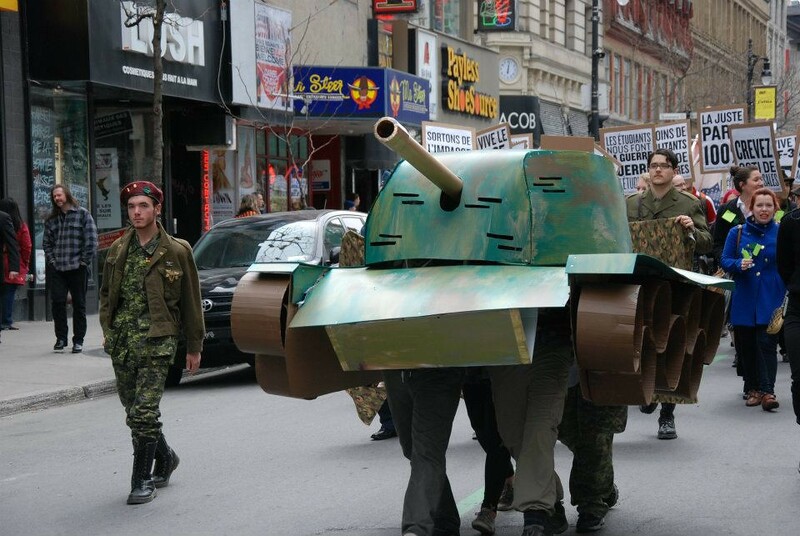 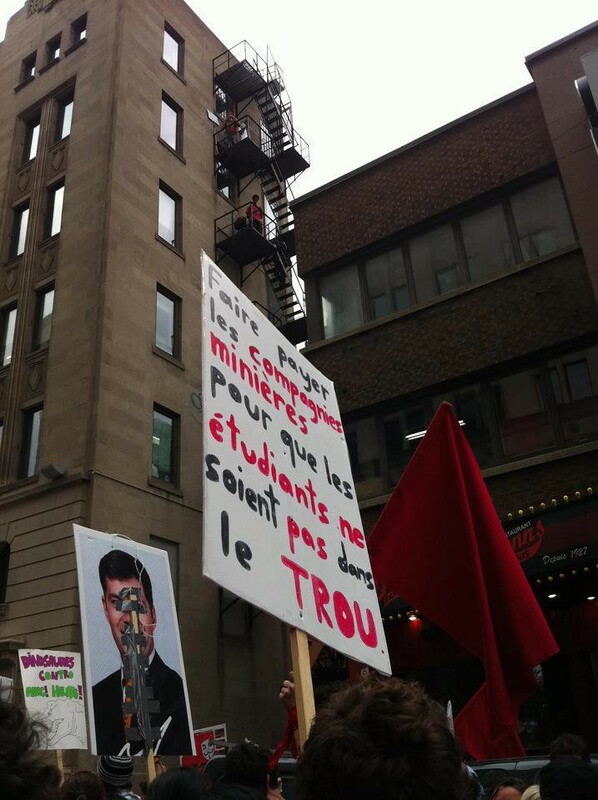 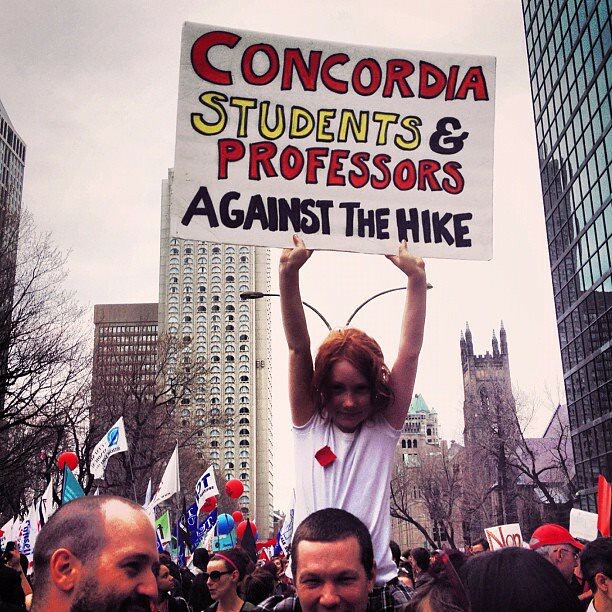 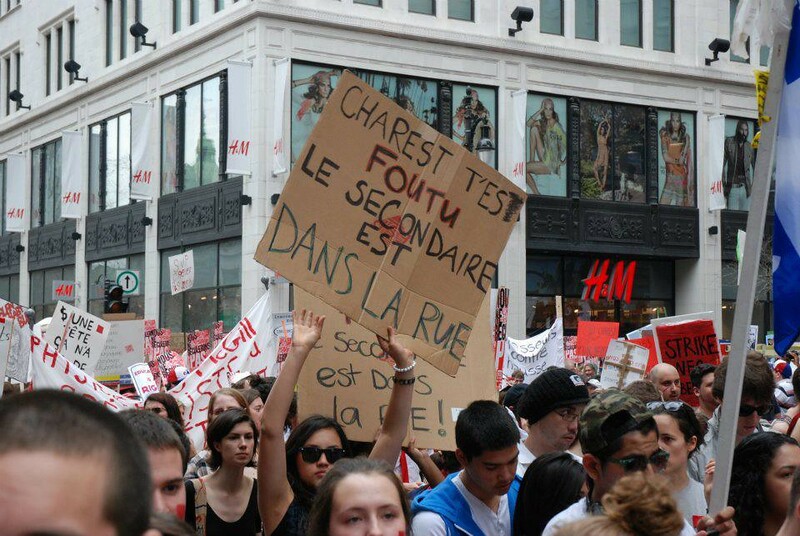 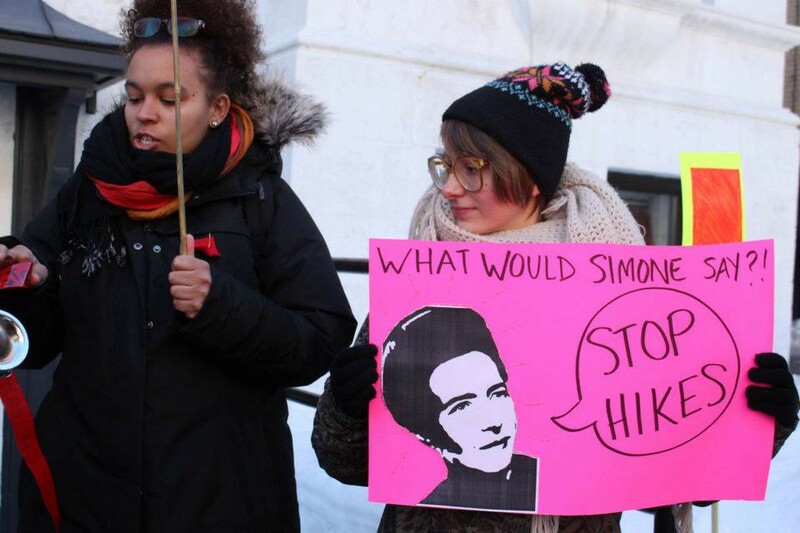 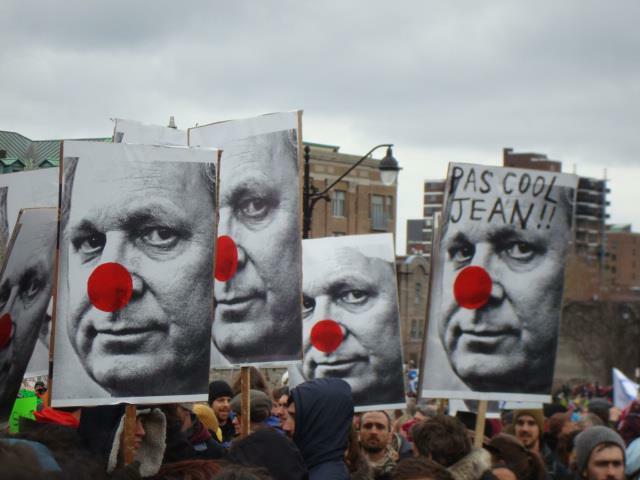 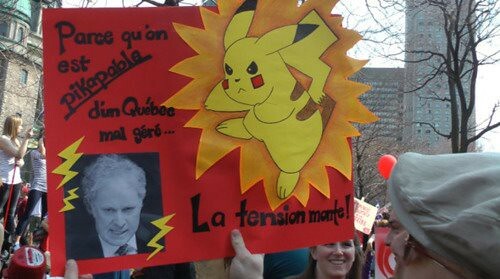 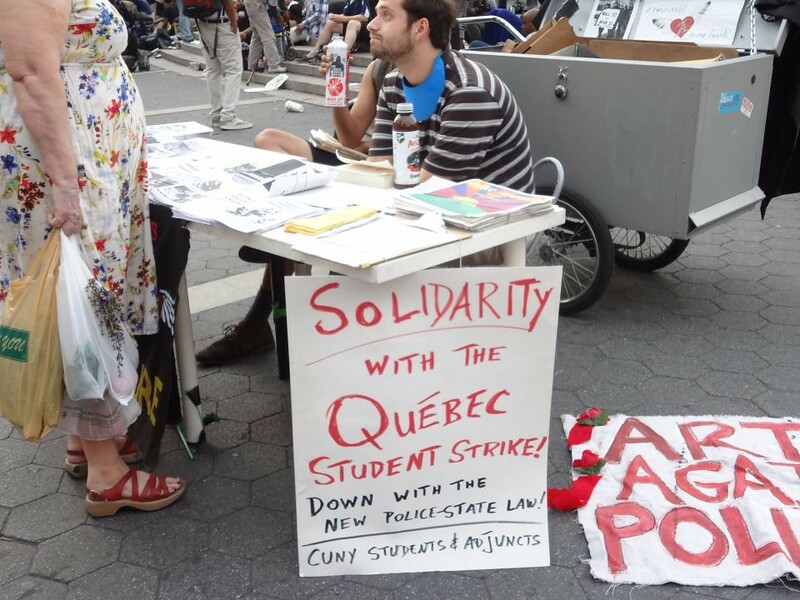 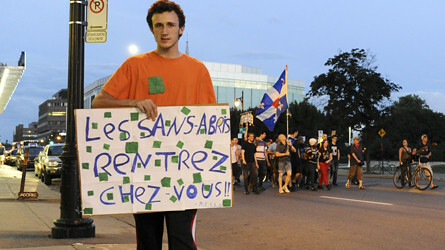 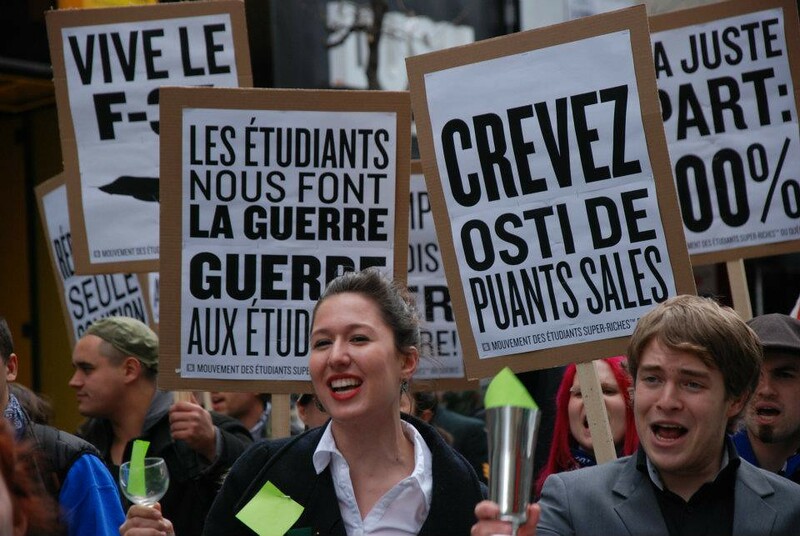 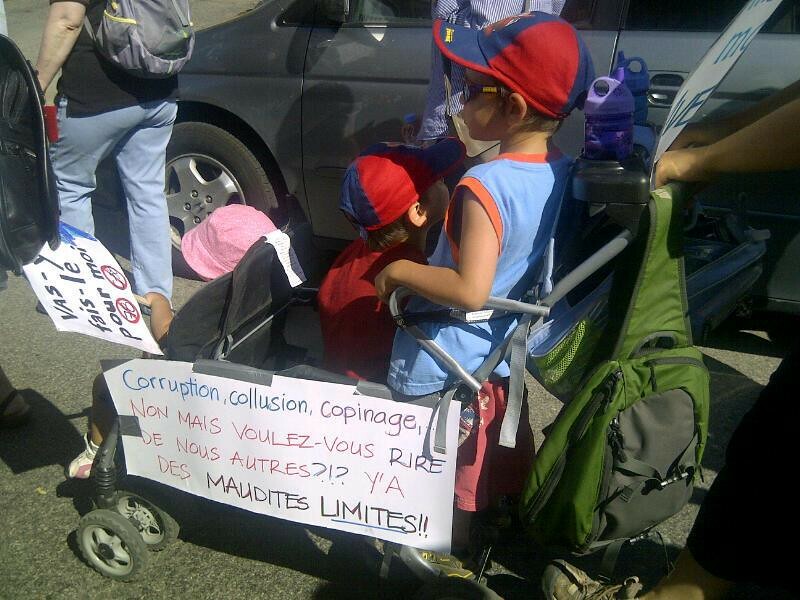 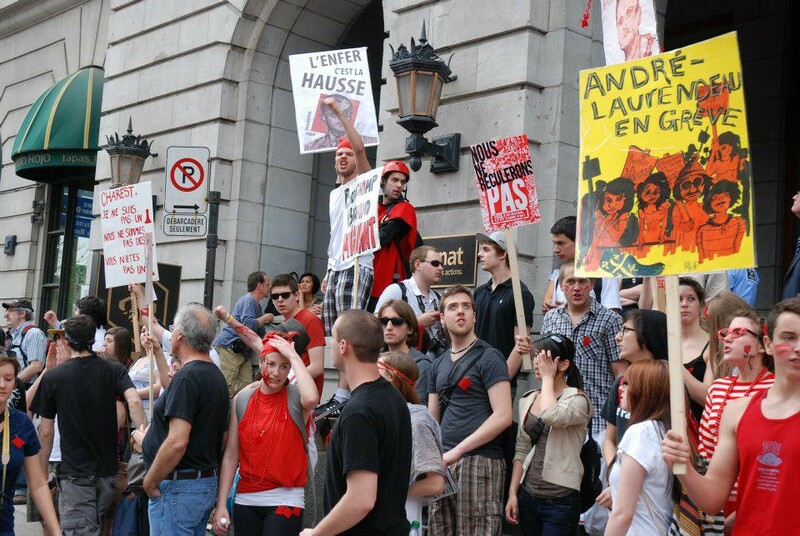 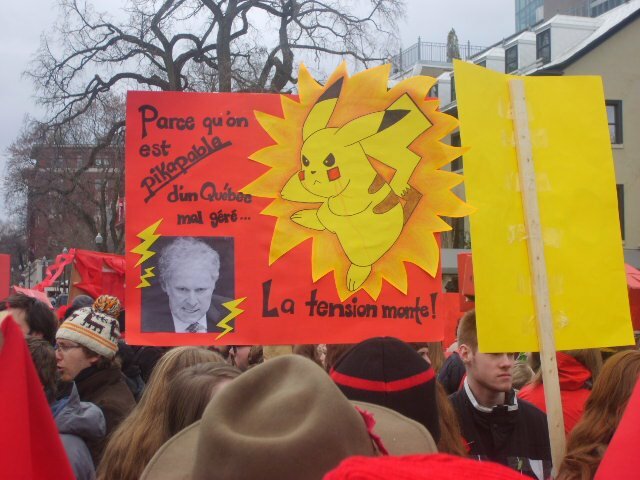 1 The first national protest after the strike began was in Montréal on March 22, 2012. 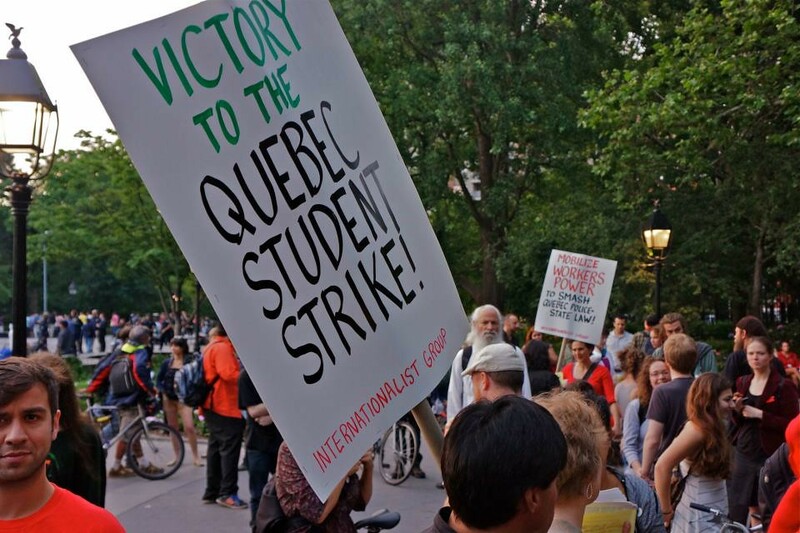 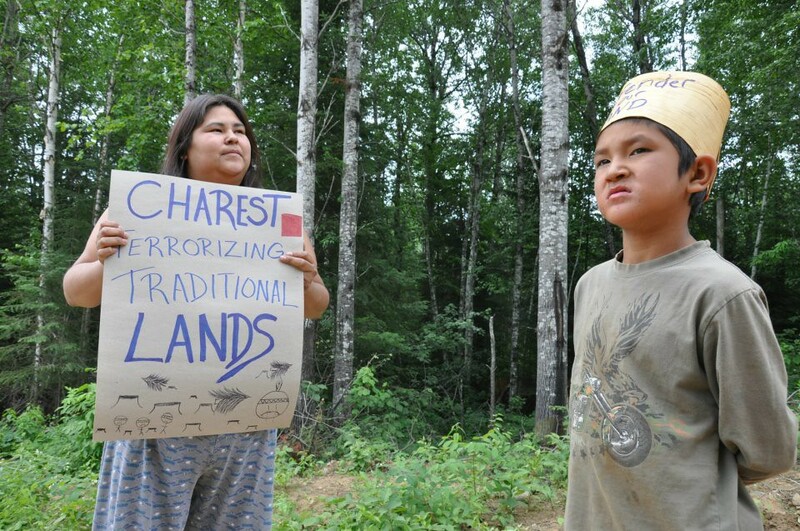 Consecutive monthly demonstrations continued on the 22nd of each month, extending into summer and into the fall, even after many university and college student unions voted to return to class in August.